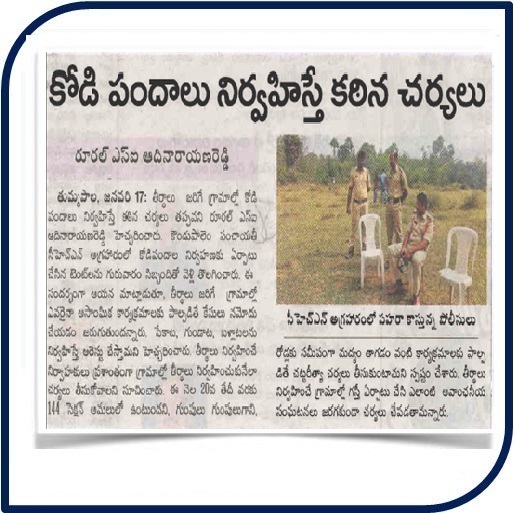 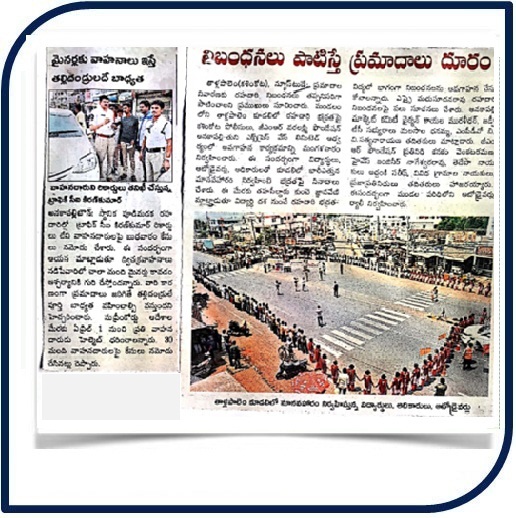 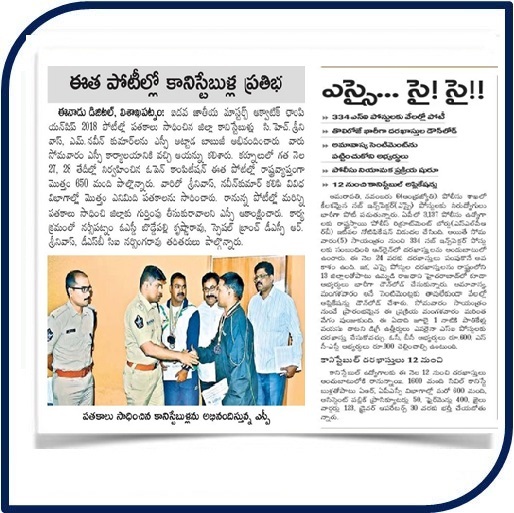 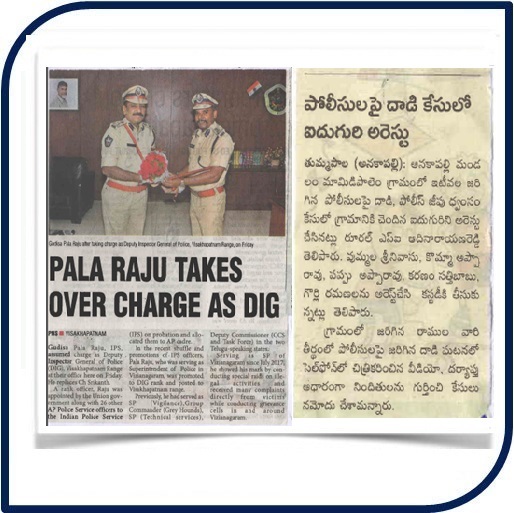 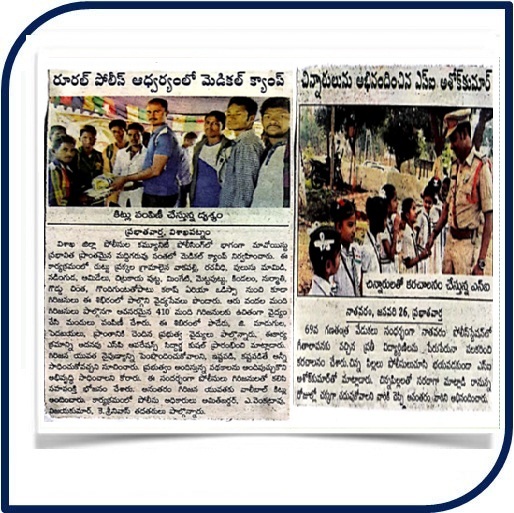 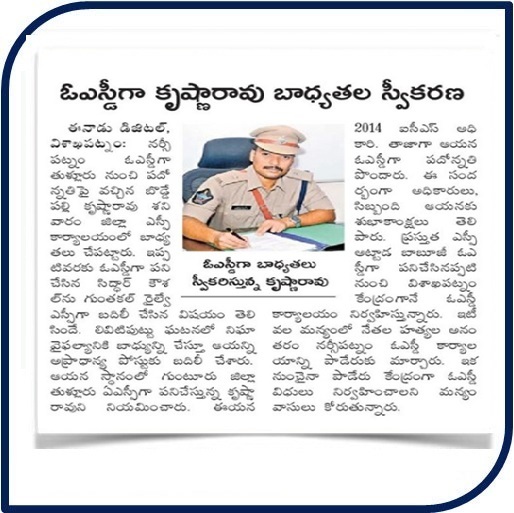 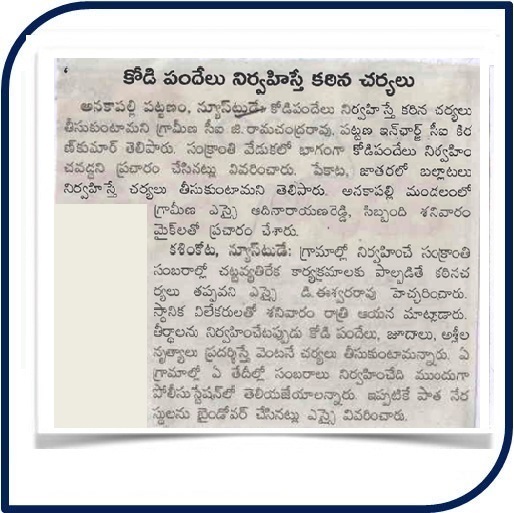 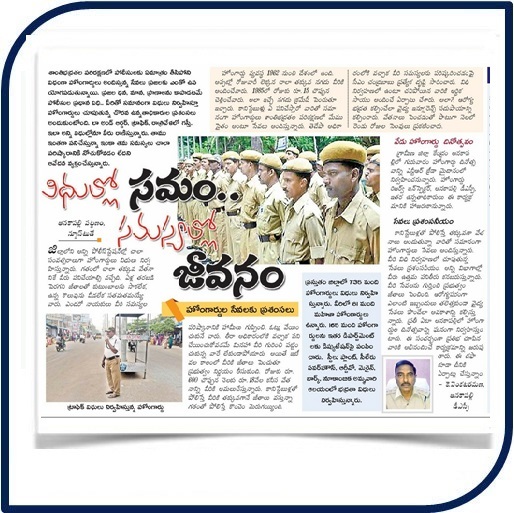 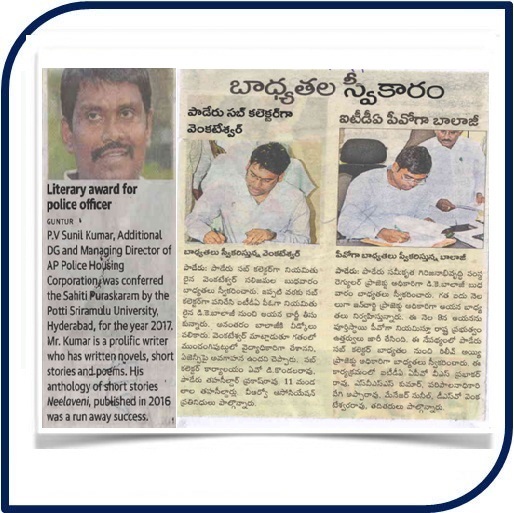 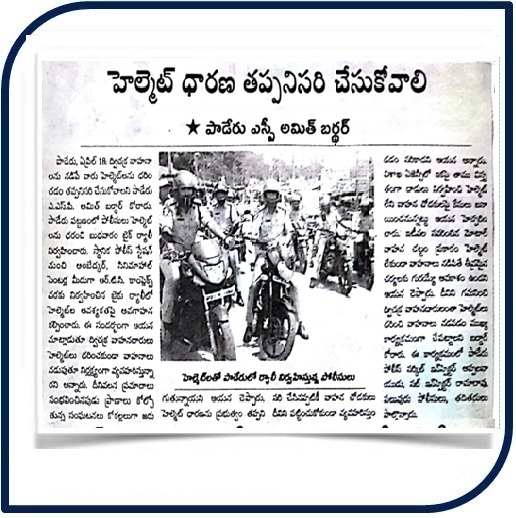 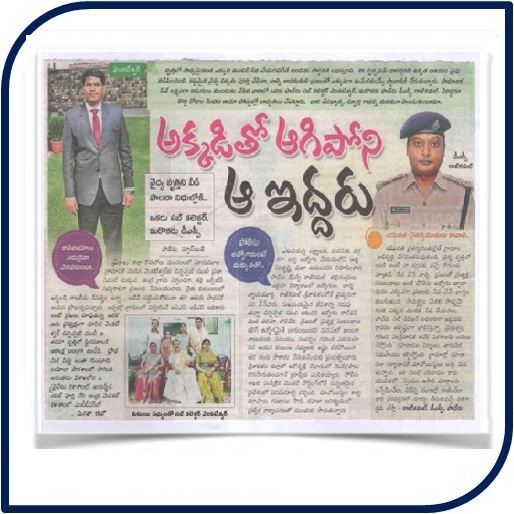 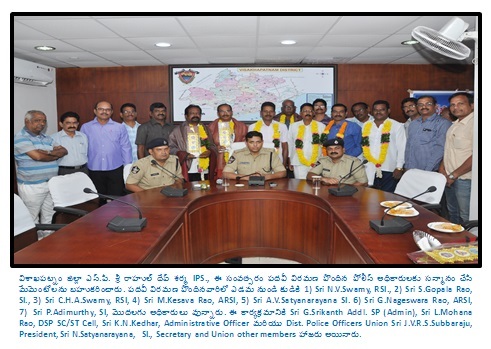 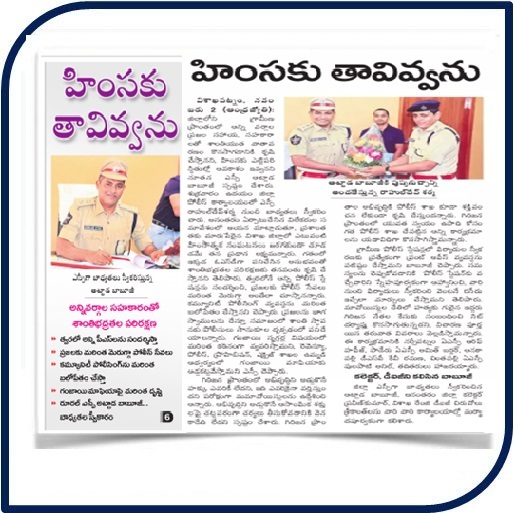 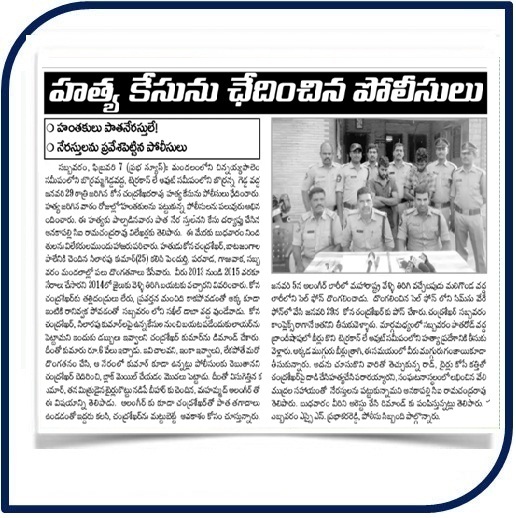 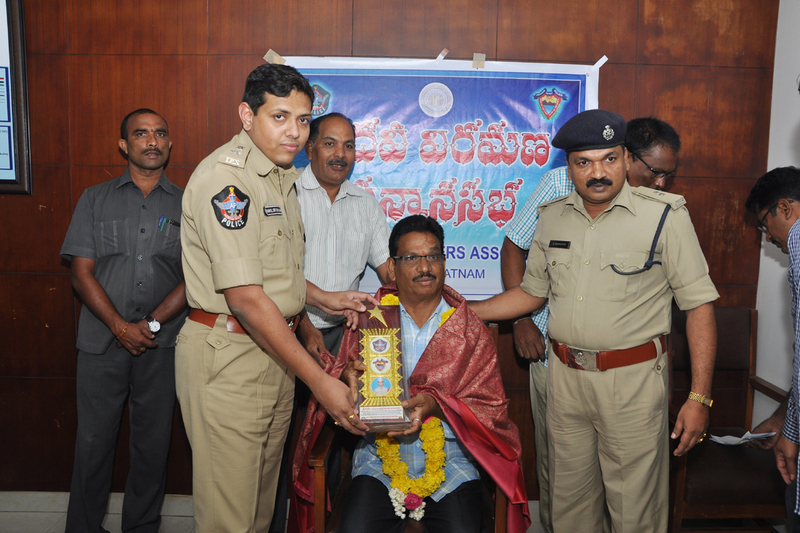 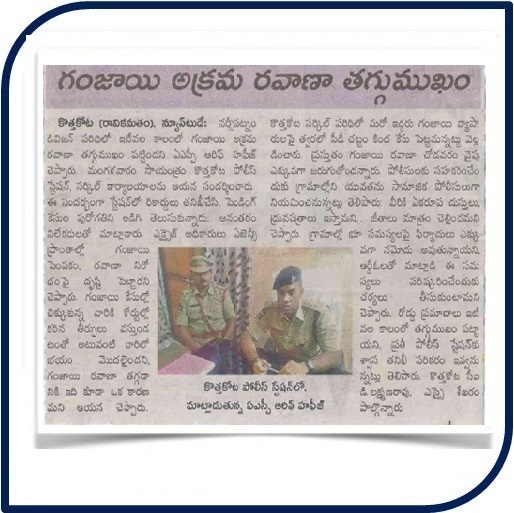 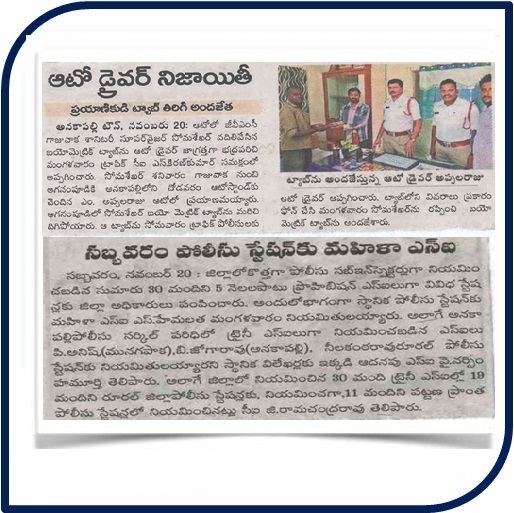 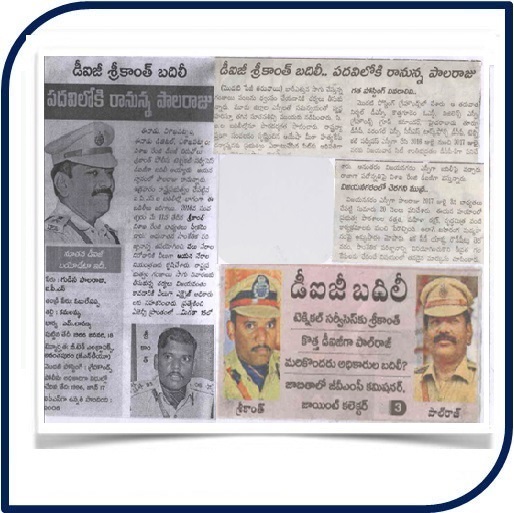 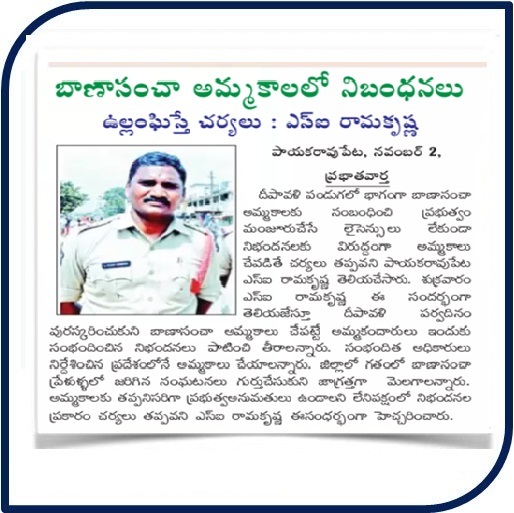 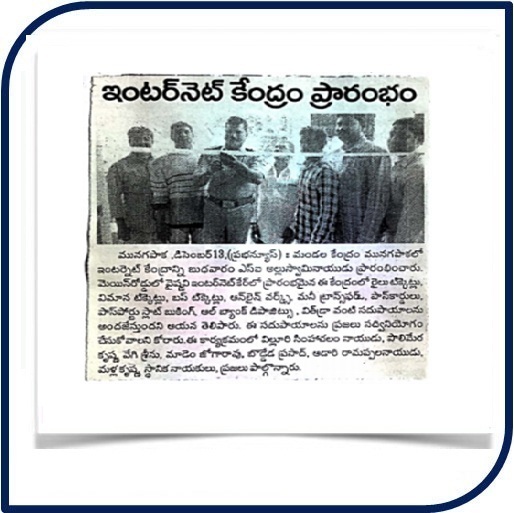 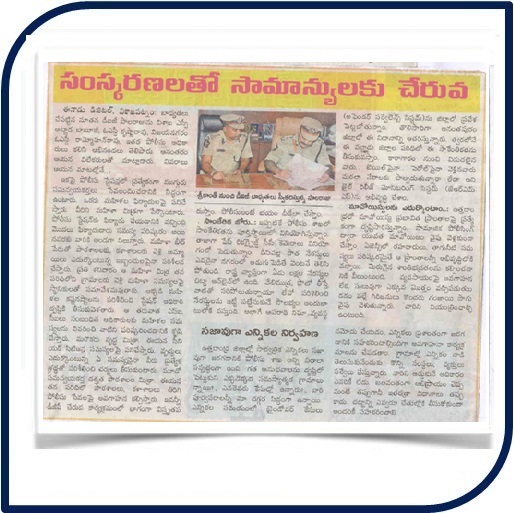 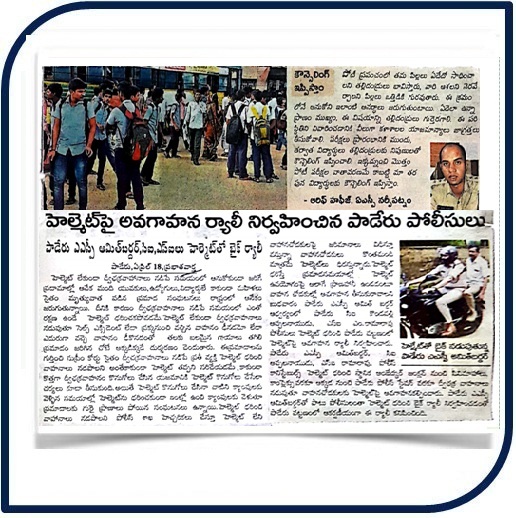 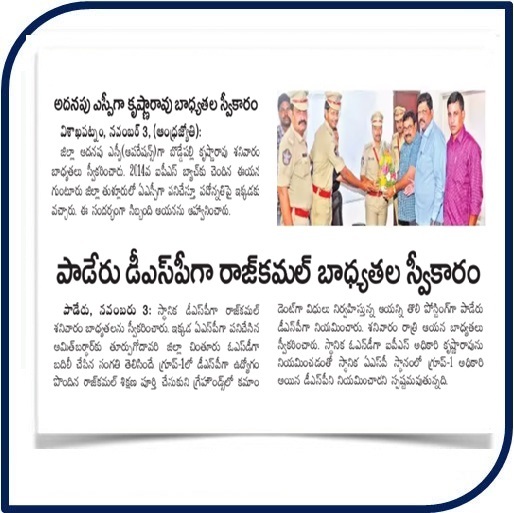 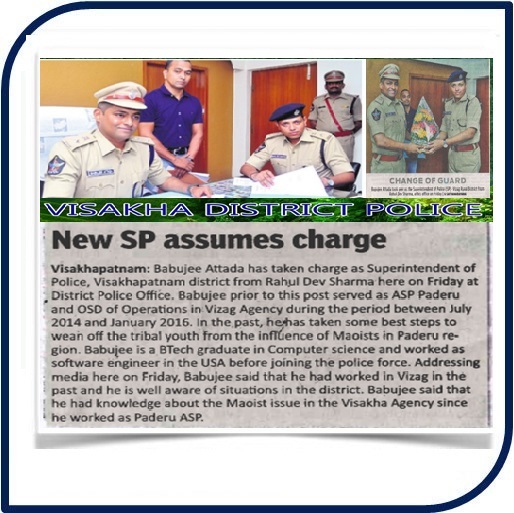 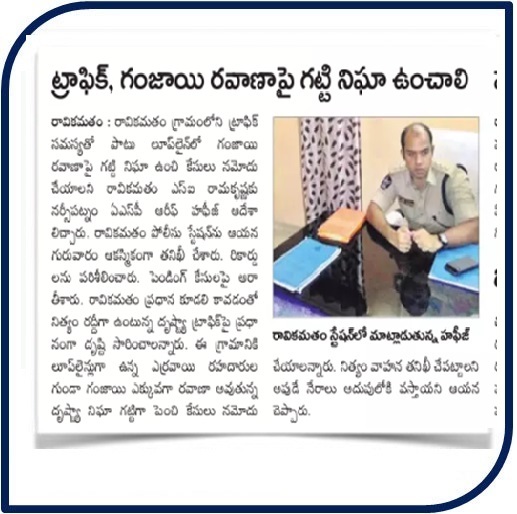 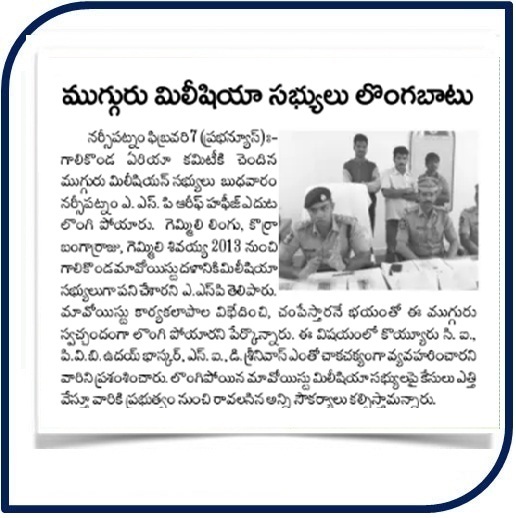 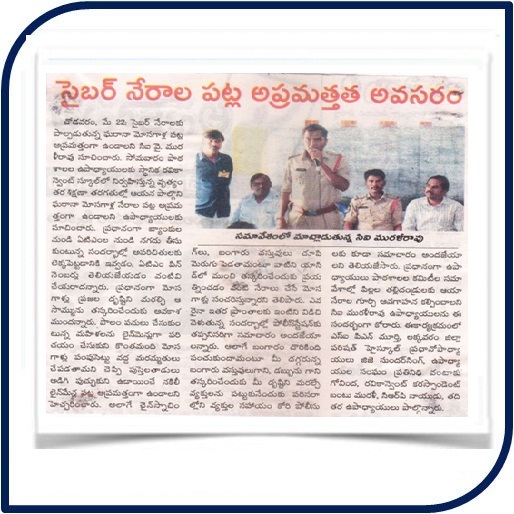 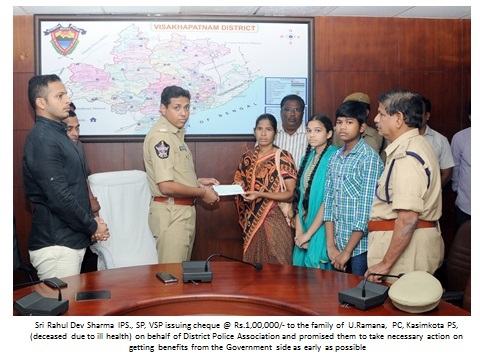 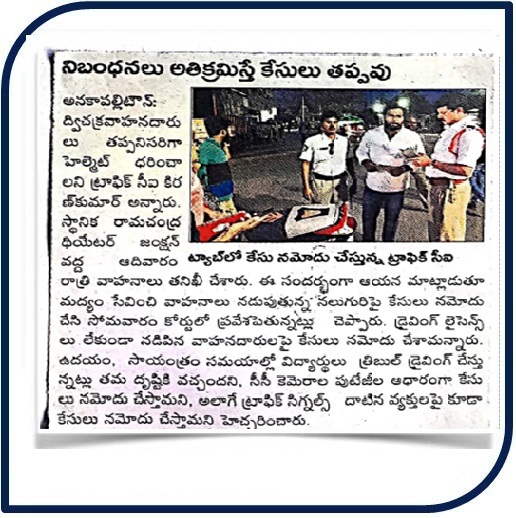 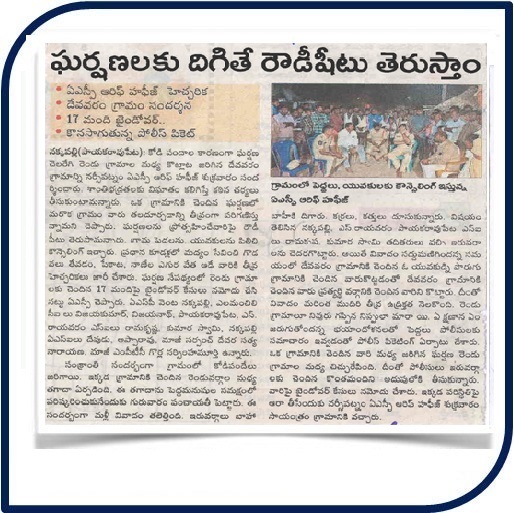 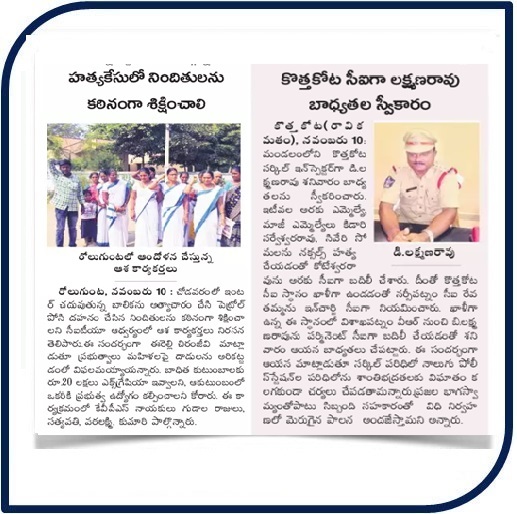 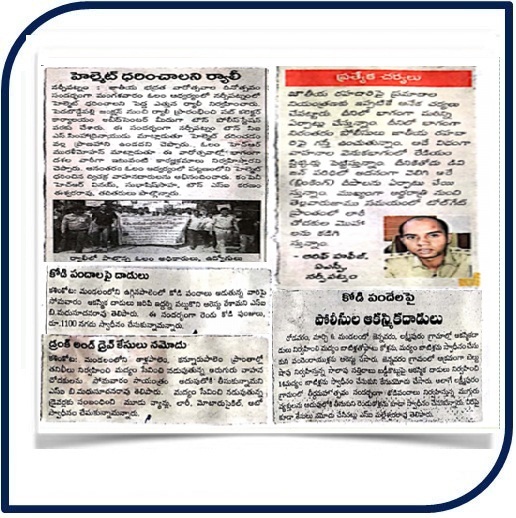 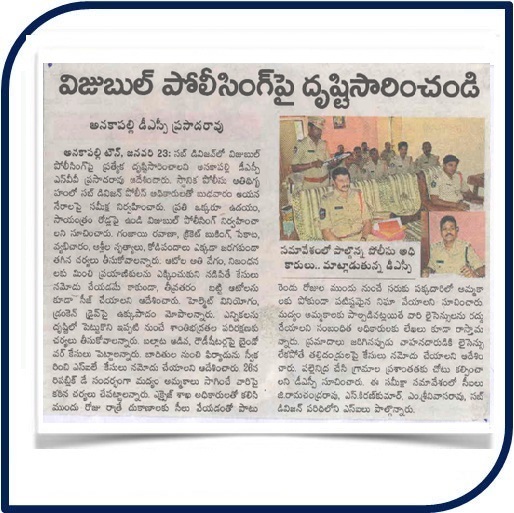 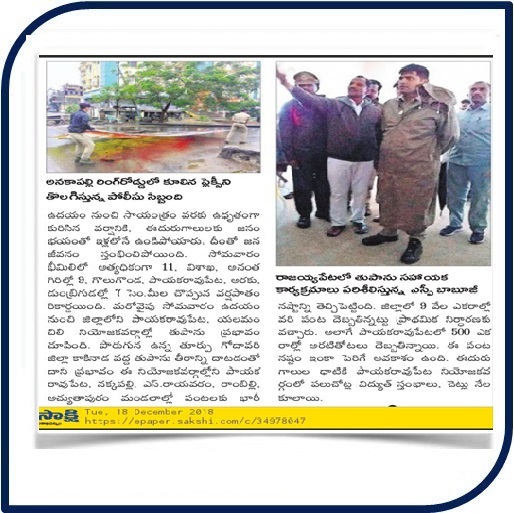 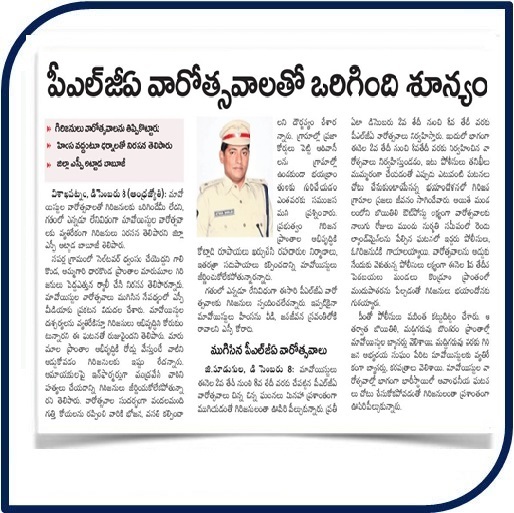 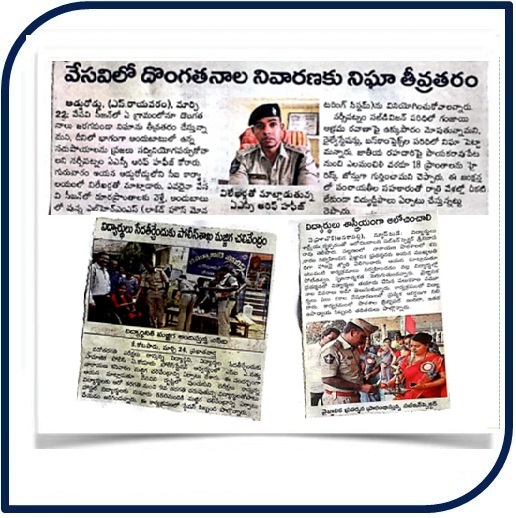 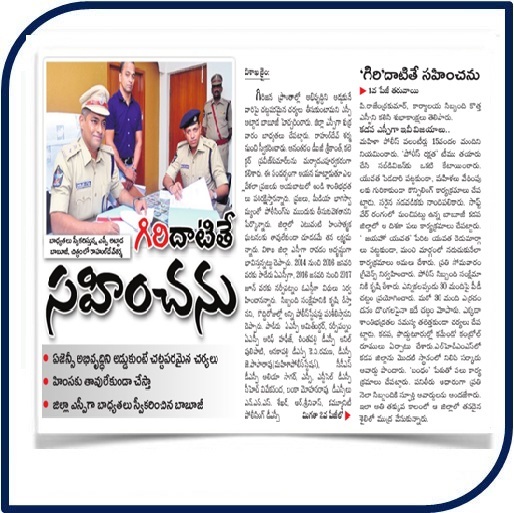 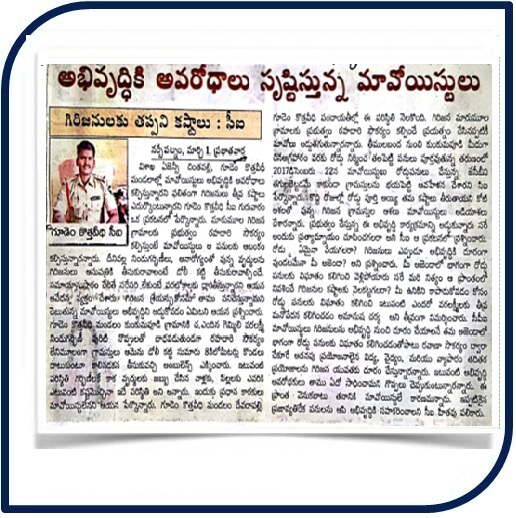 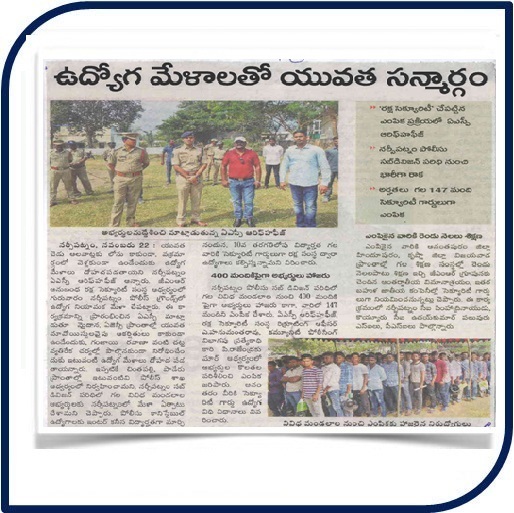 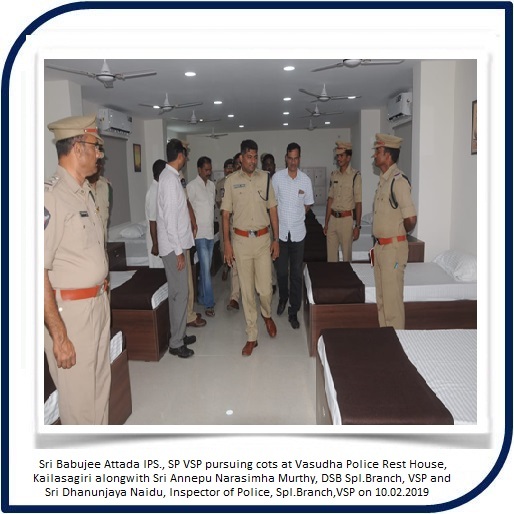 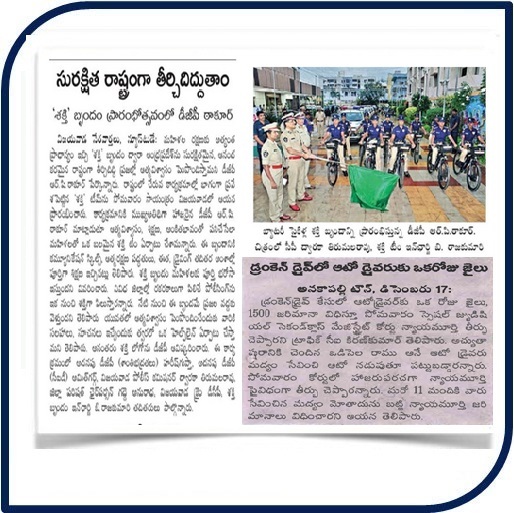 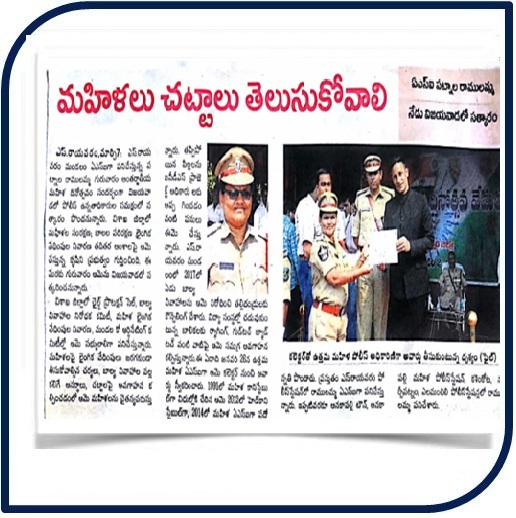 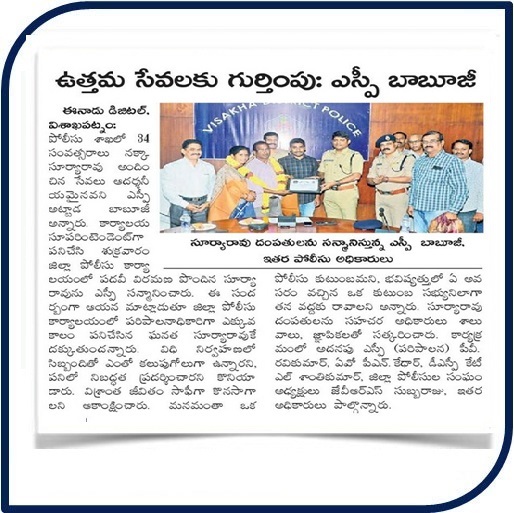 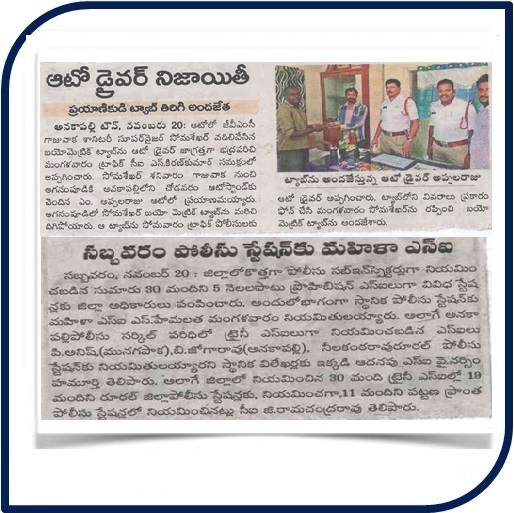 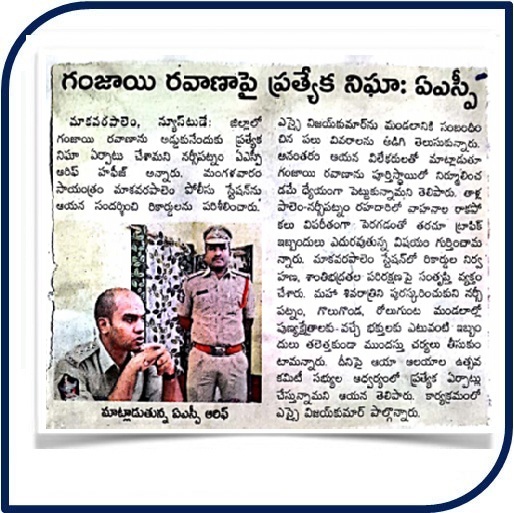 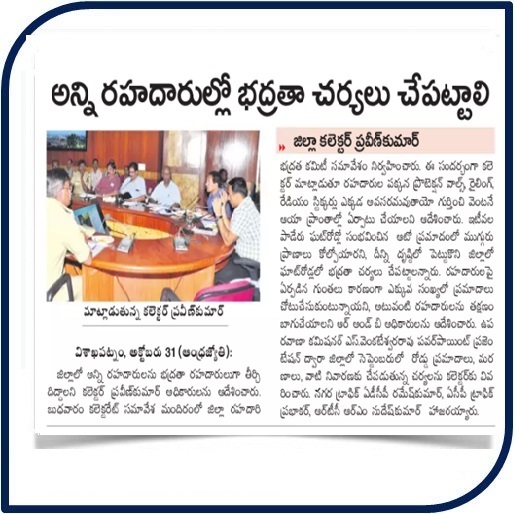 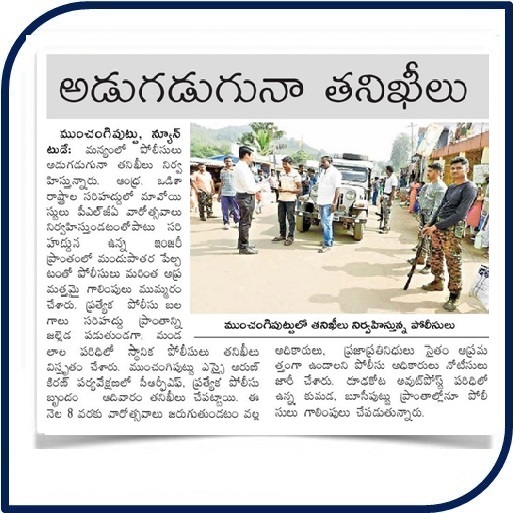 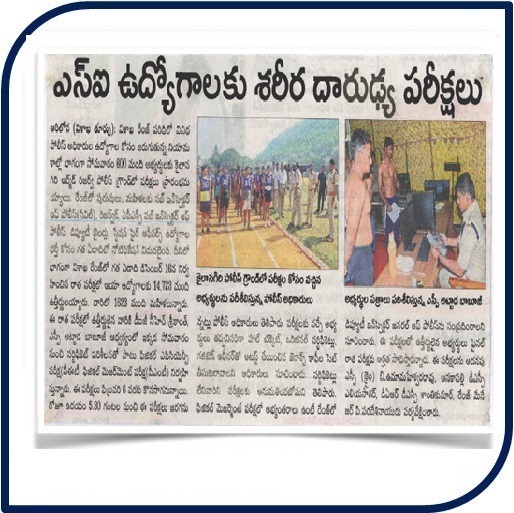 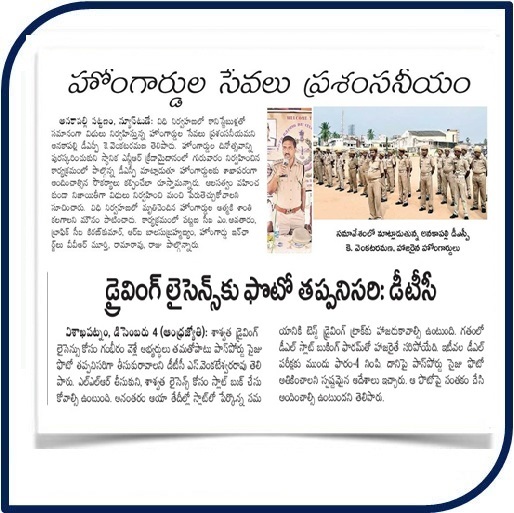 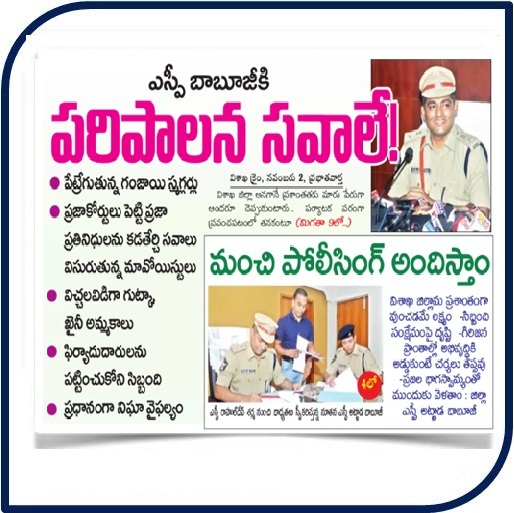 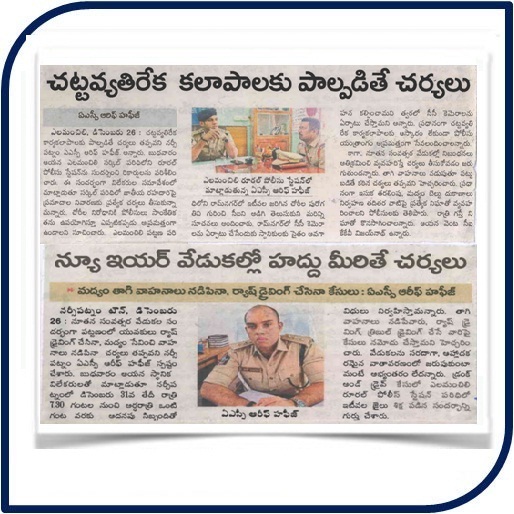 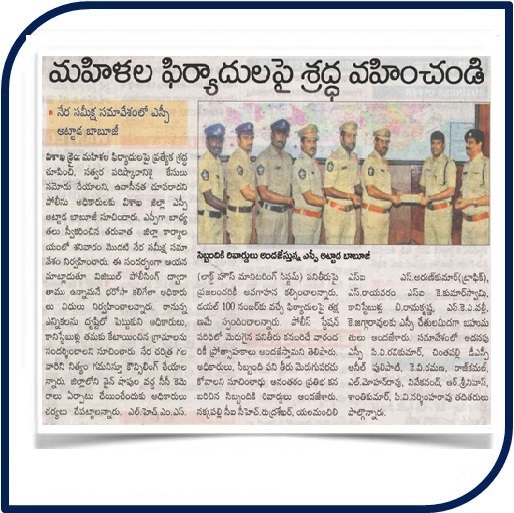 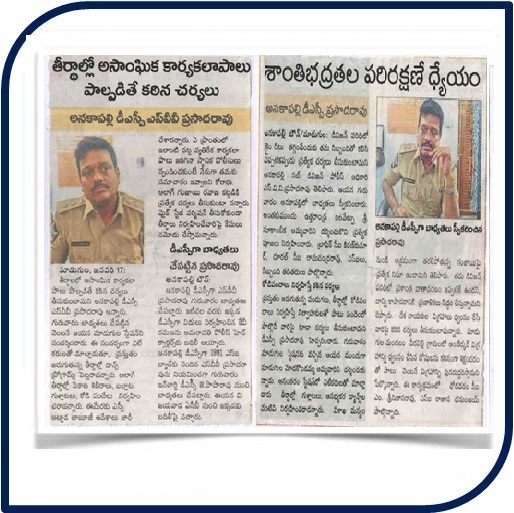 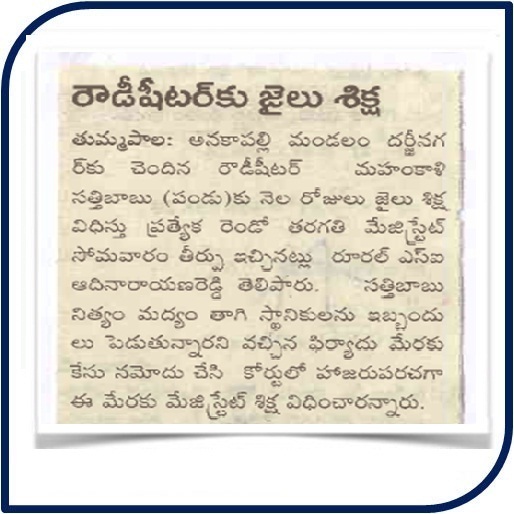 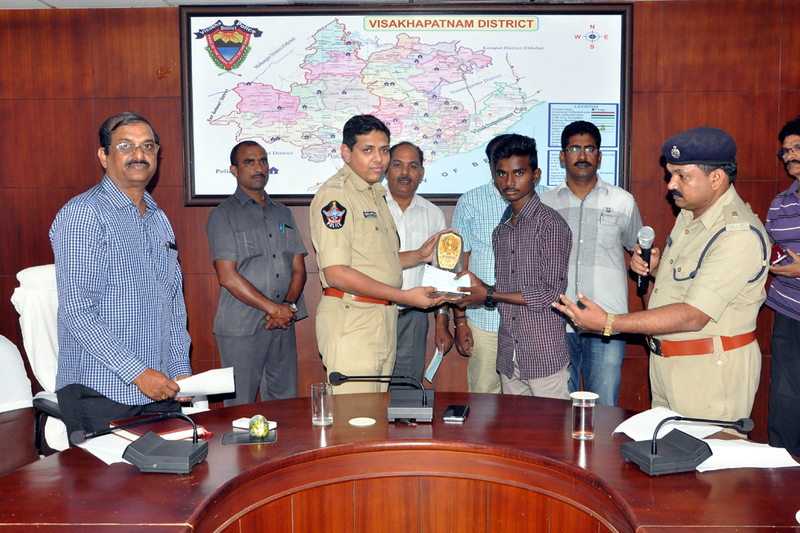 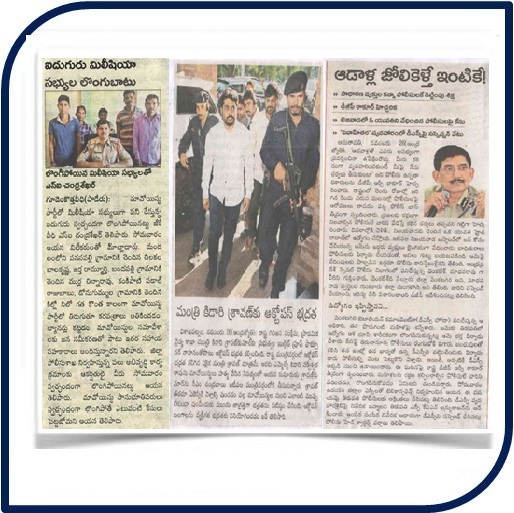 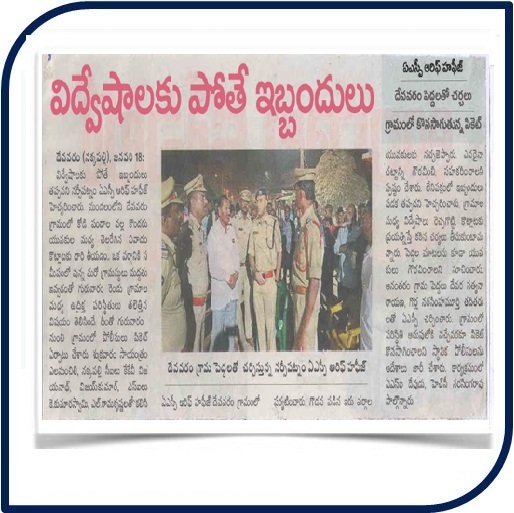 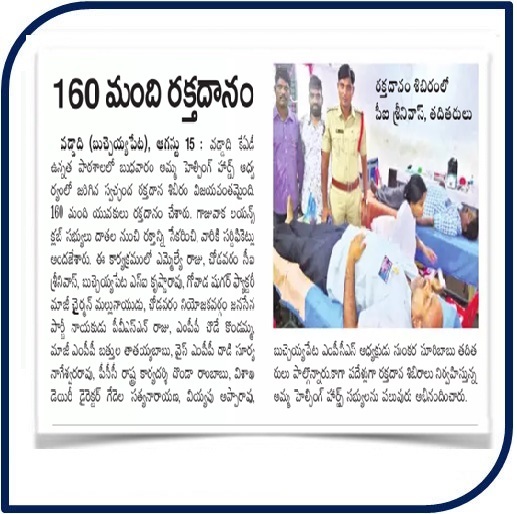 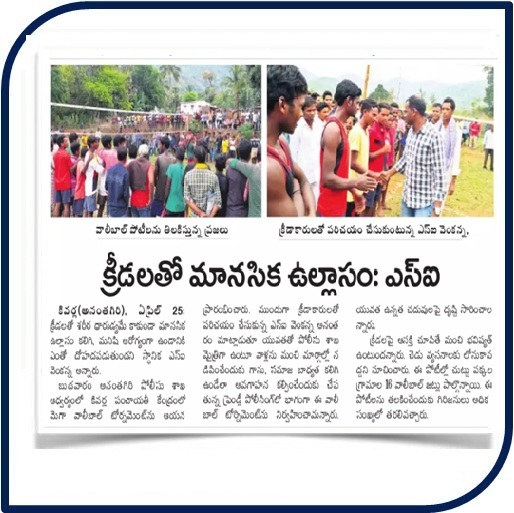 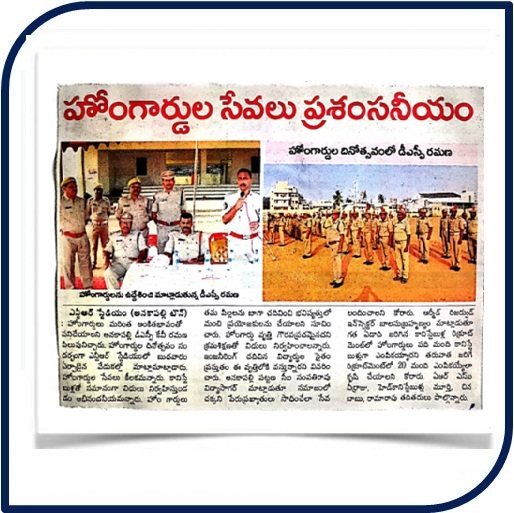 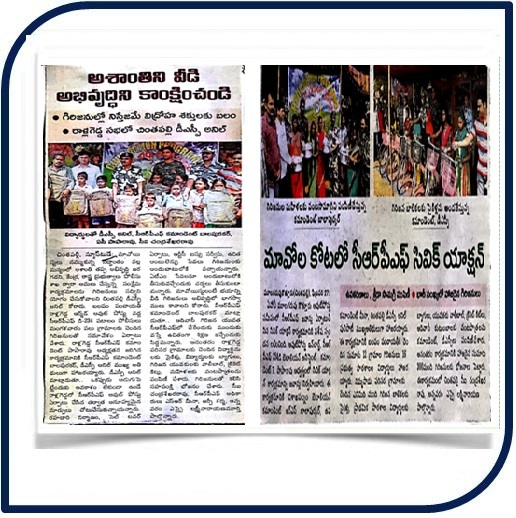 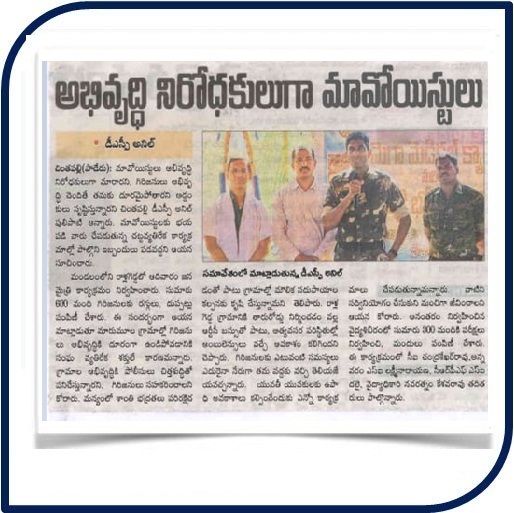 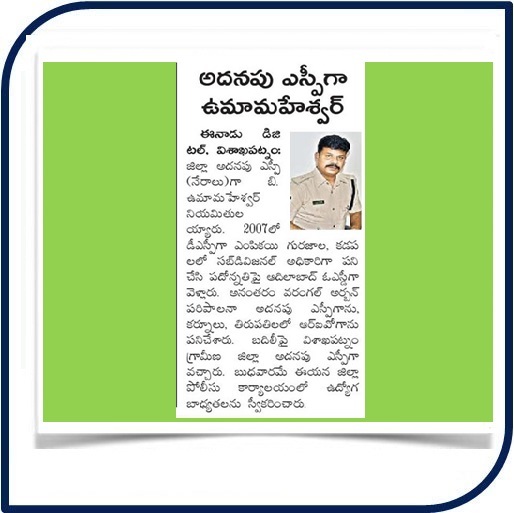 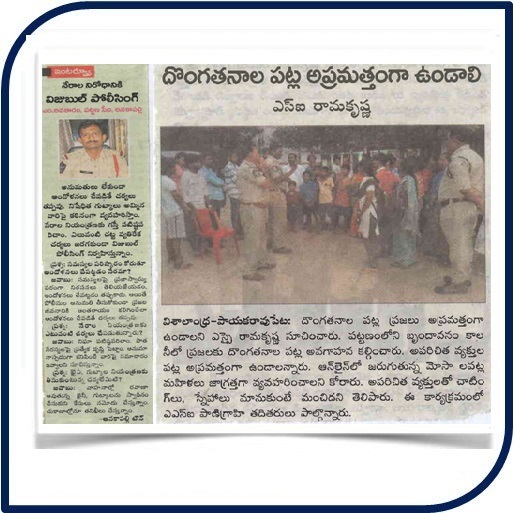 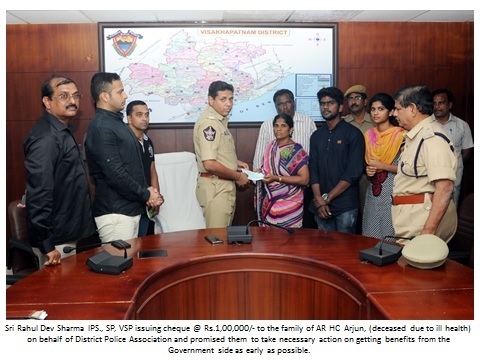 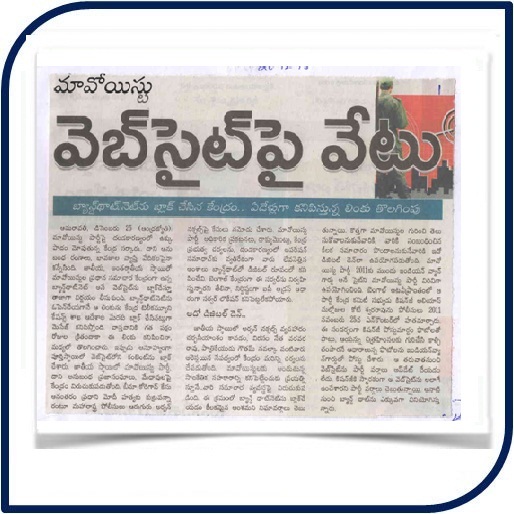 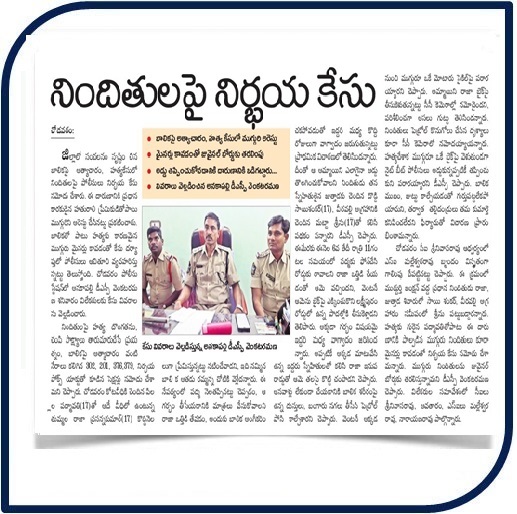 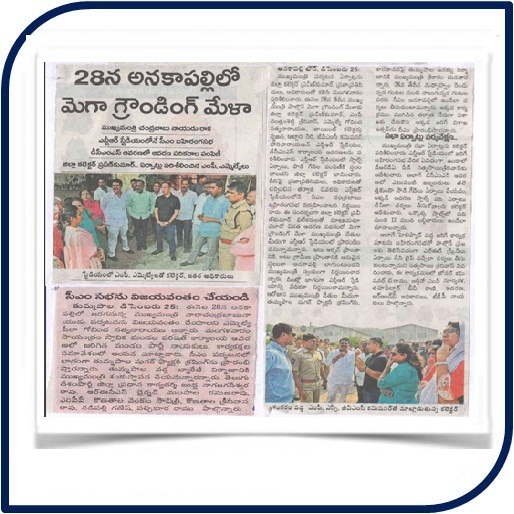 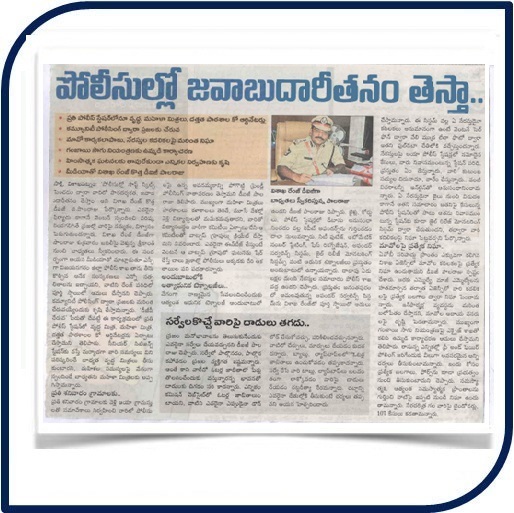 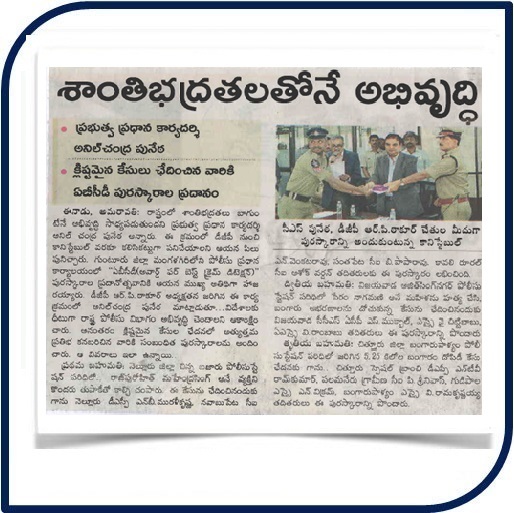 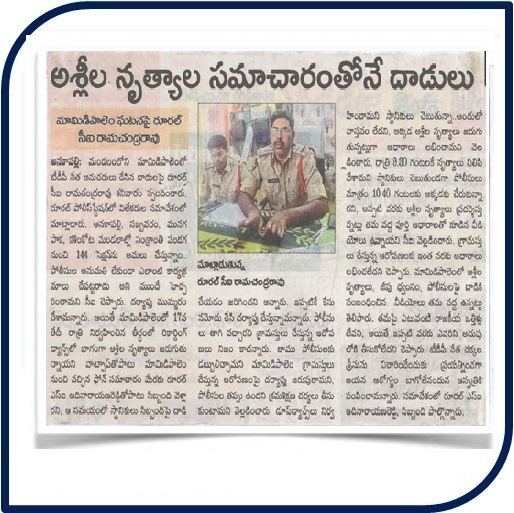 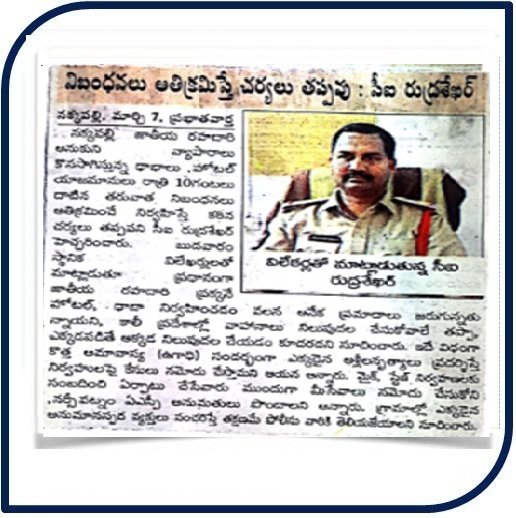 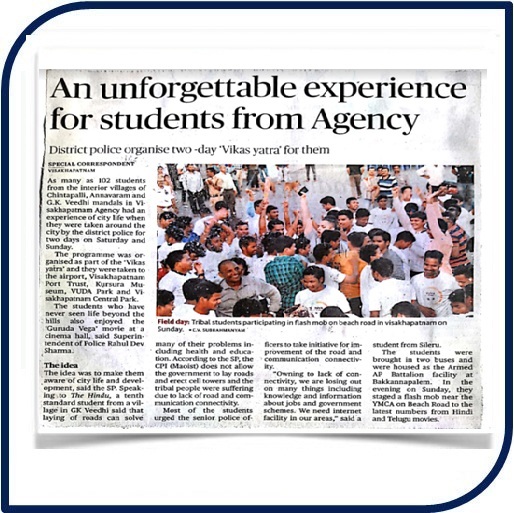 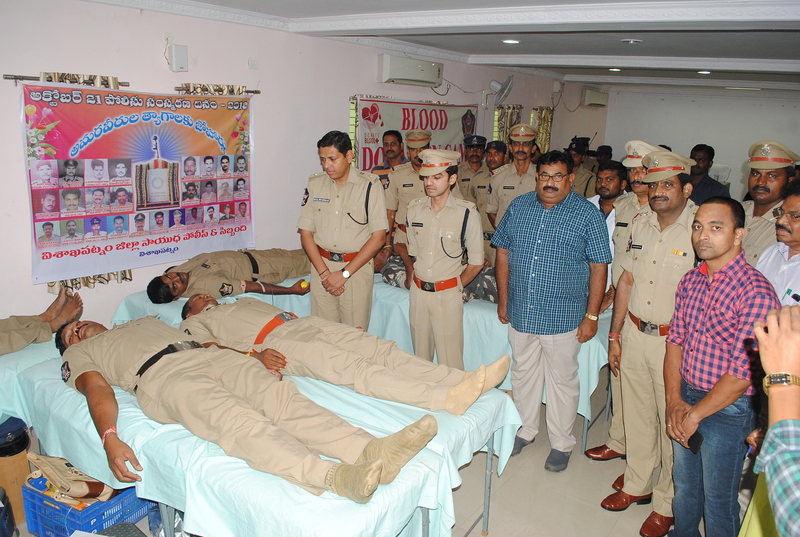 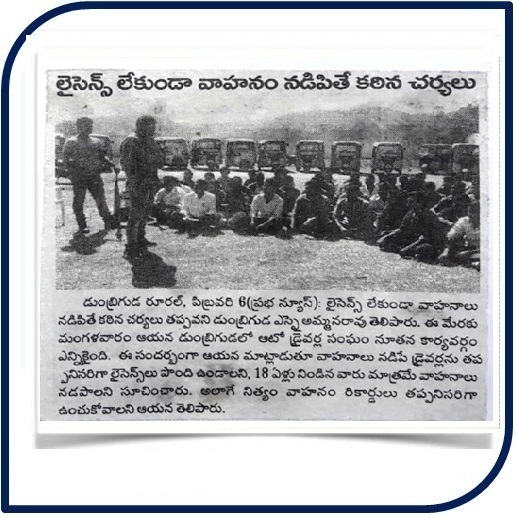 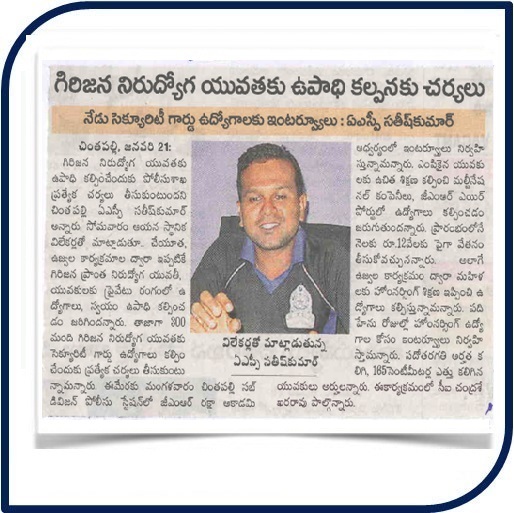 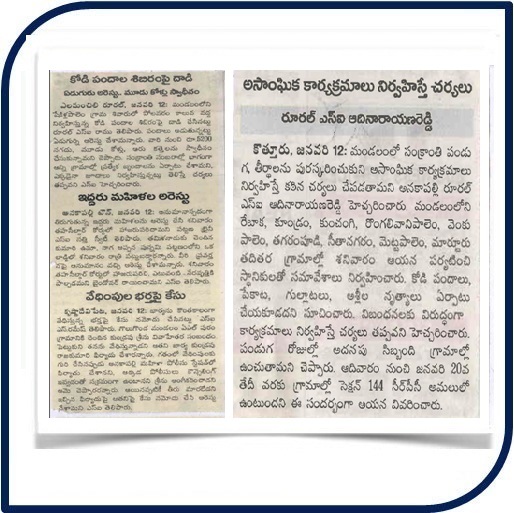 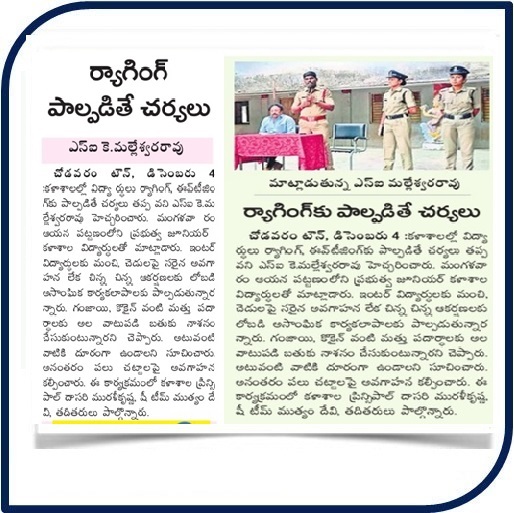 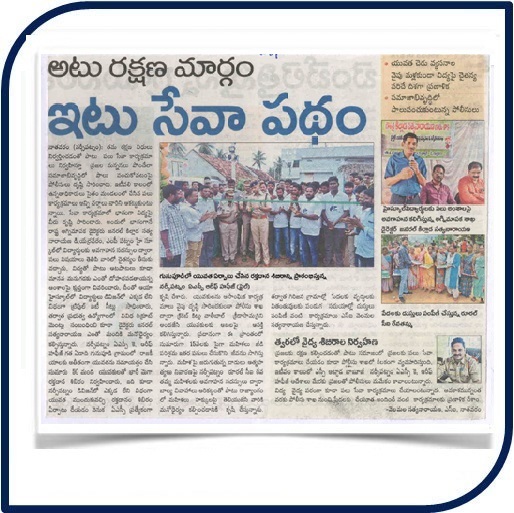 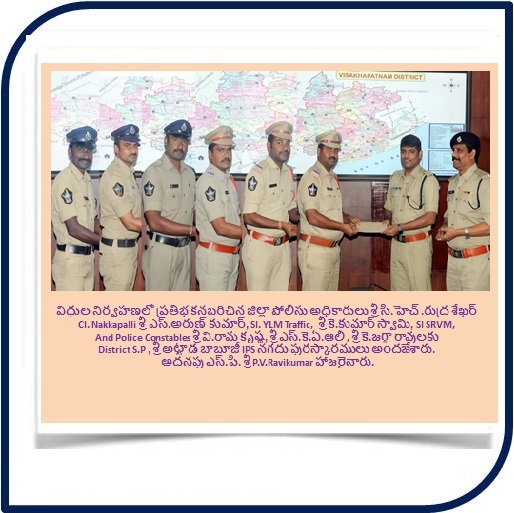 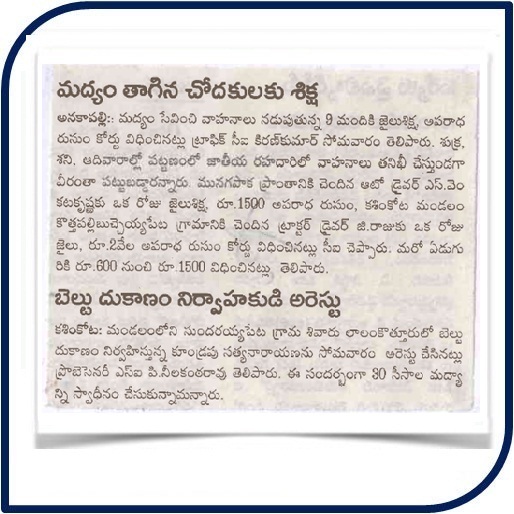 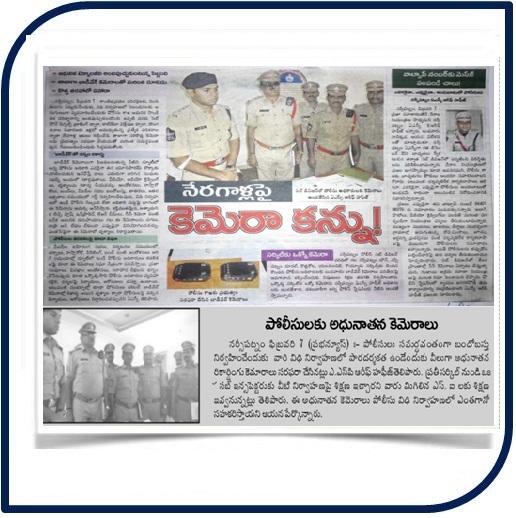 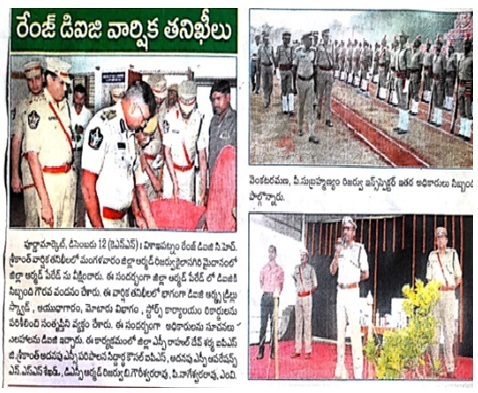 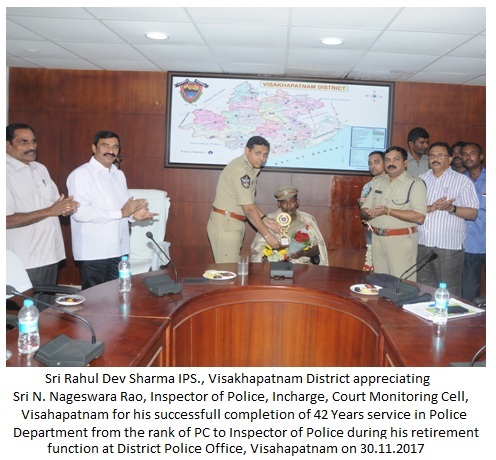 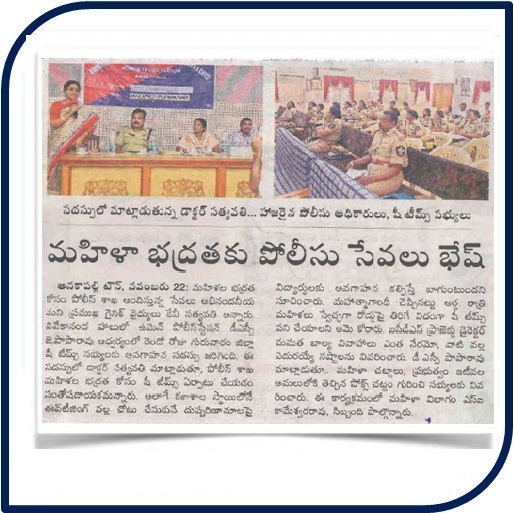 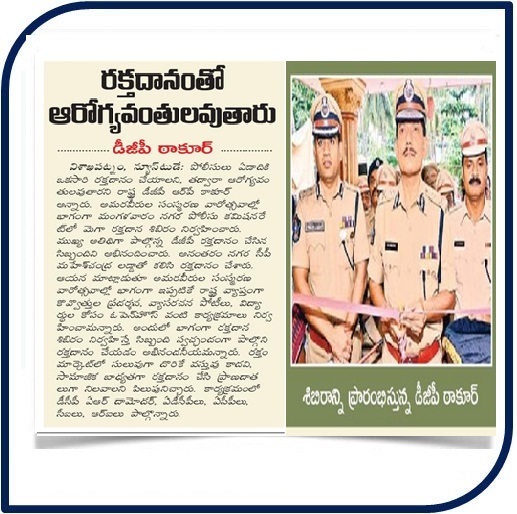 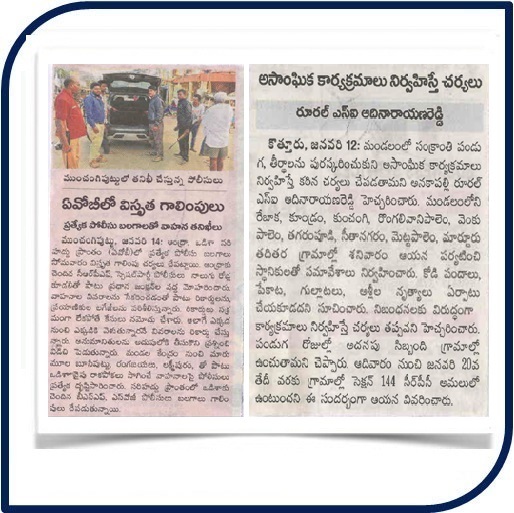 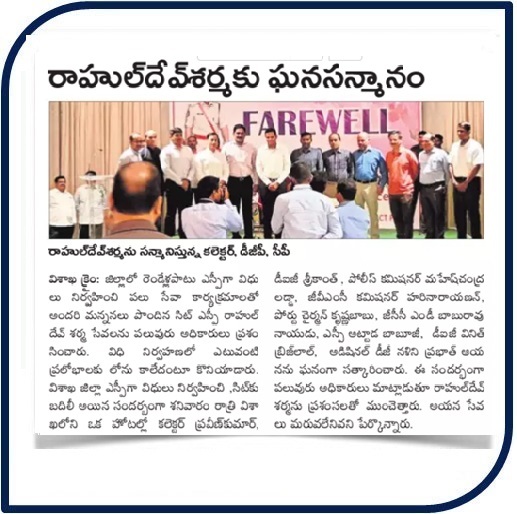 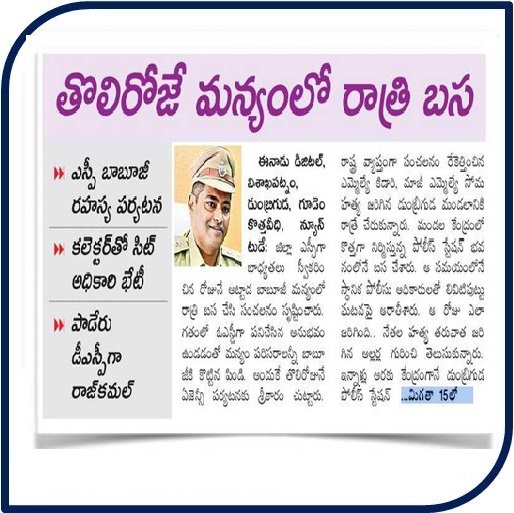 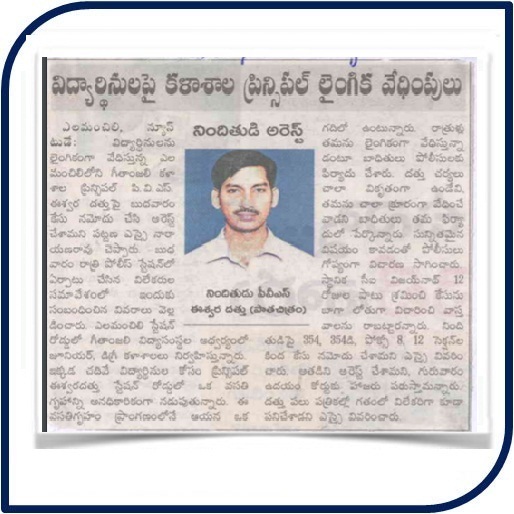 After bifurcation of Visakhapatnam as a City and District, Sri Mallela Babu Rao, IPS was held charge as Superintendent of Police to Visakhapatnam District. 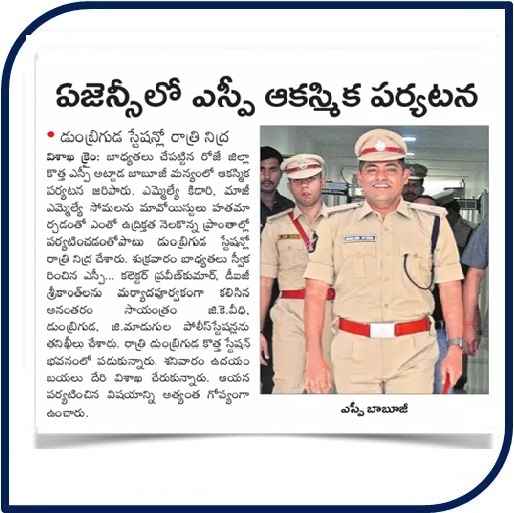 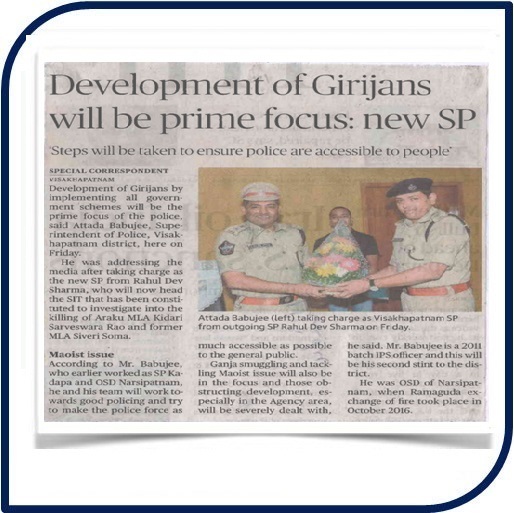 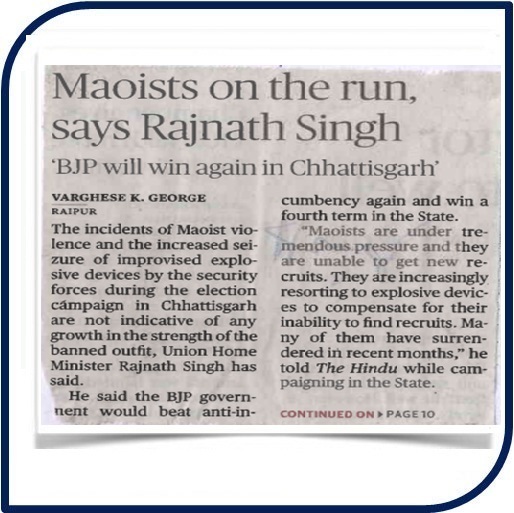 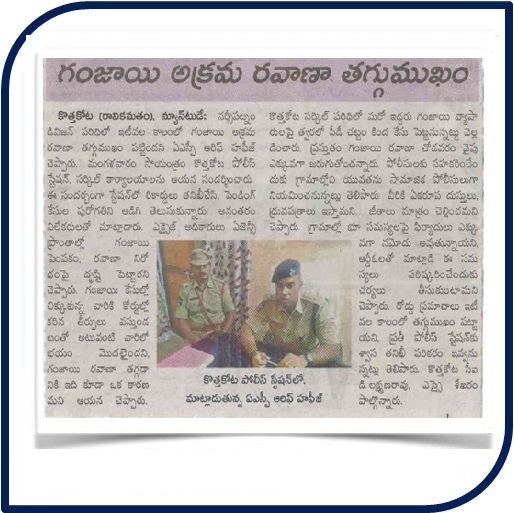 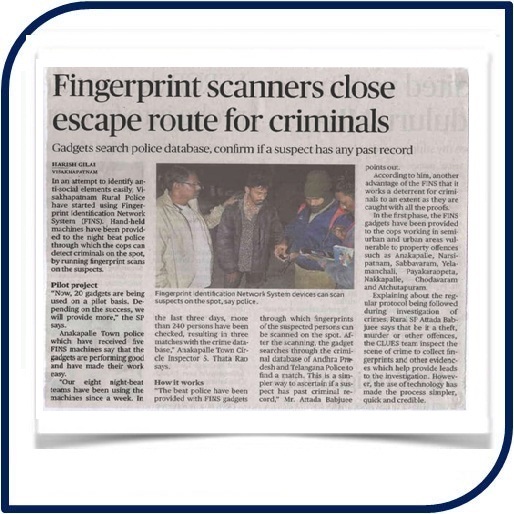 Present Sri Rahul Dev Sharma, IPS., is holding charge as Superintendent of Police to this District. 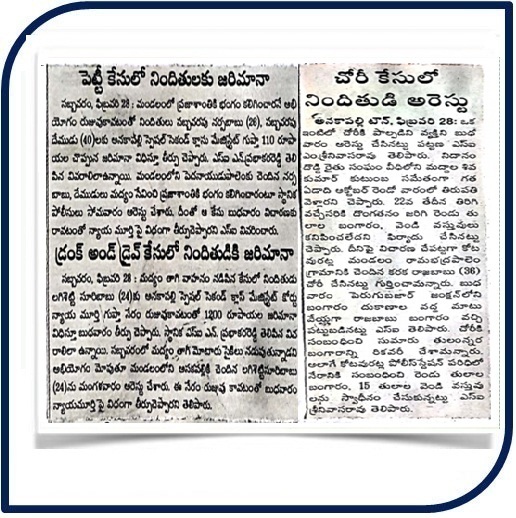 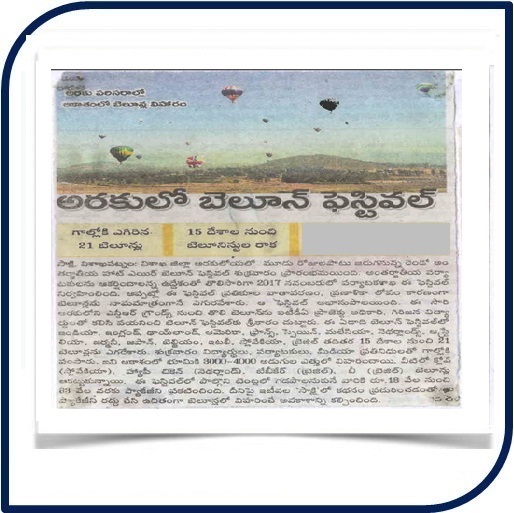 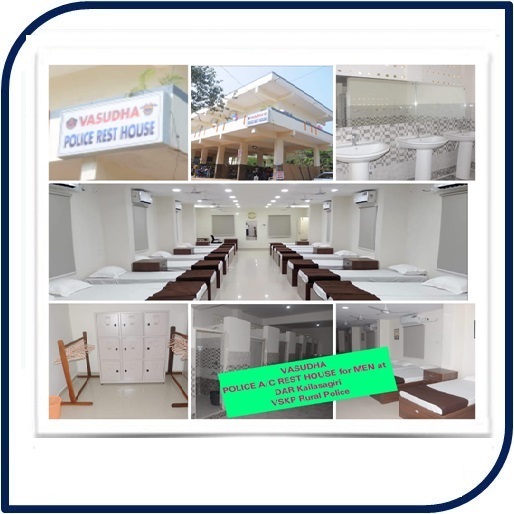 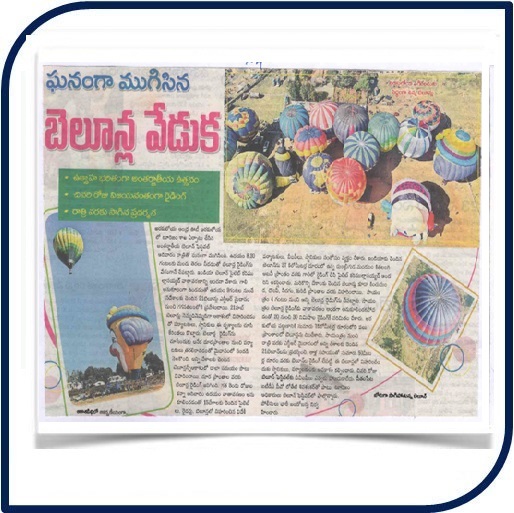 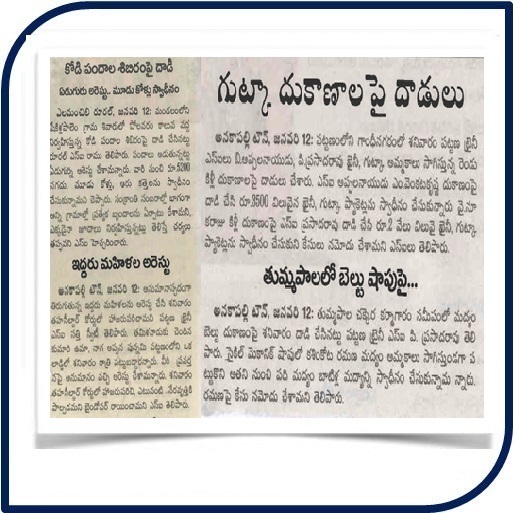 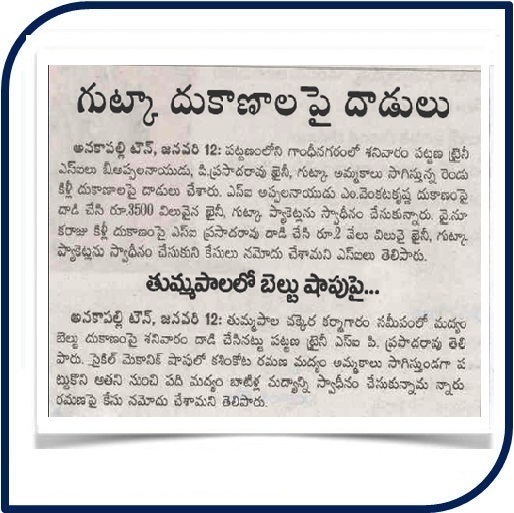 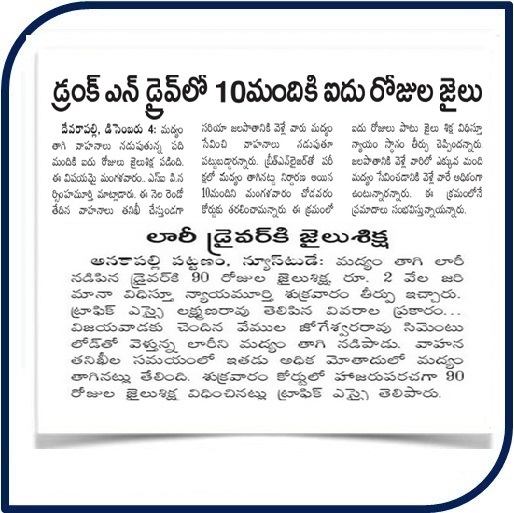 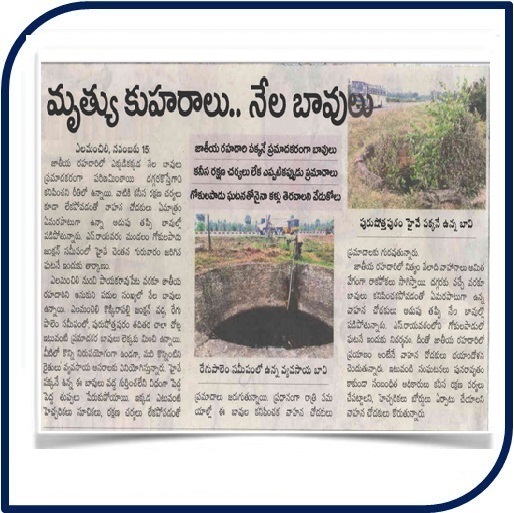 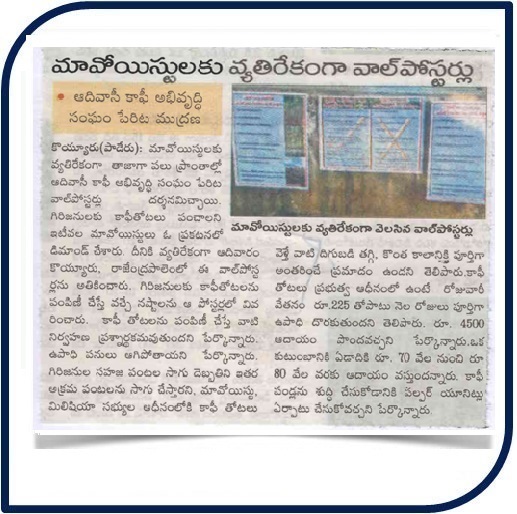 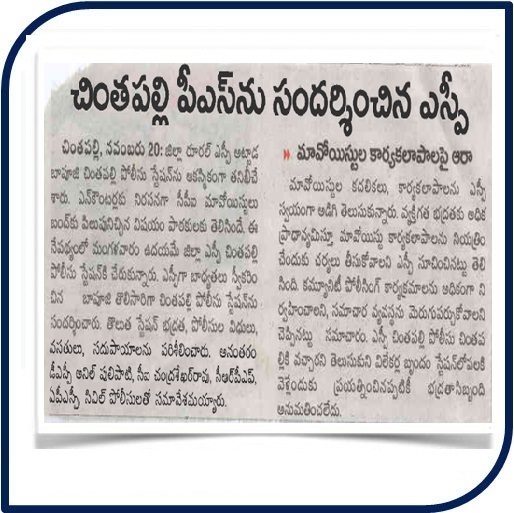 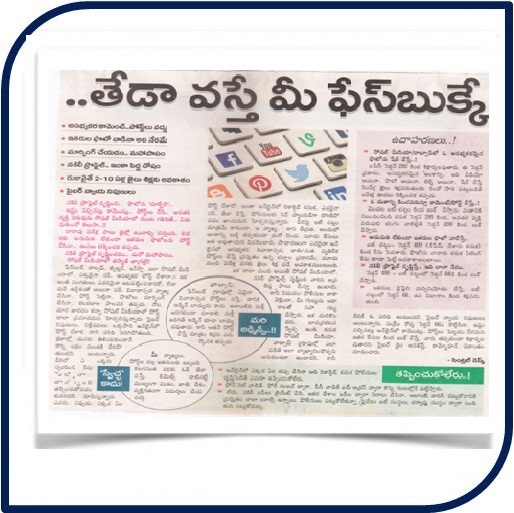 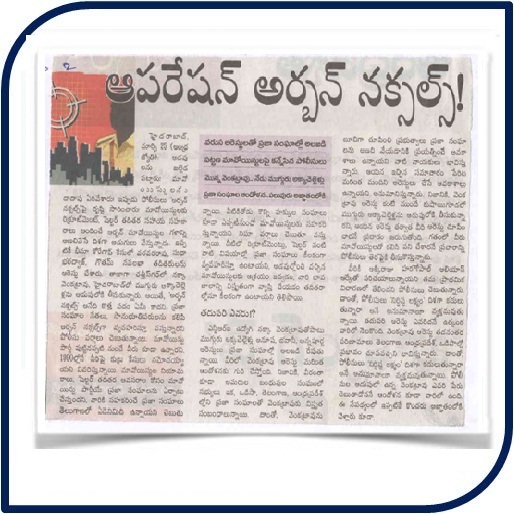 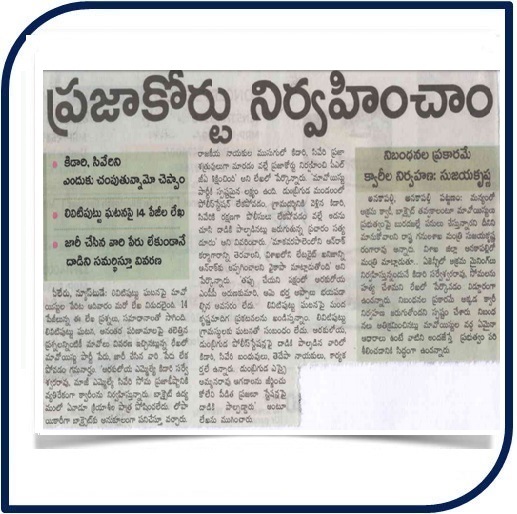 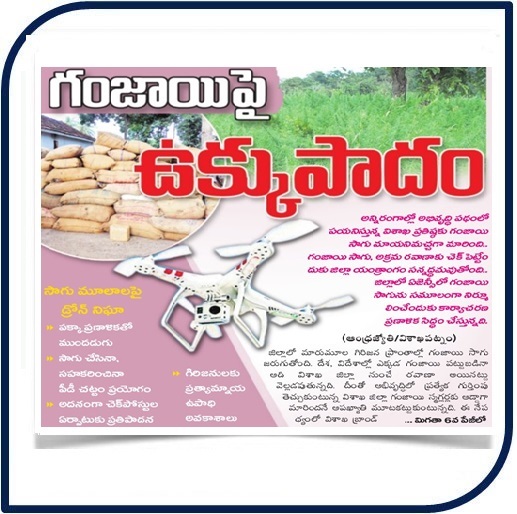 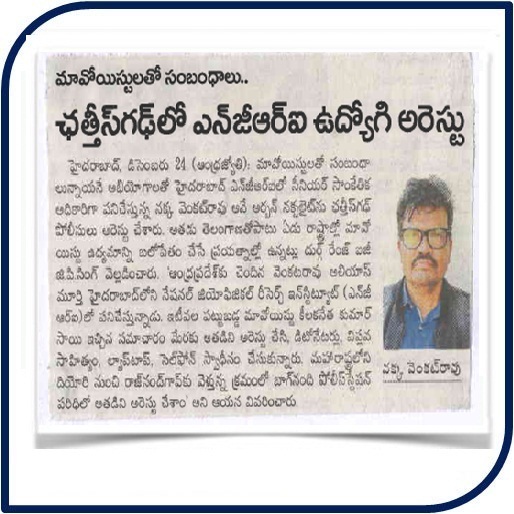 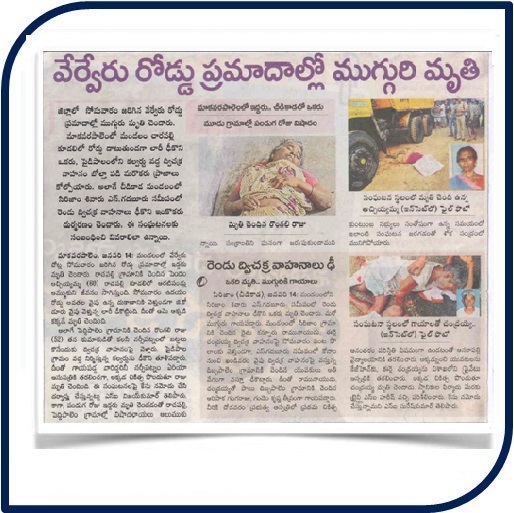 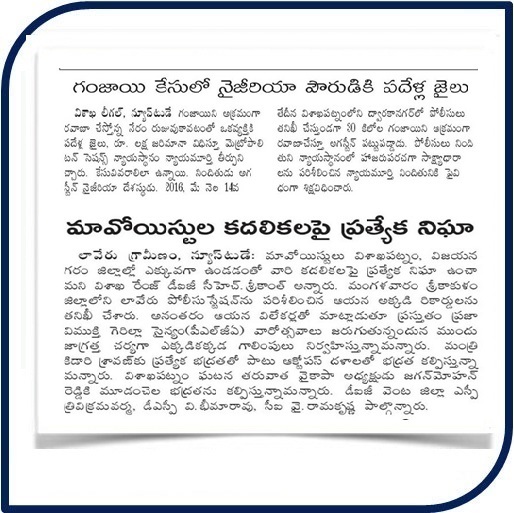 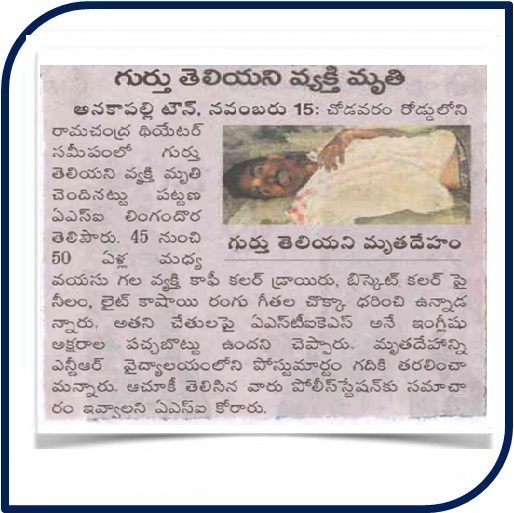 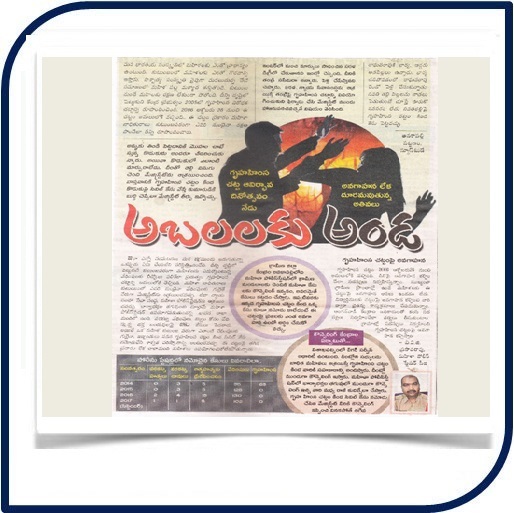 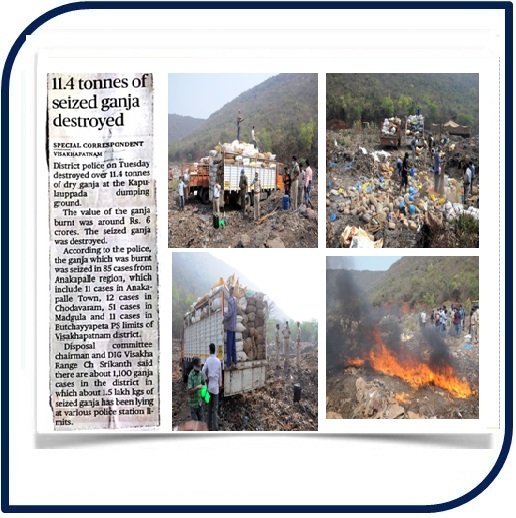 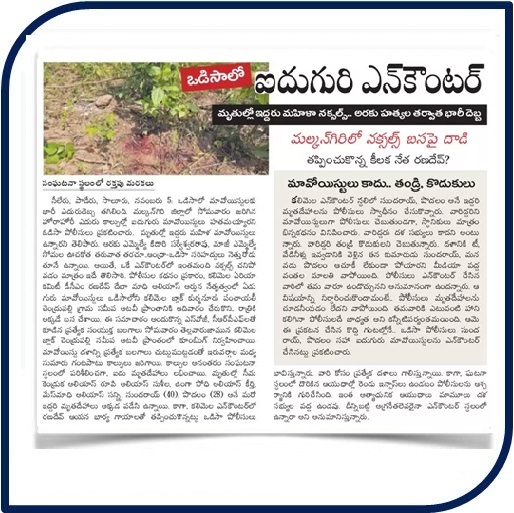 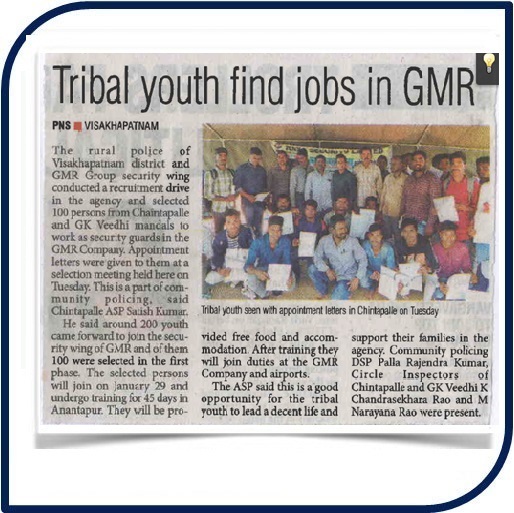 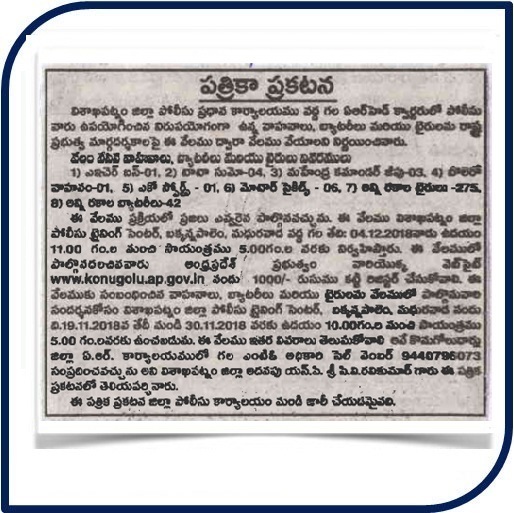 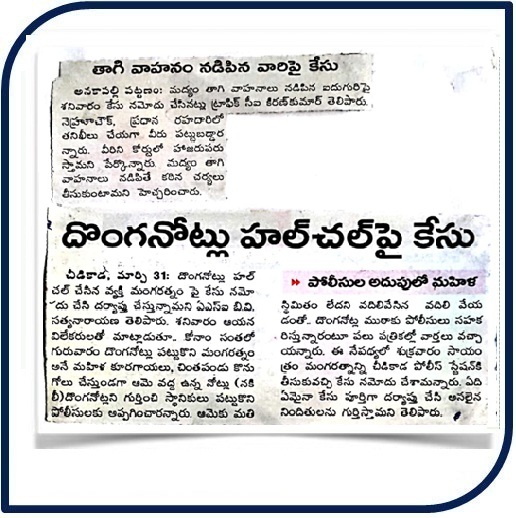 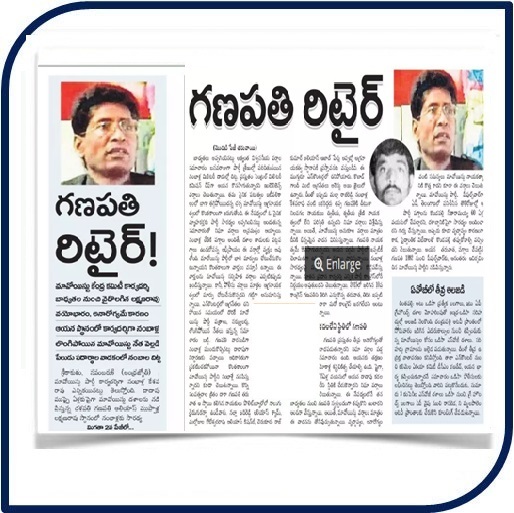 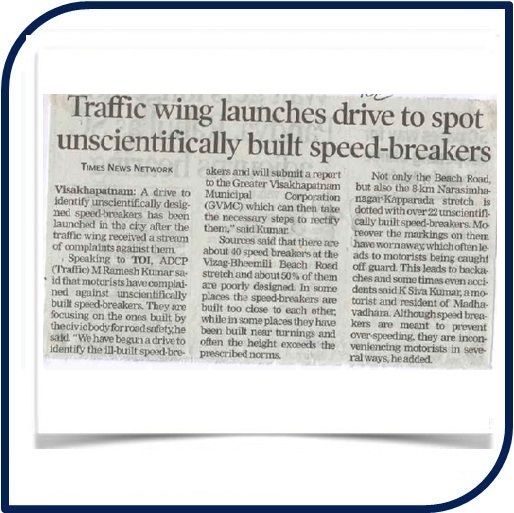 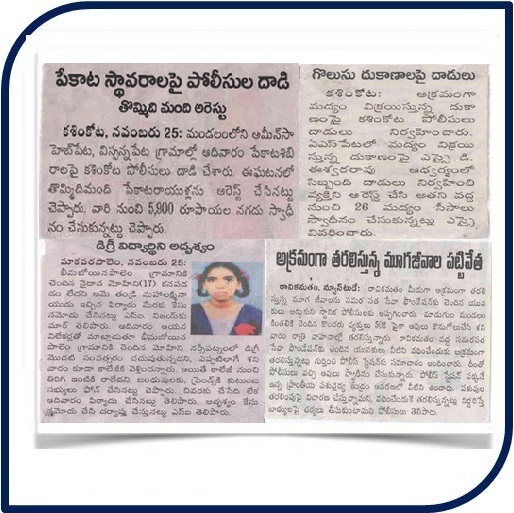 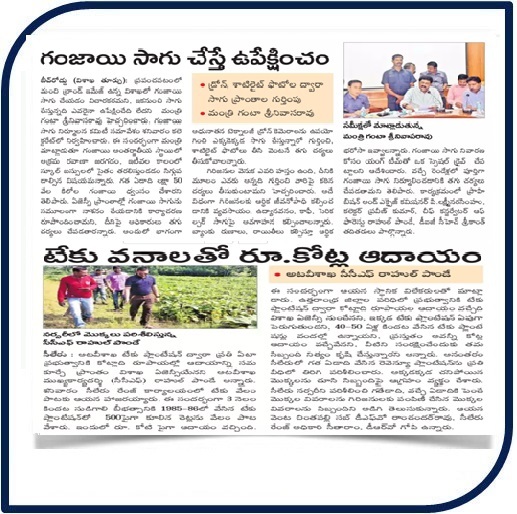 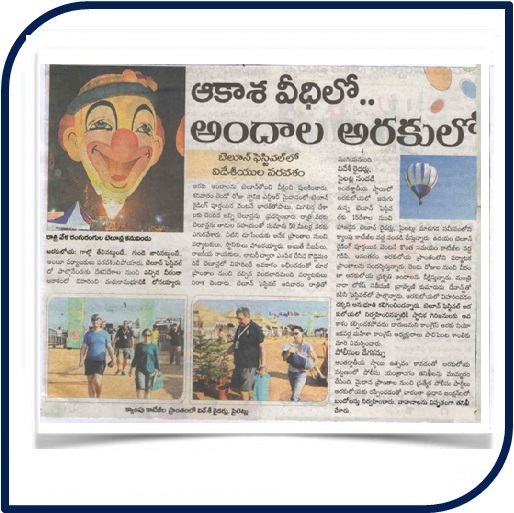 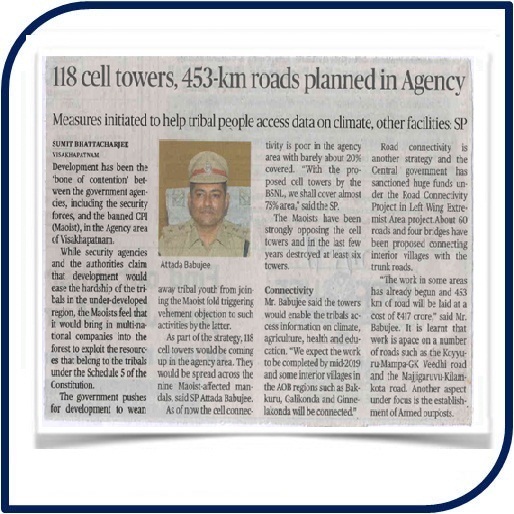 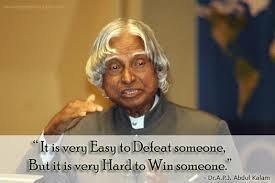 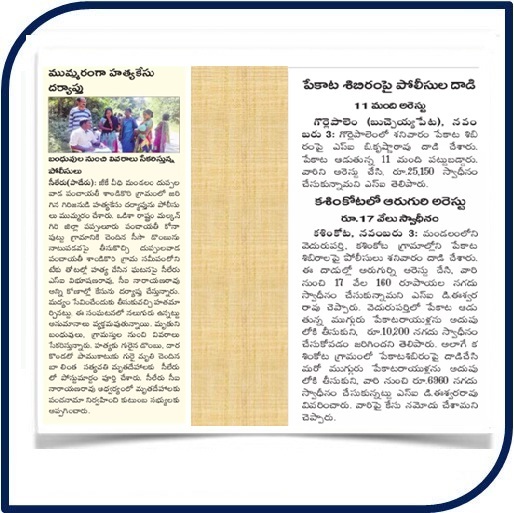 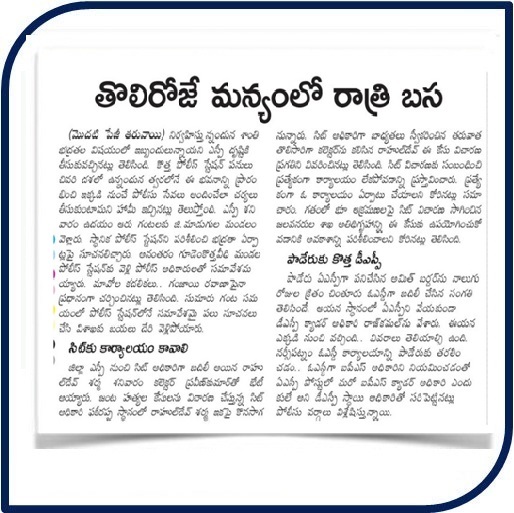 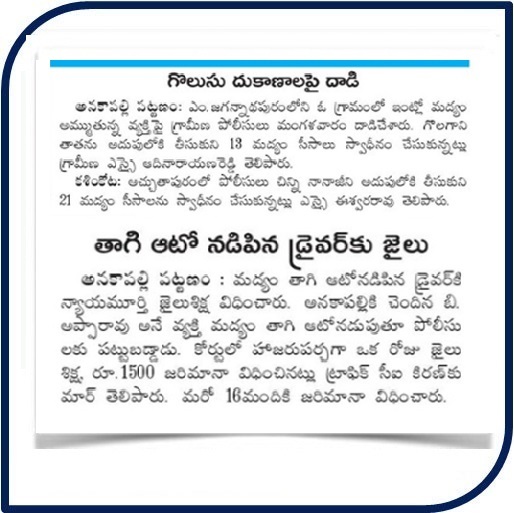 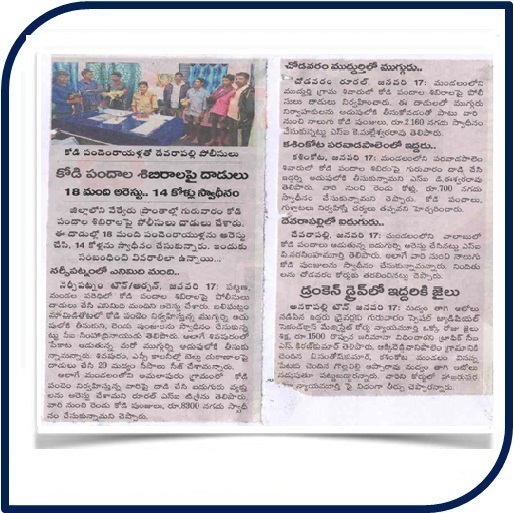 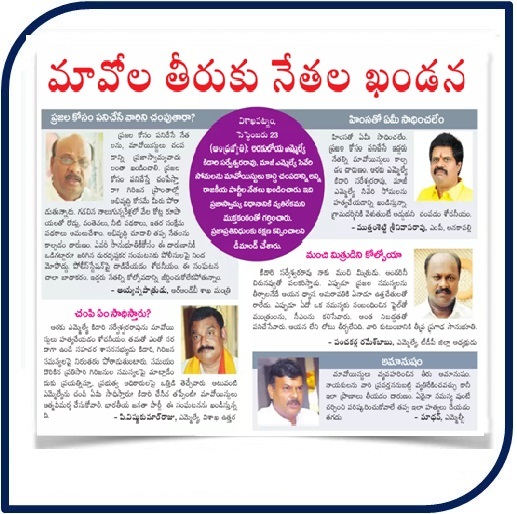 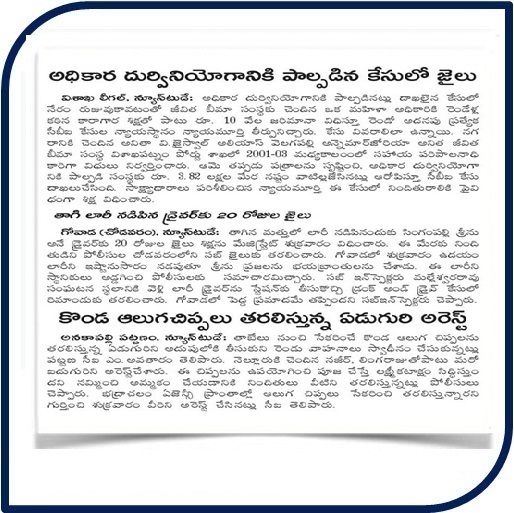 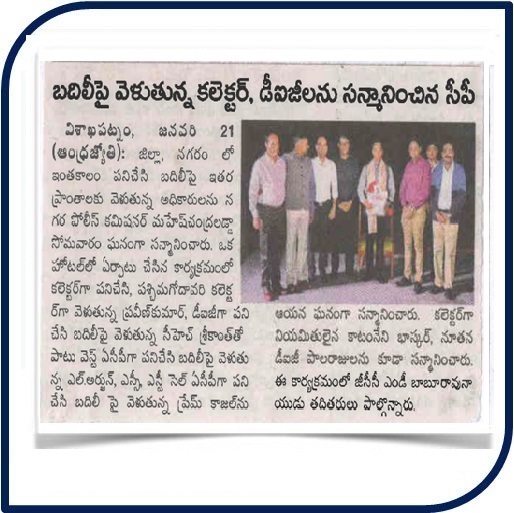 There are 4 Sub-Divisions (Anakapalli, Narsipatnam, Chintapalli and Paderu), 13 L&O Circles (Anakapalli Town, Anakapalli Rural, Chodavaram, Yelamanchili, Kothakota, Narsipatnam Town, Narsipatnam Rural, Koyyuru, G.K.Veedhi, Chintapalli, G.Madugula, Paderu and Araku) and total Police Stations are 47. 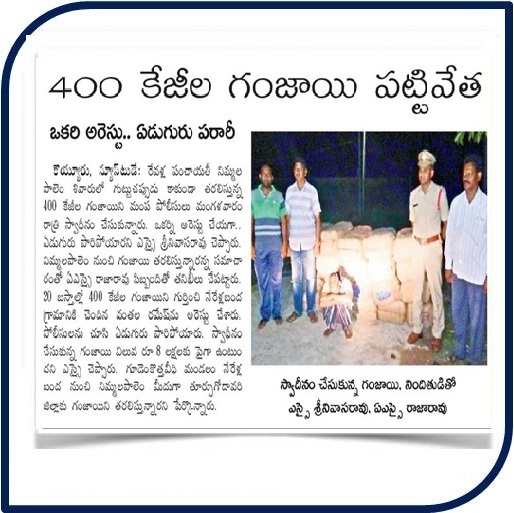 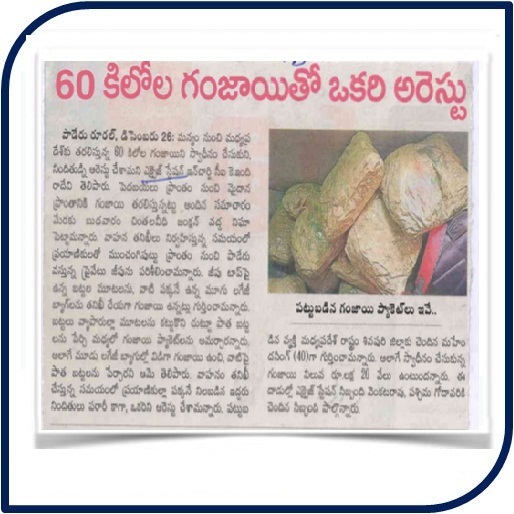 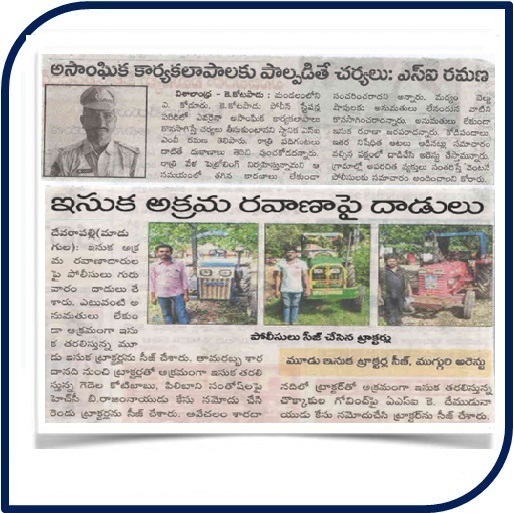 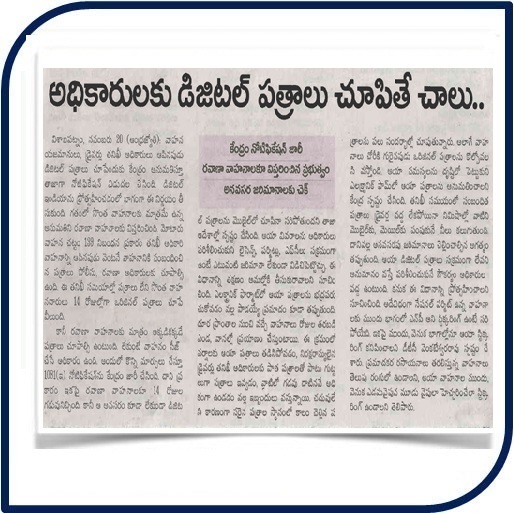 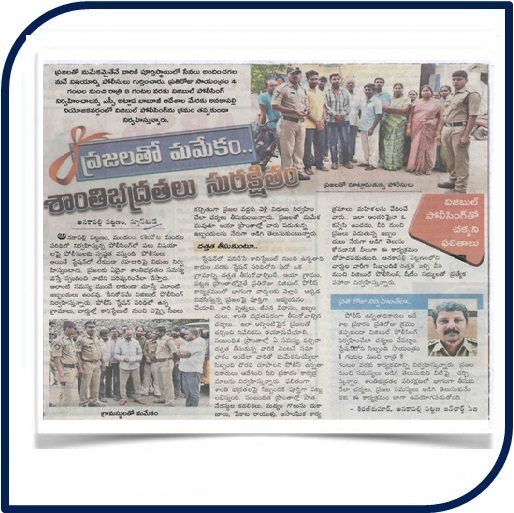 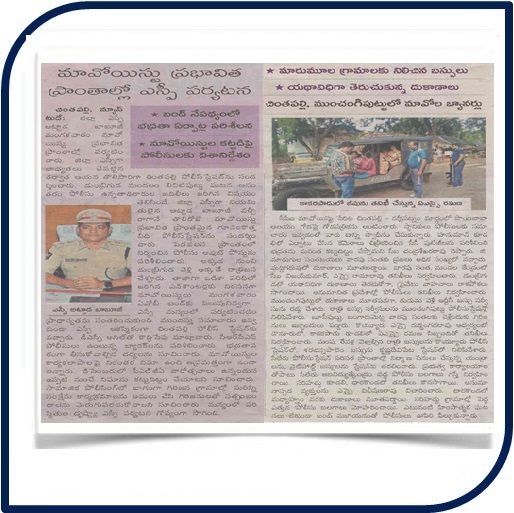 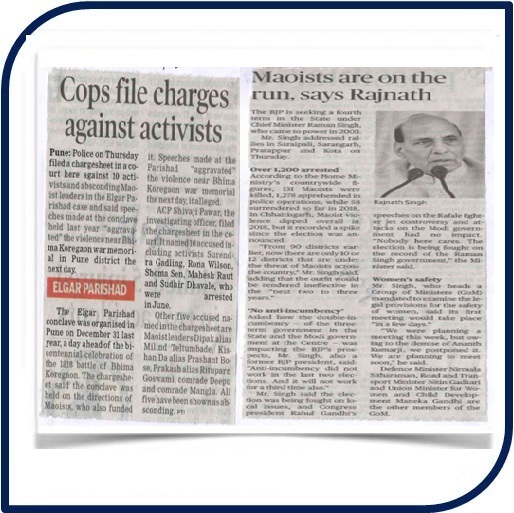 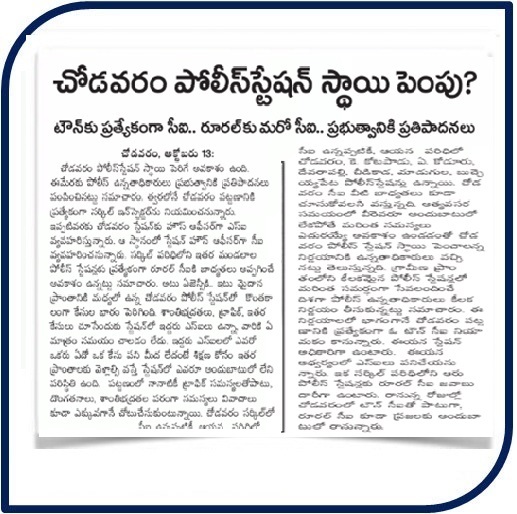 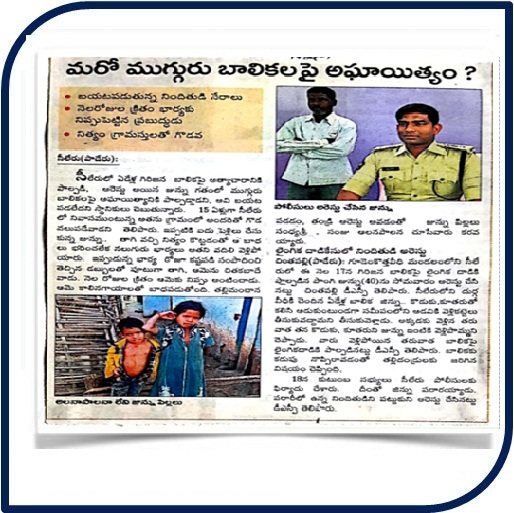 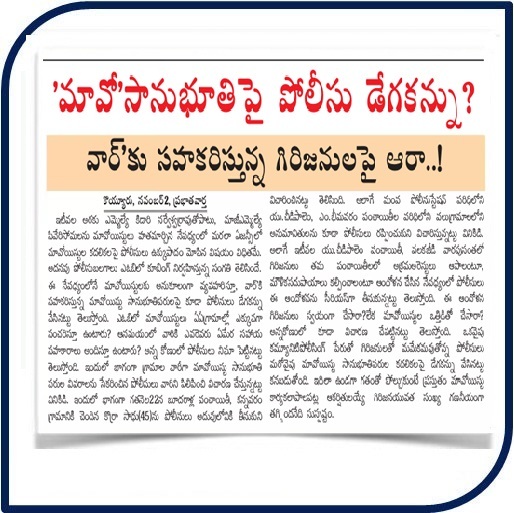 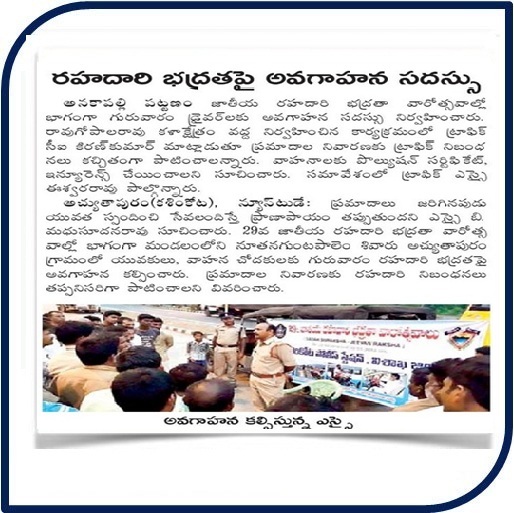 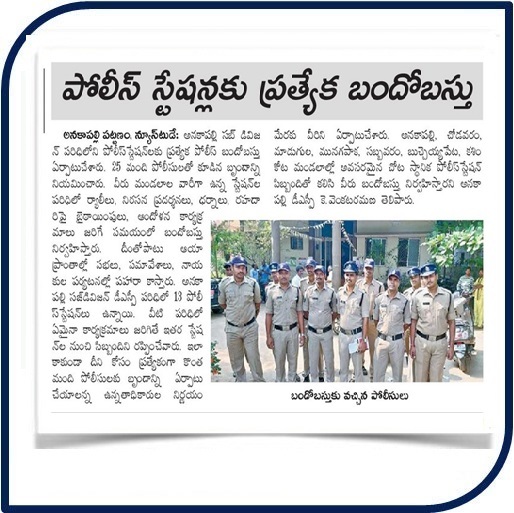 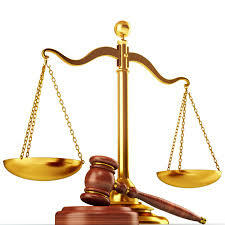 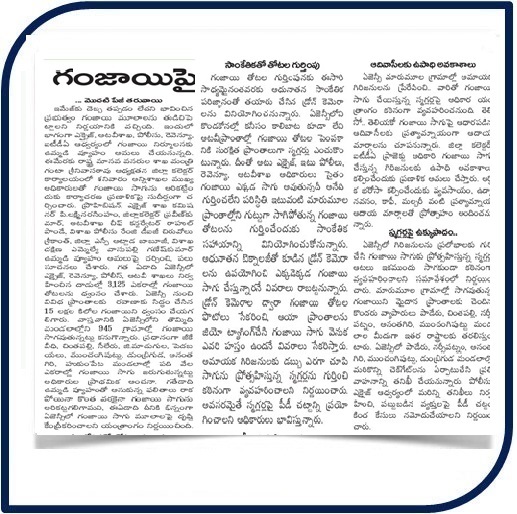 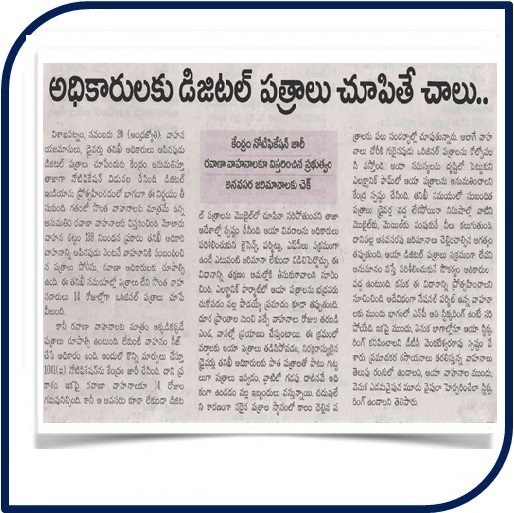 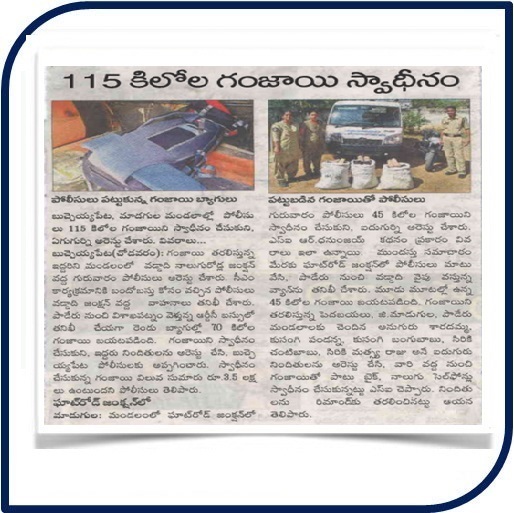 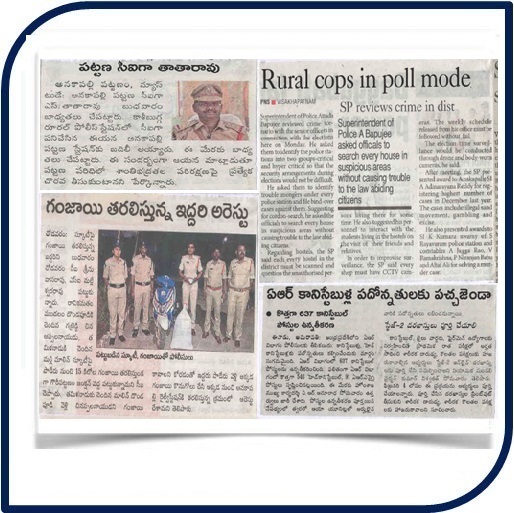 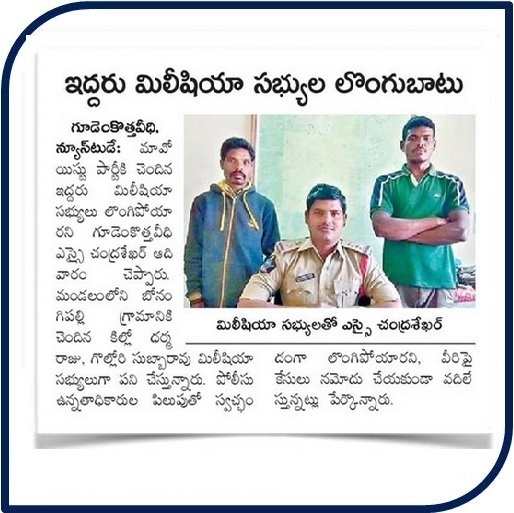 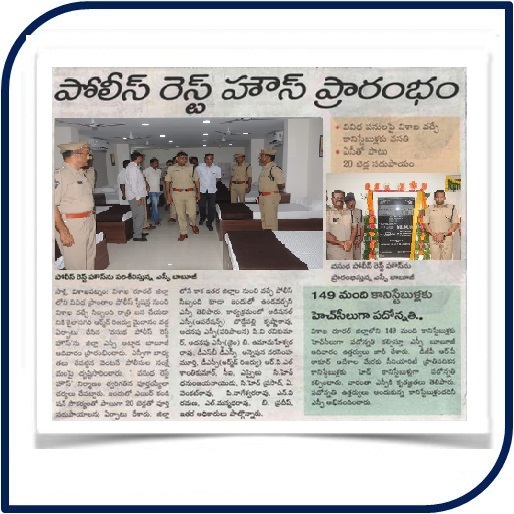 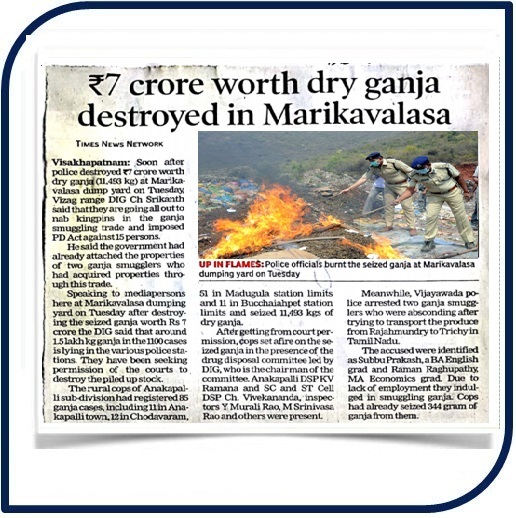 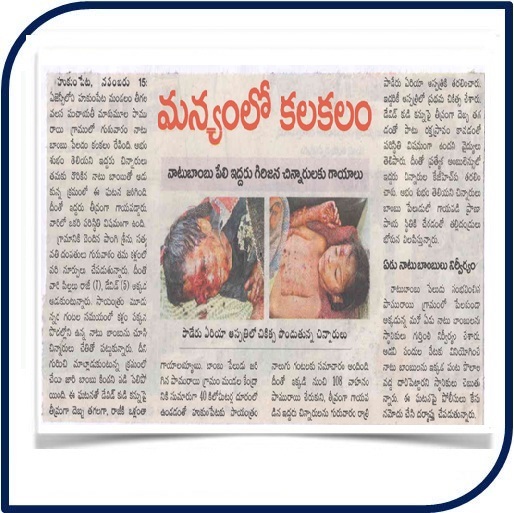 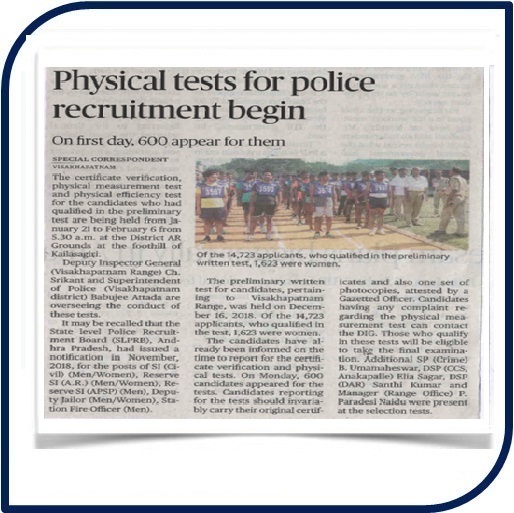 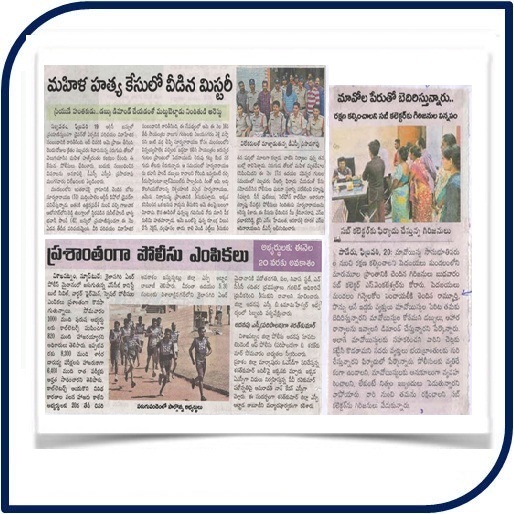 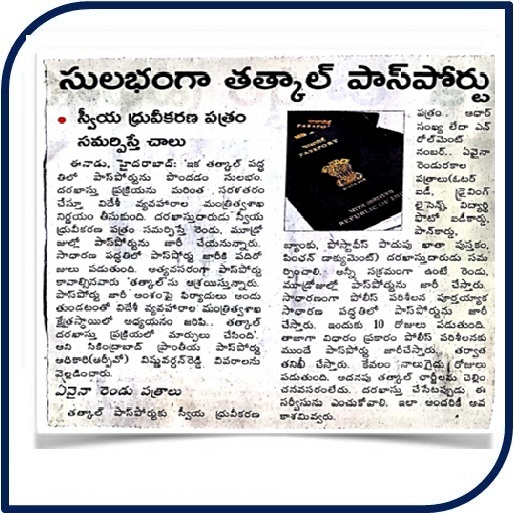 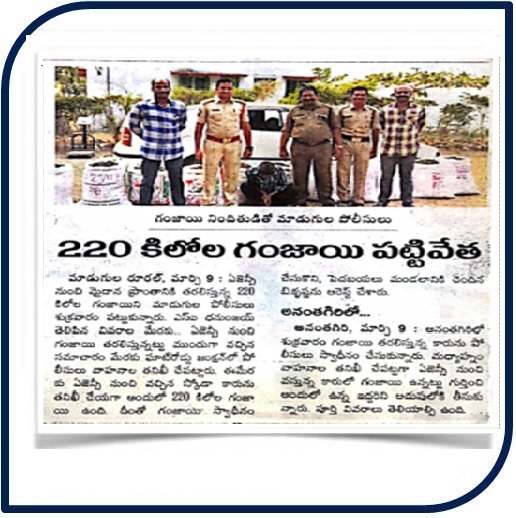 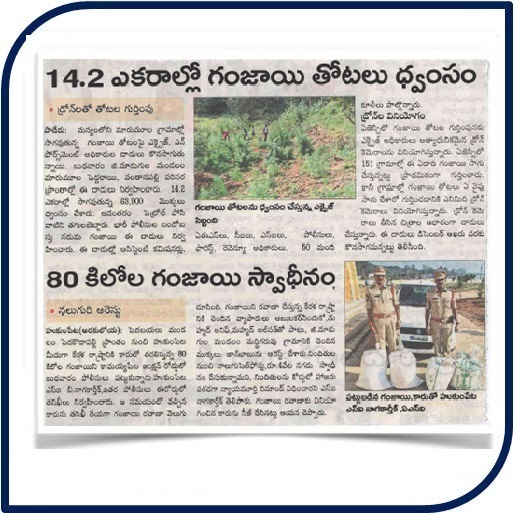 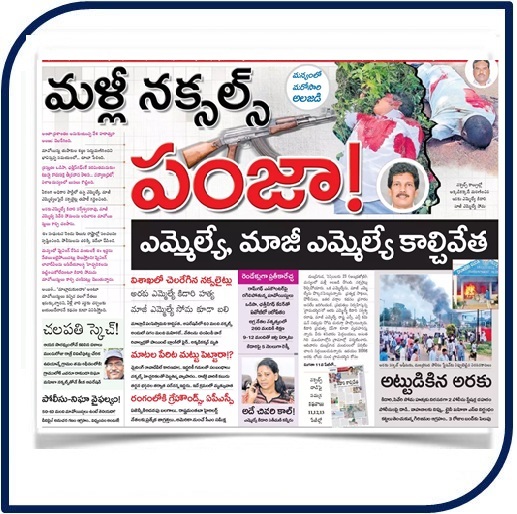 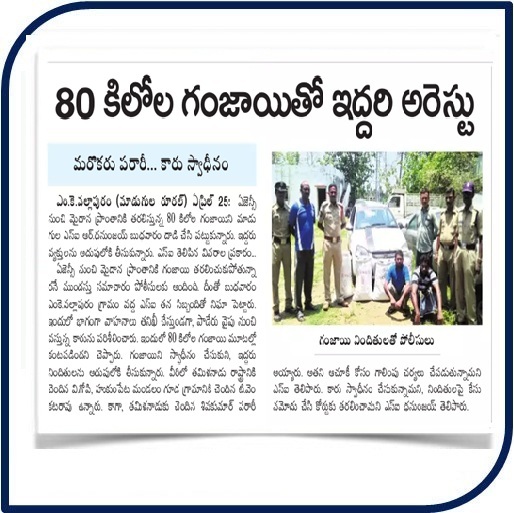 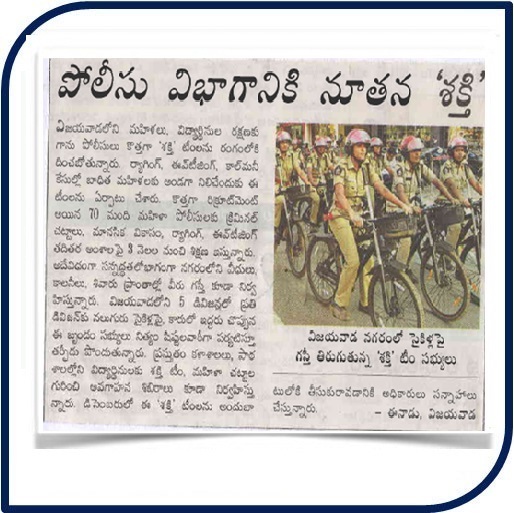 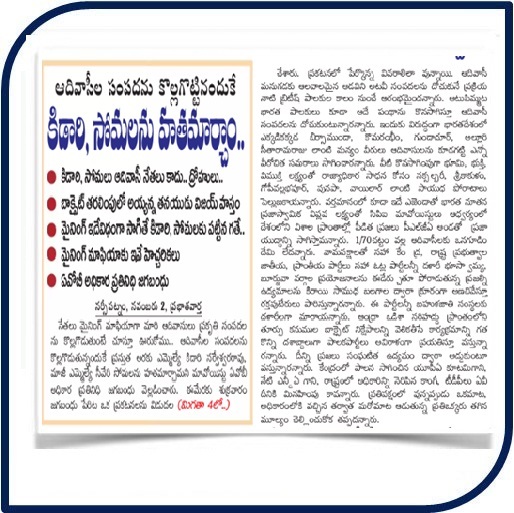 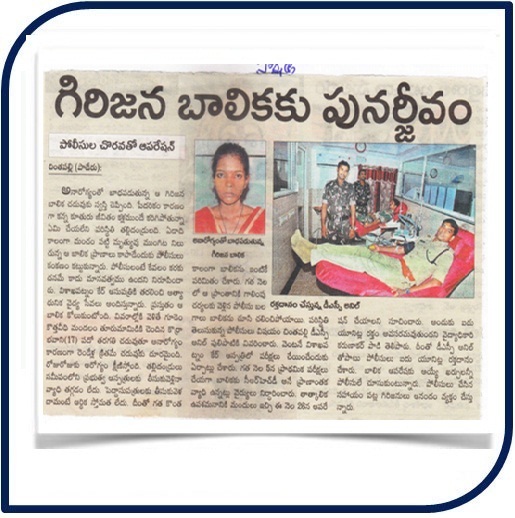 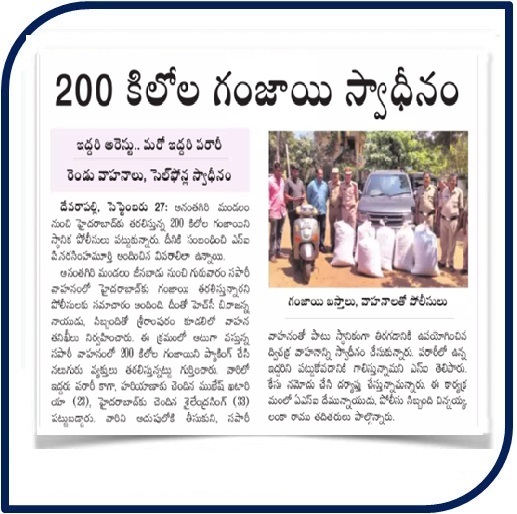 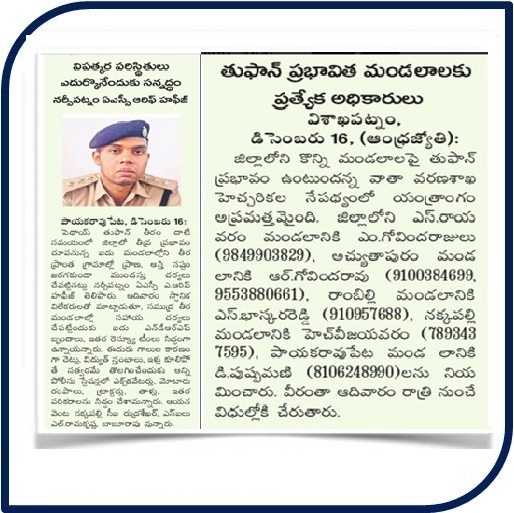 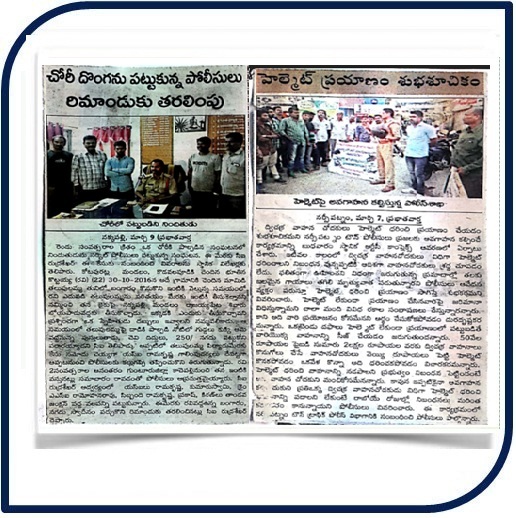 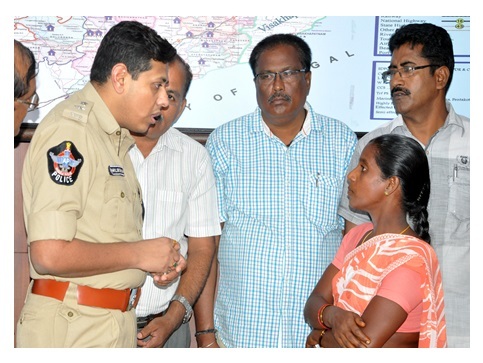 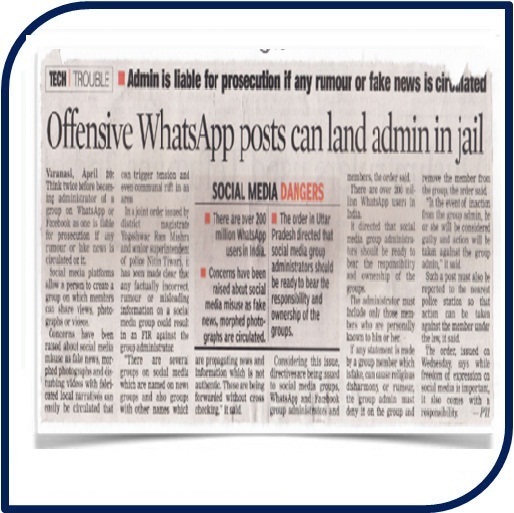 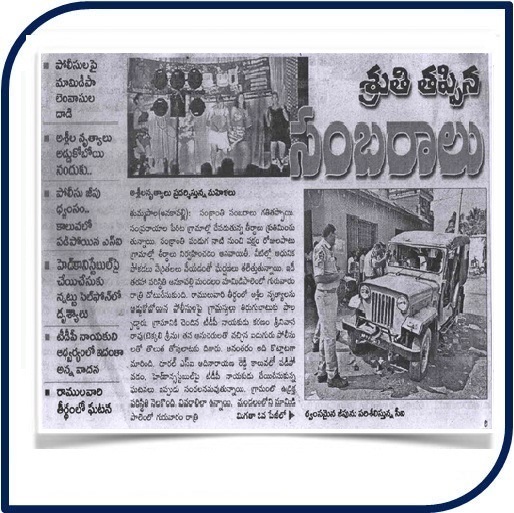 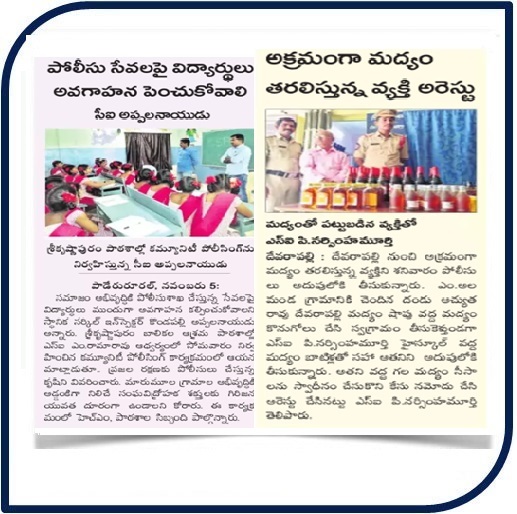 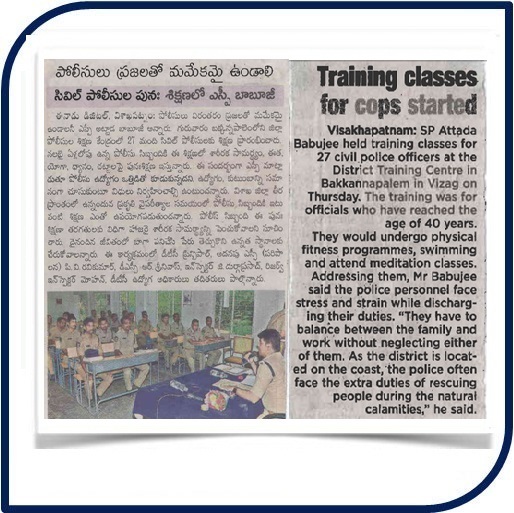 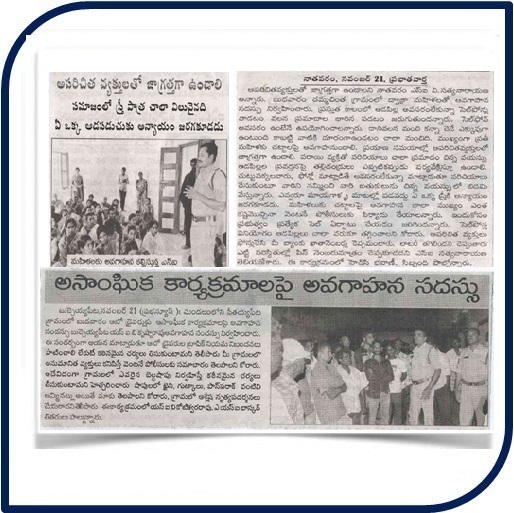 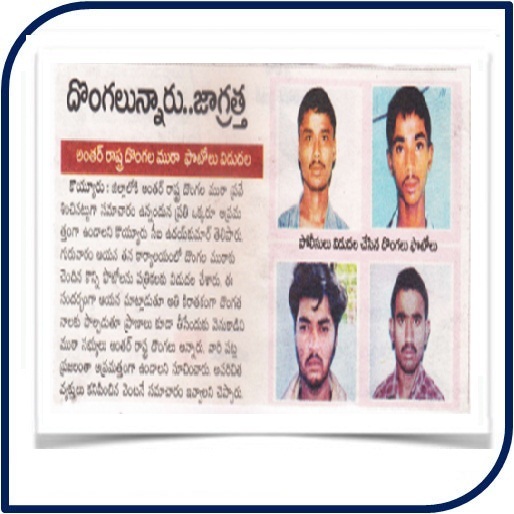 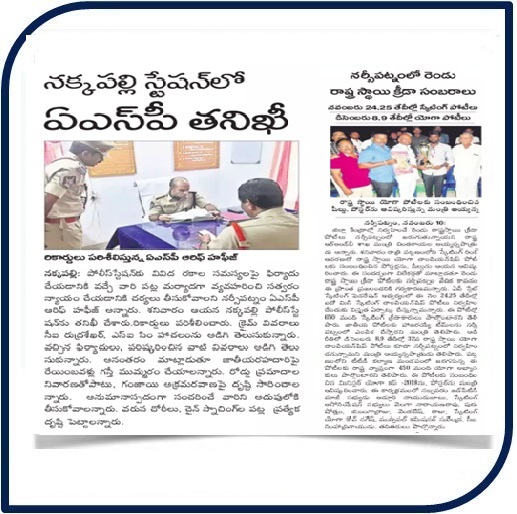 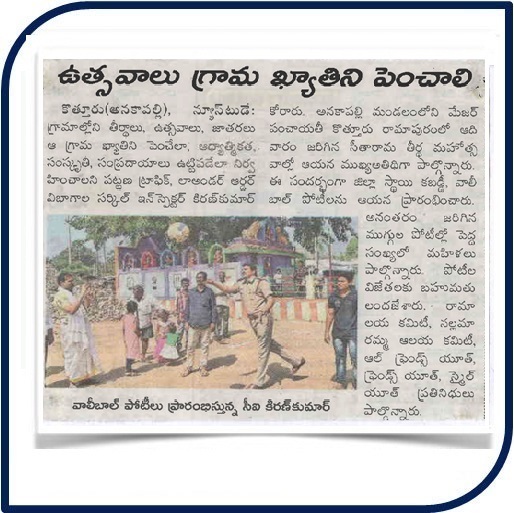 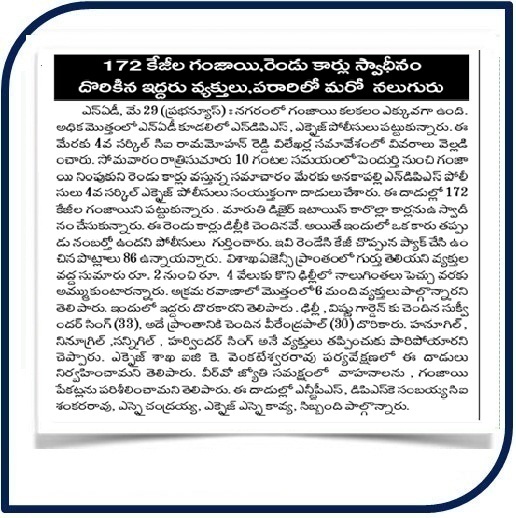 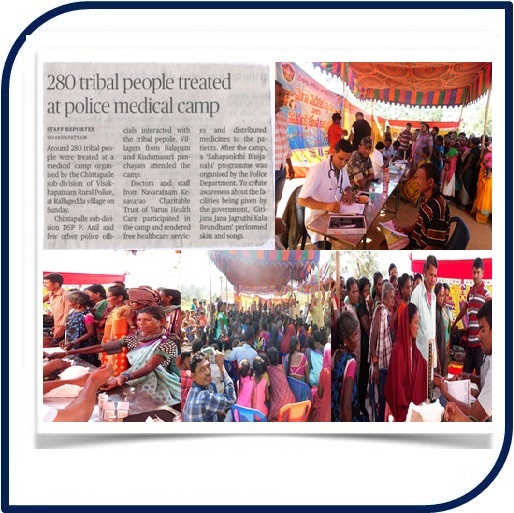 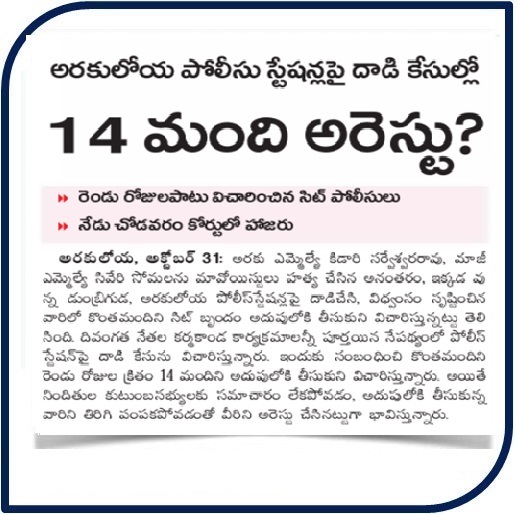 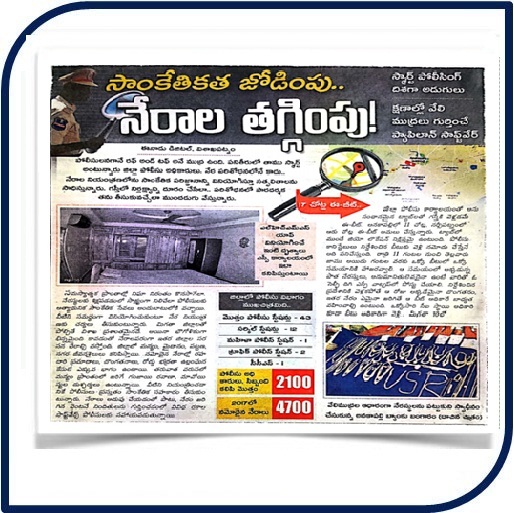 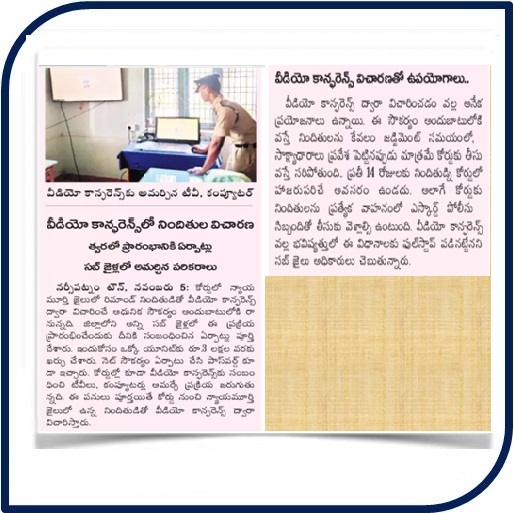 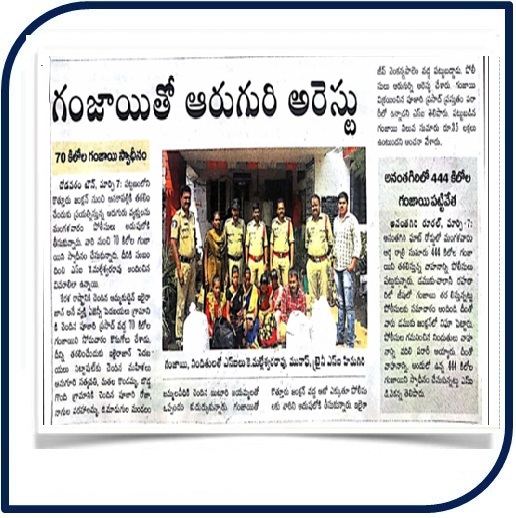 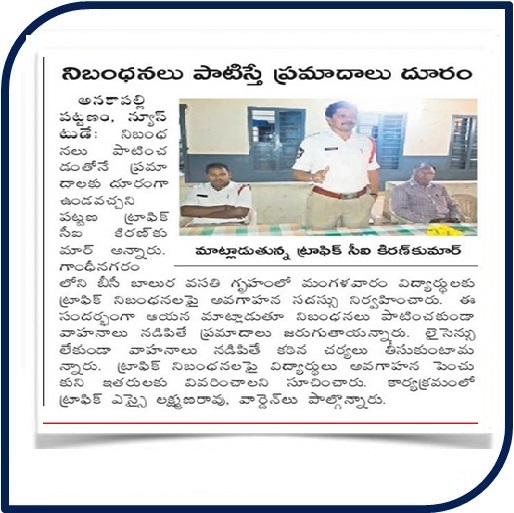 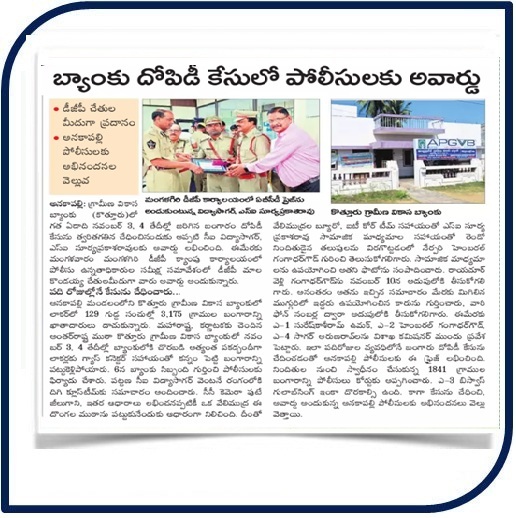 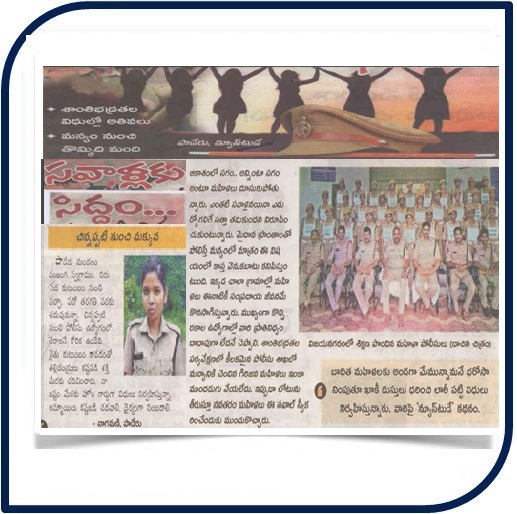 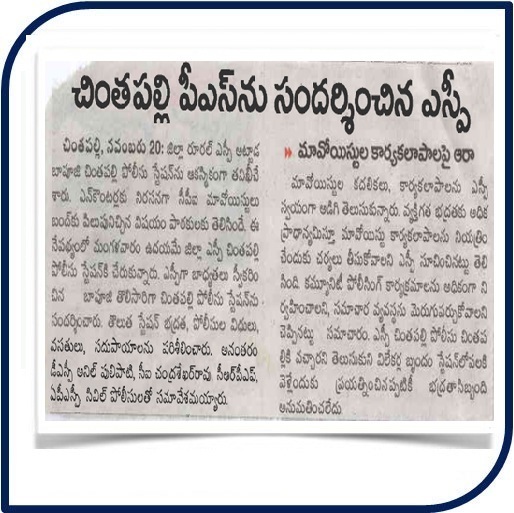 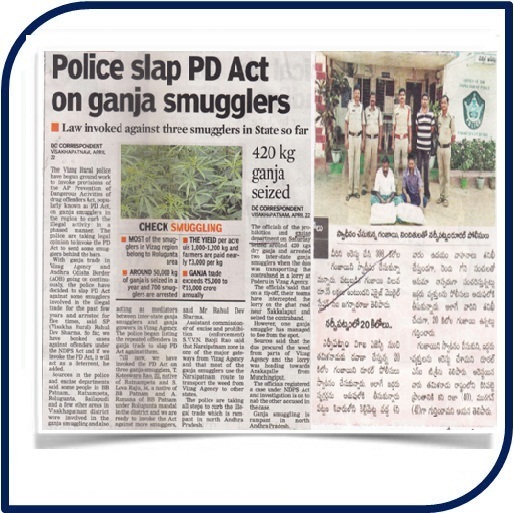 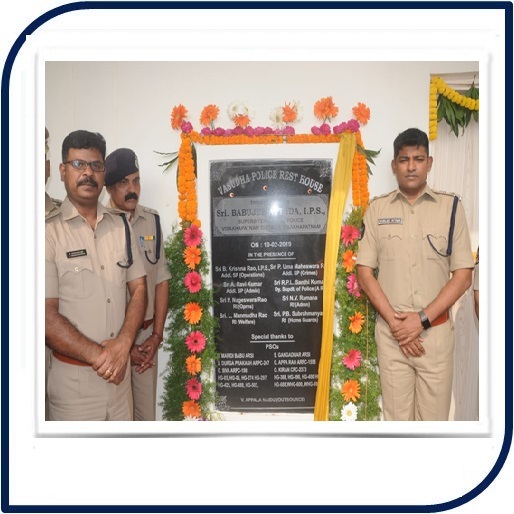 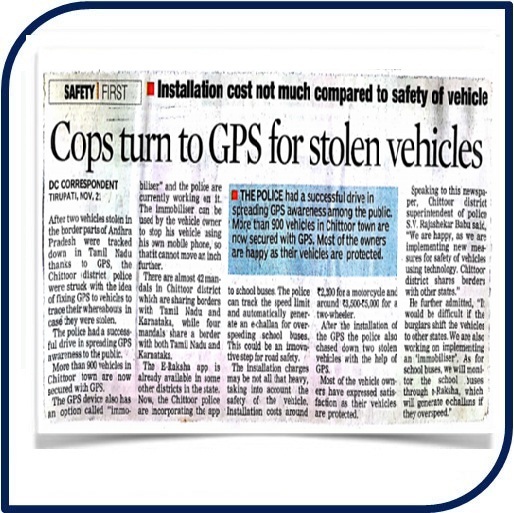 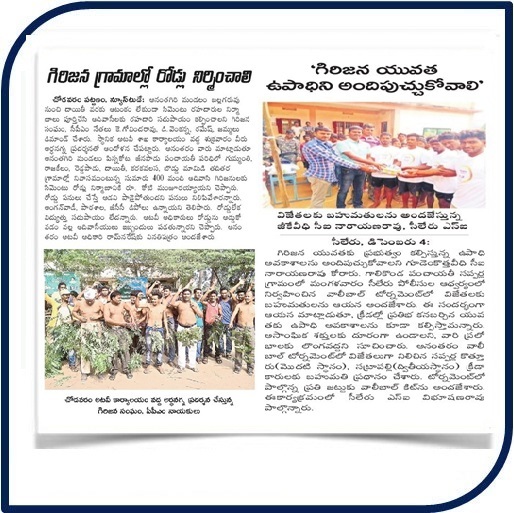 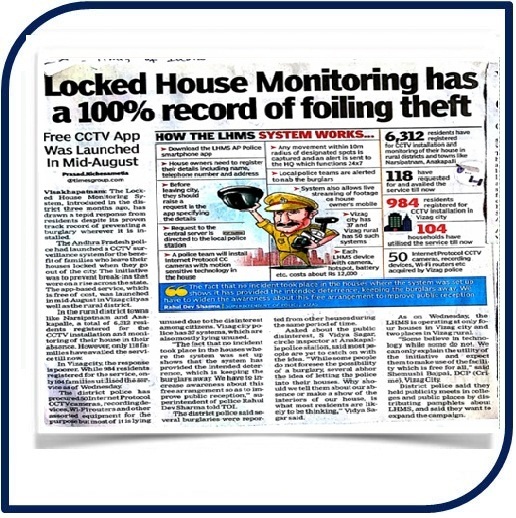 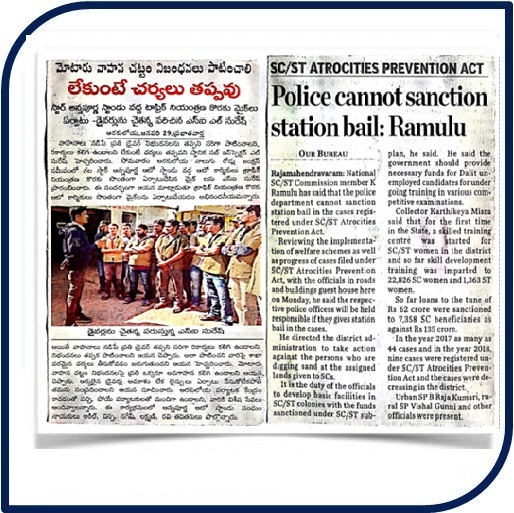 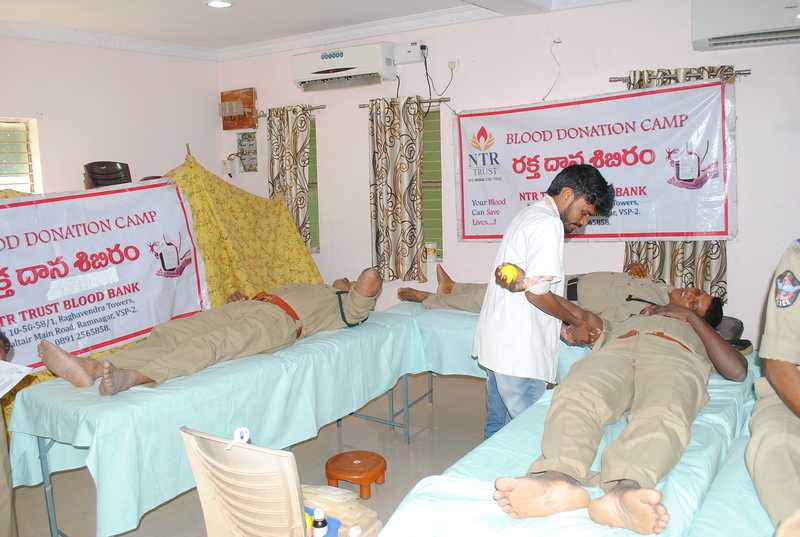 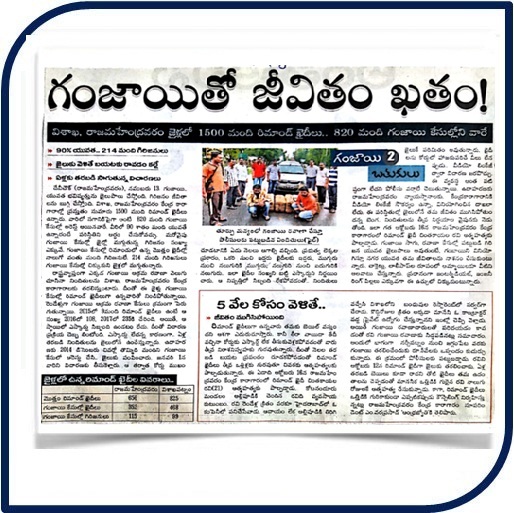 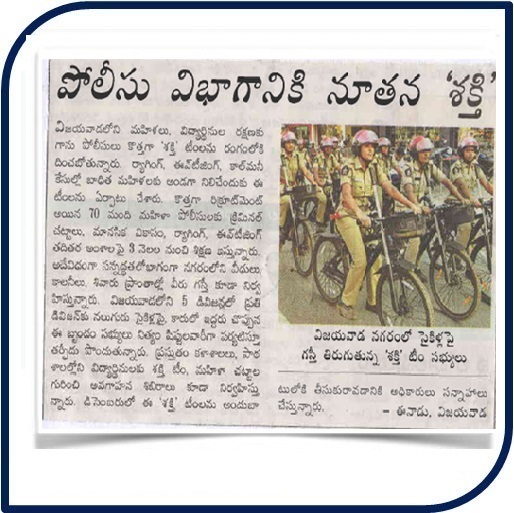 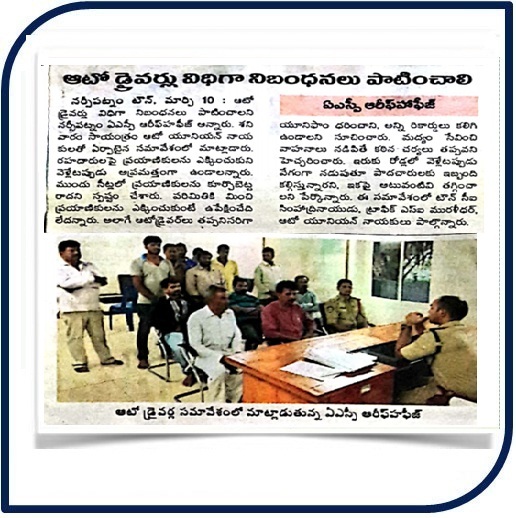 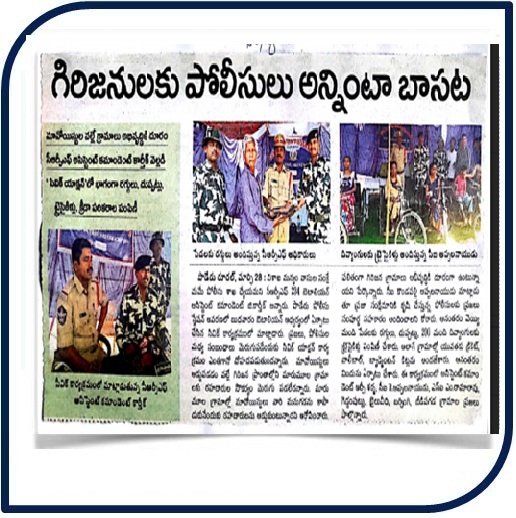 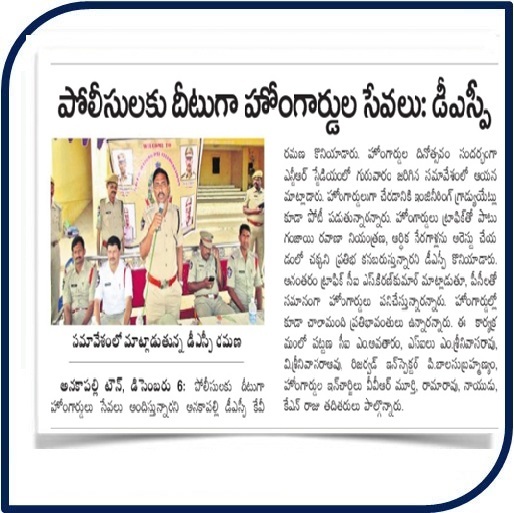 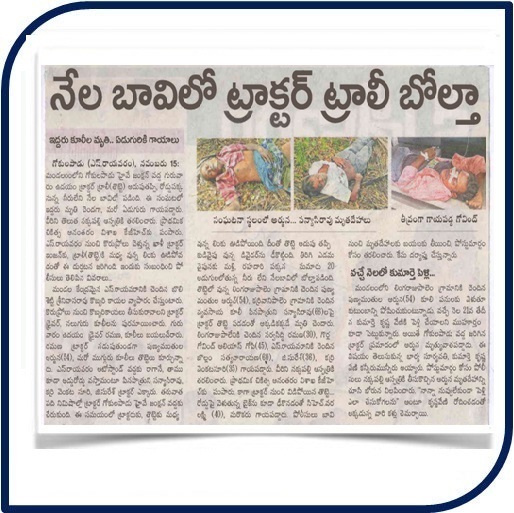 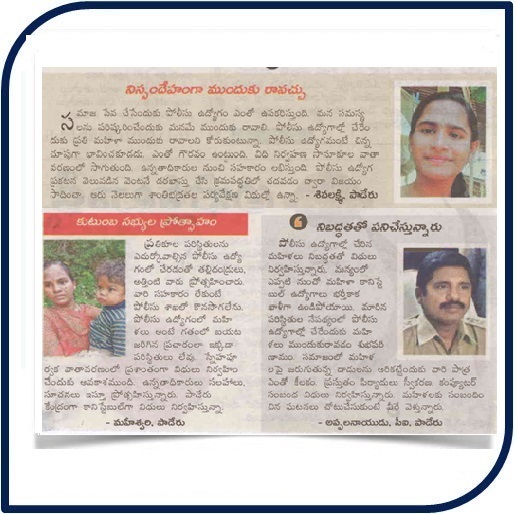 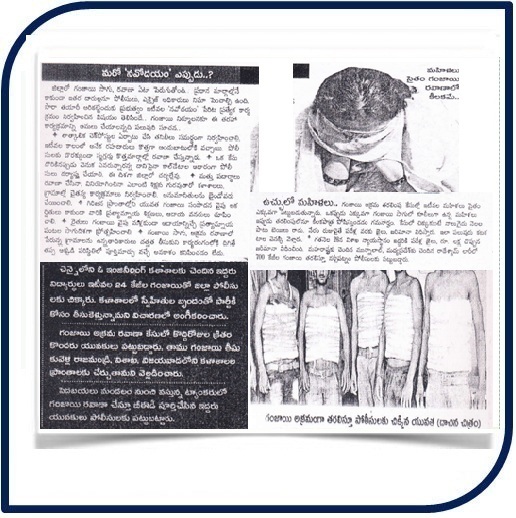 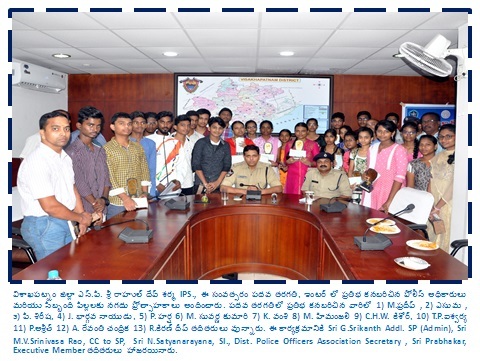 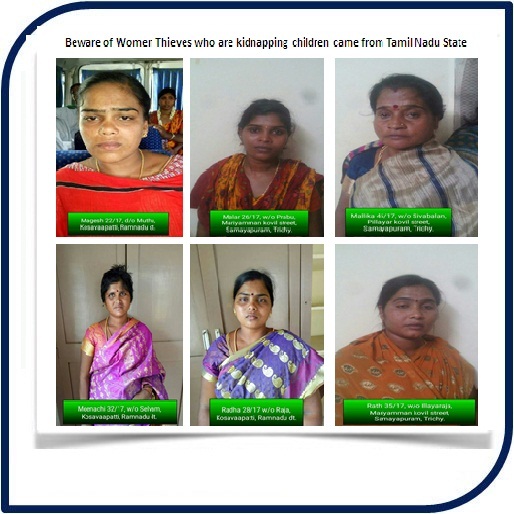 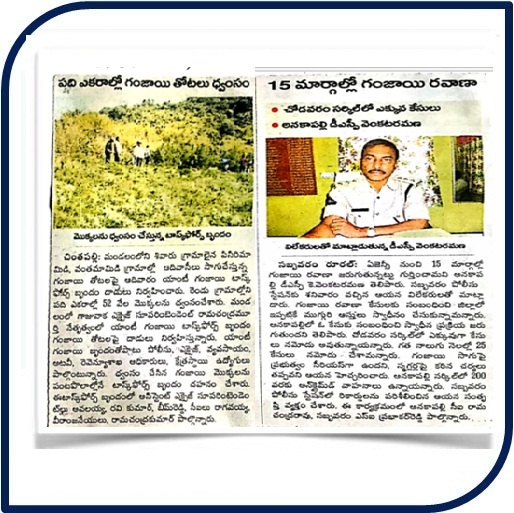 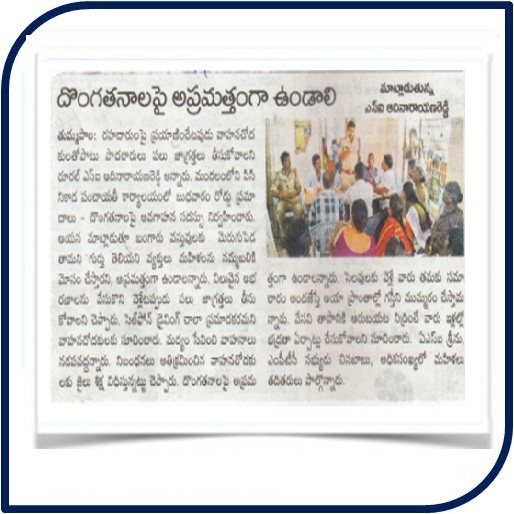 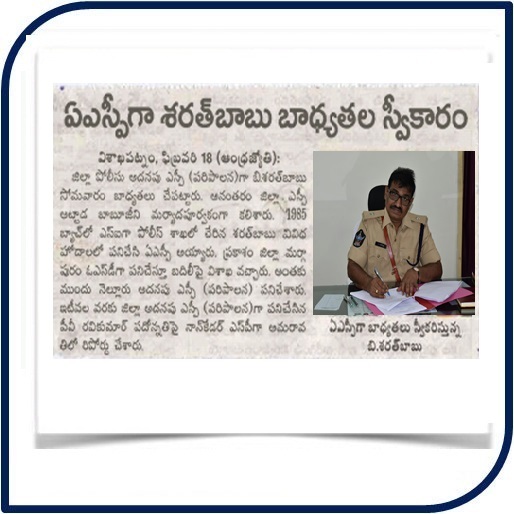 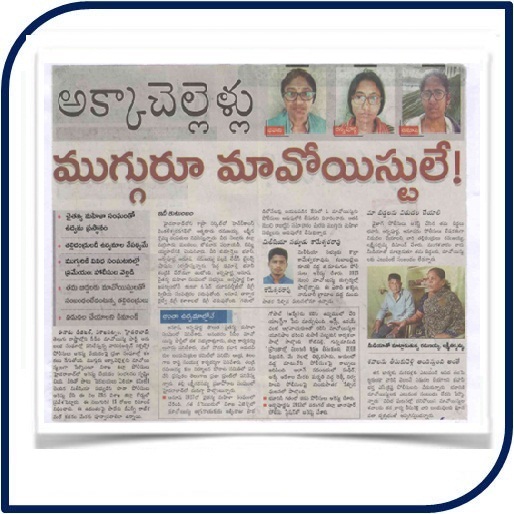 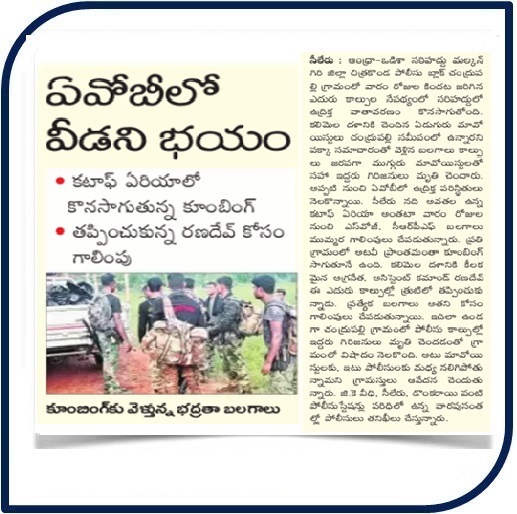 Of which 43 Police Stations are Law & Order police stations i.e (Anakapalli Town, Anakapalli Rural, Munagapaka, Kasimkota, Sabbavaram, Chodavaram, K.Kotapadu, A.Koduru, Butchiyyapeta, Devarapalli, Cheedikada, Kothakota, Rolugunta, Ravikamatham, Makavarapalem, Narsipatnam Town, Narsipatnam Rural, Kotauratla, Golugonda, Yelamanchili Town, Yelamanchili Rural, Atchutapuram, Rambilli, S.Ravaram, Nakkapalli, Payakaraopeta, Koyyuru, K.D.Peta, Mampa, Chintapalli, Annavaram, G.K.Veedhi, Sileru, G.Madugula, Paderu, Hukumpeta, Pedabayalu, Munchingput, Araku, Dumbriguda, Ananthagiri PSs), remaining are 01 Women PS, 01 Crime PS at Anakapalli, 02 Traffic PSs (one at Anakapalli and another one is at Adduroad of Yelamanchili Circle), 02 Marine PS of which one is at Pudimadaka and one is at Pentakota are functioning in the district. 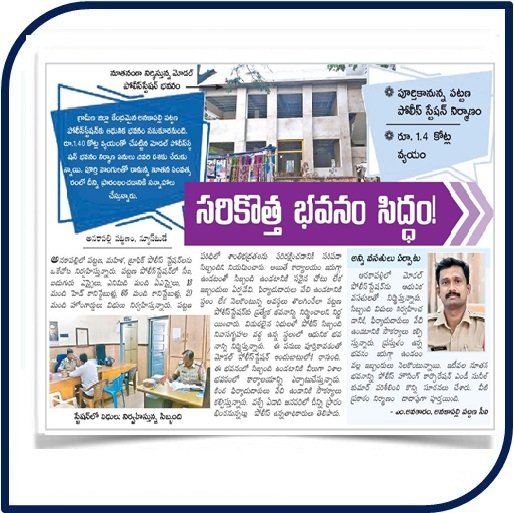 In this District, there are 8 Police Stations i.e. 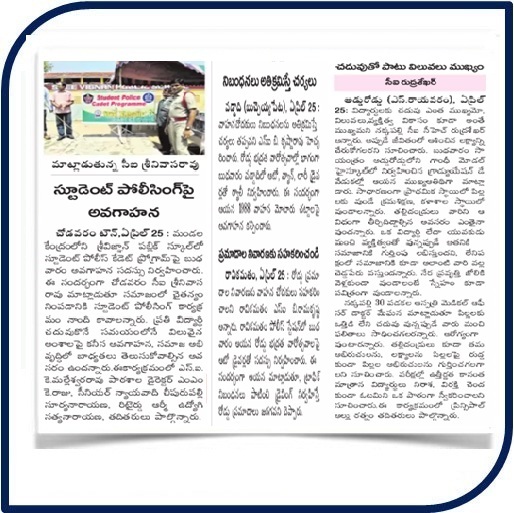 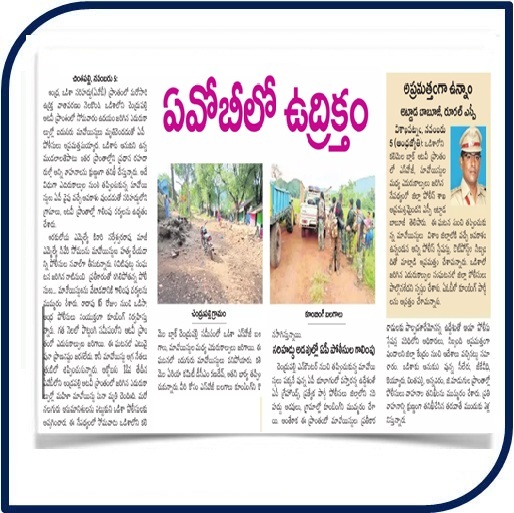 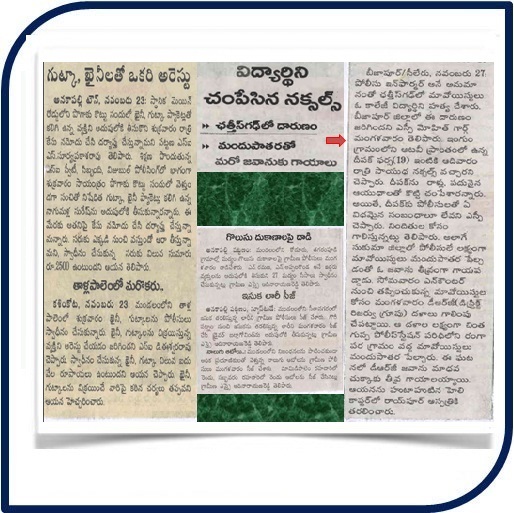 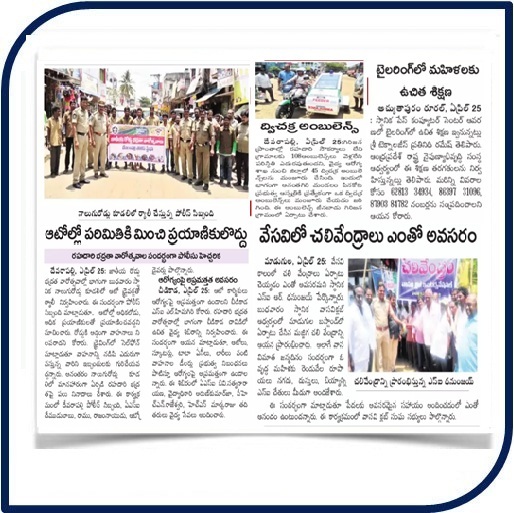 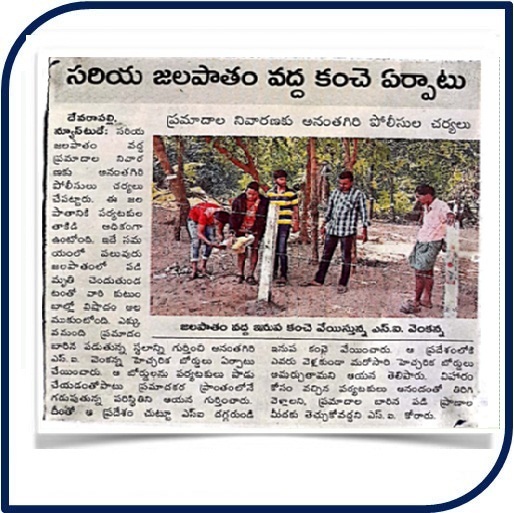 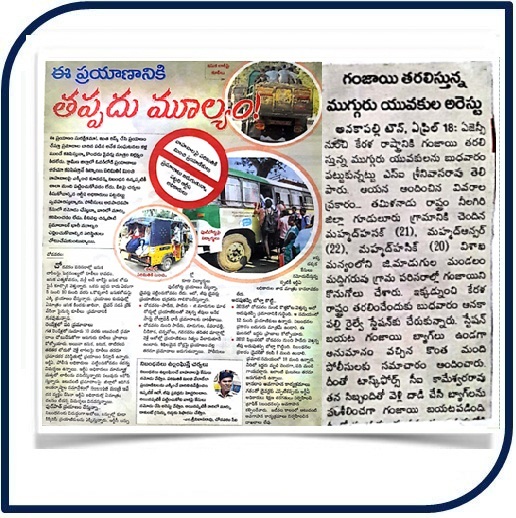 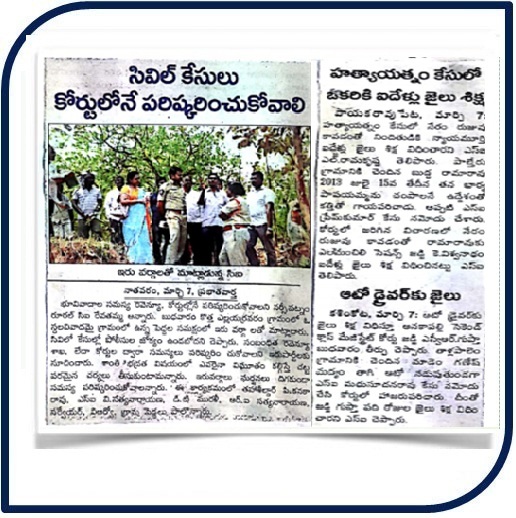 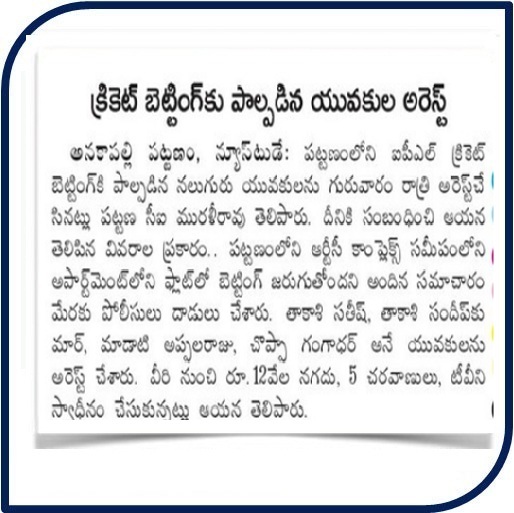 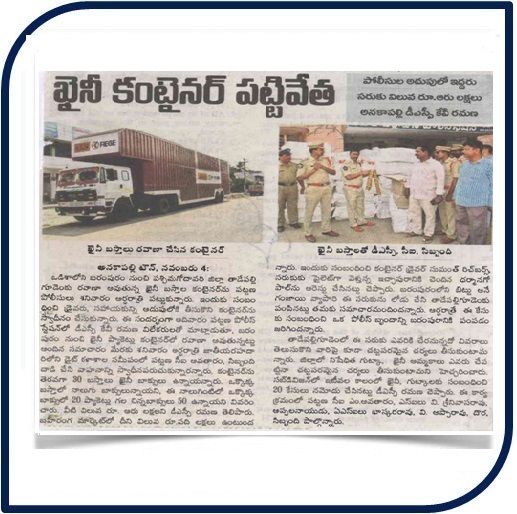 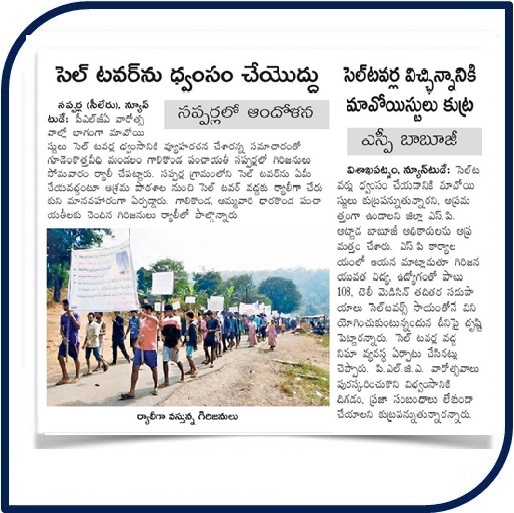 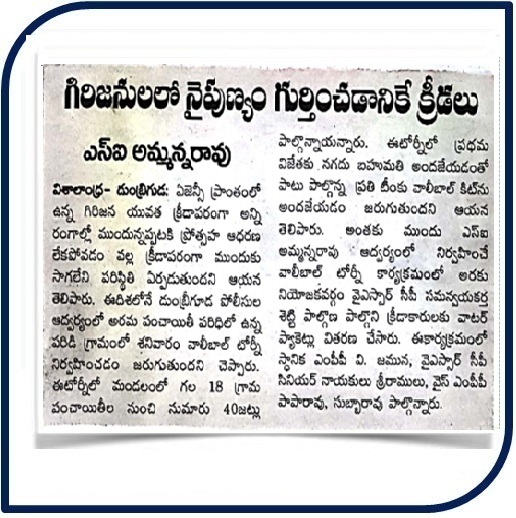 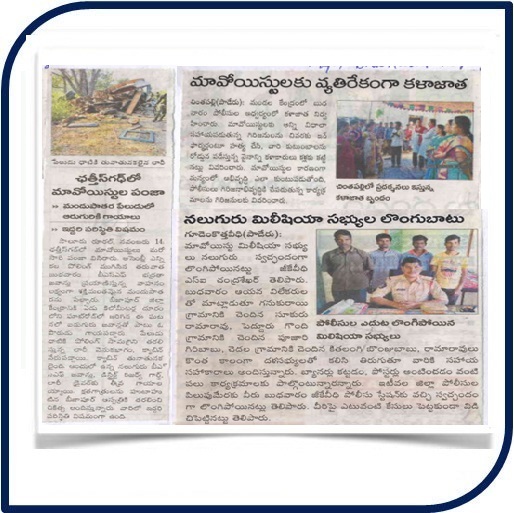 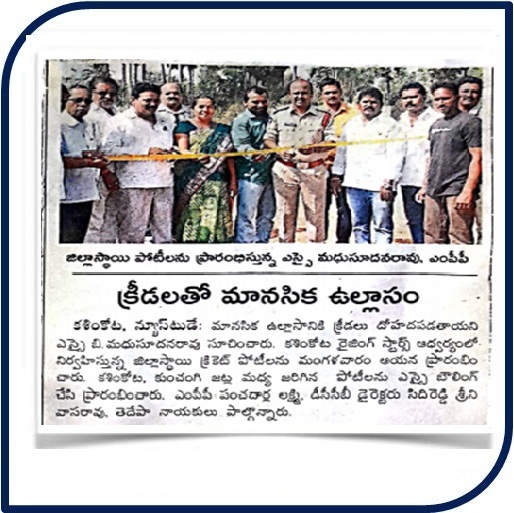 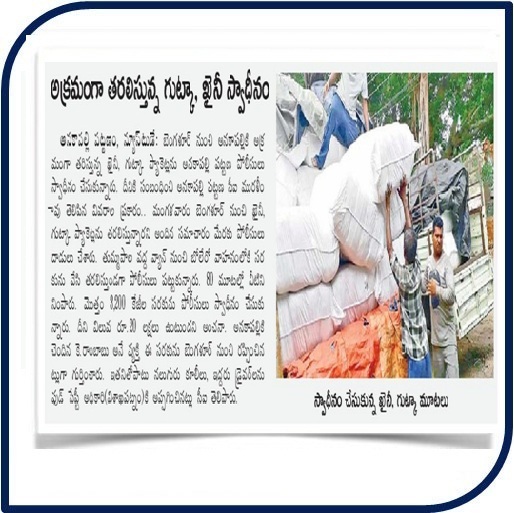 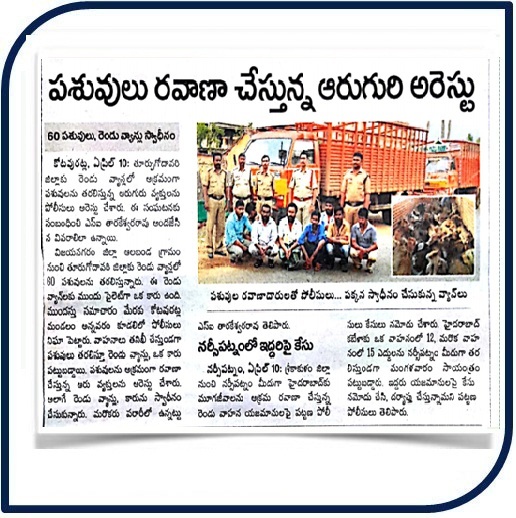 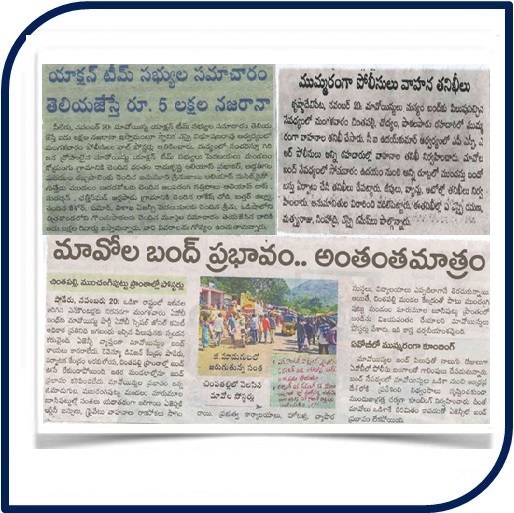 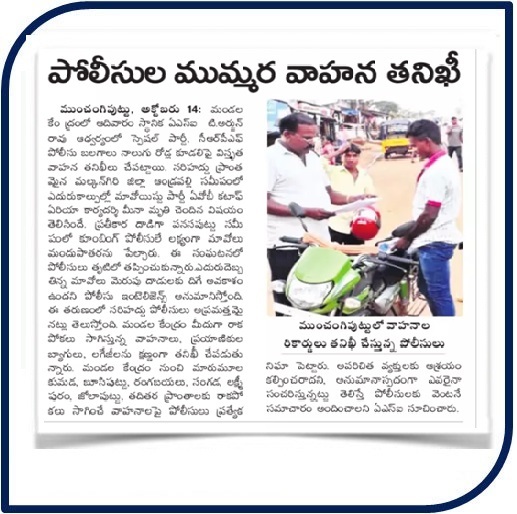 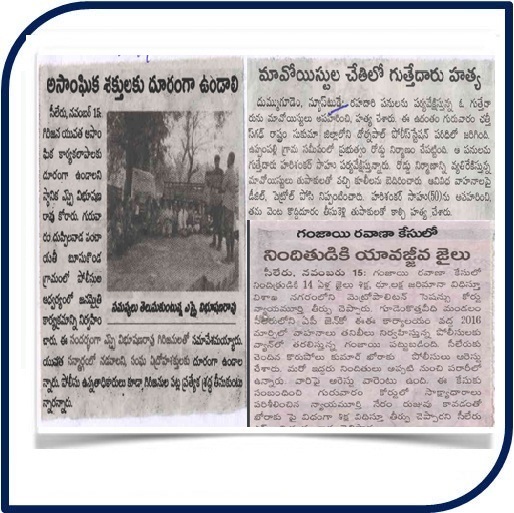 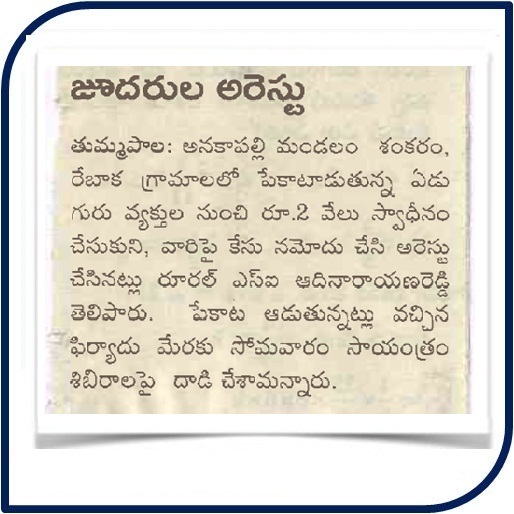 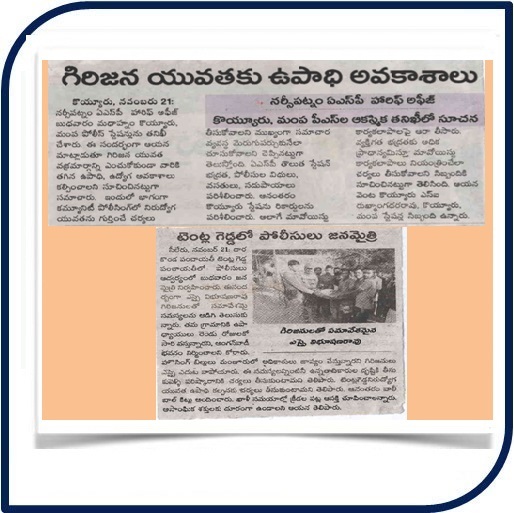 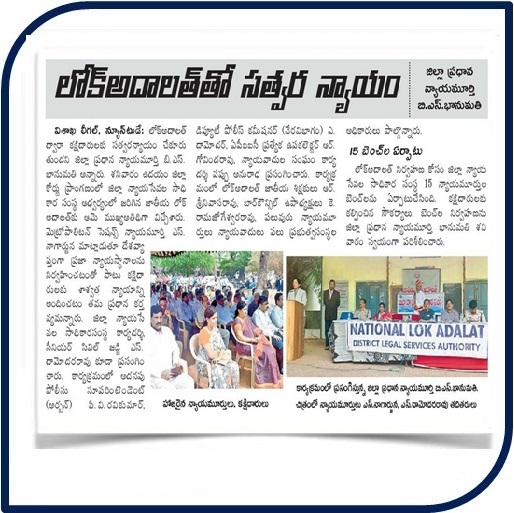 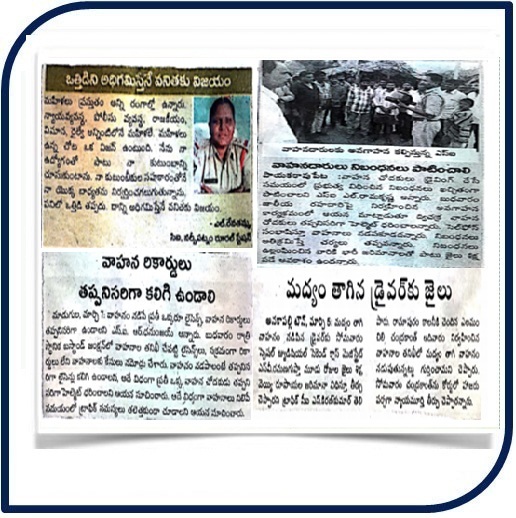 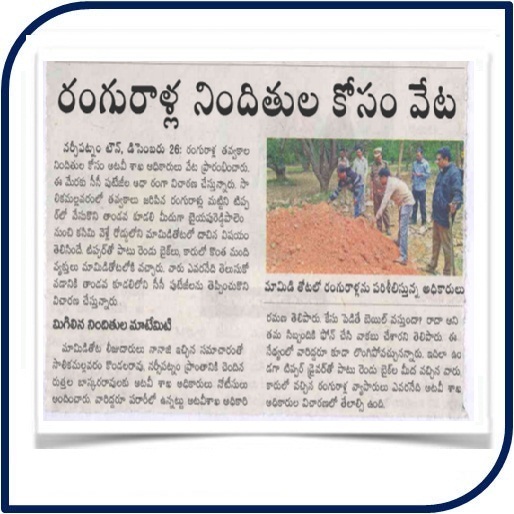 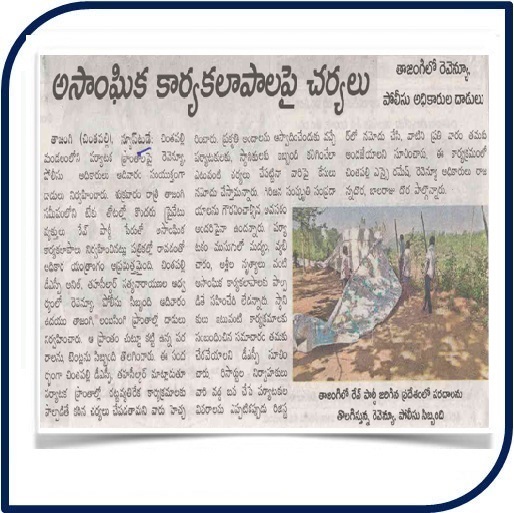 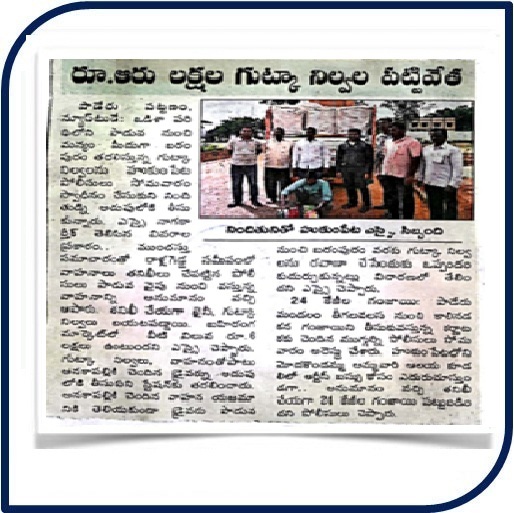 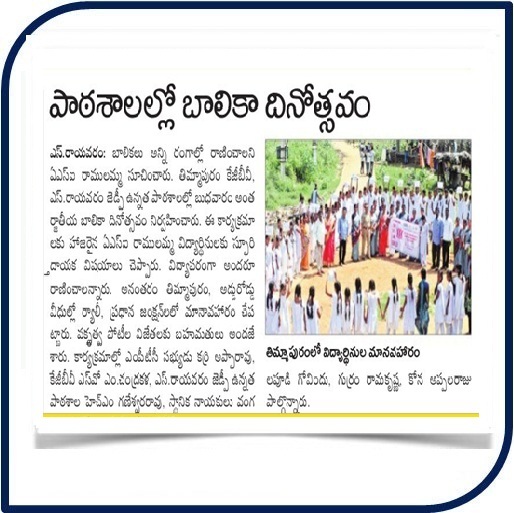 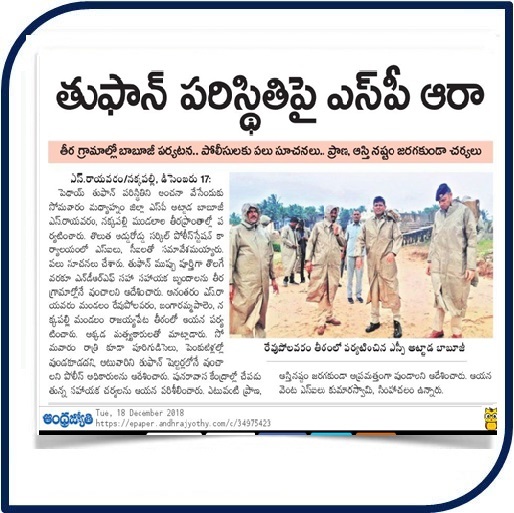 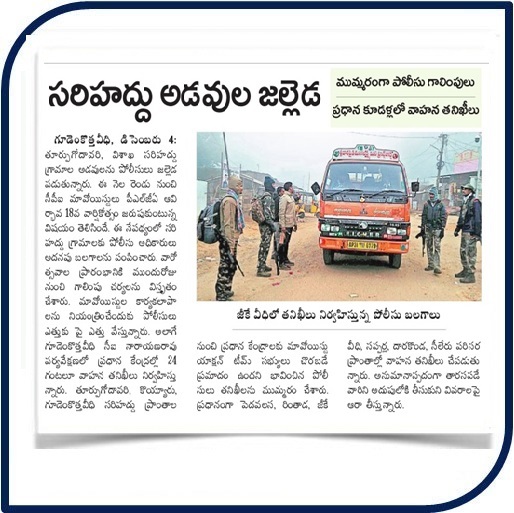 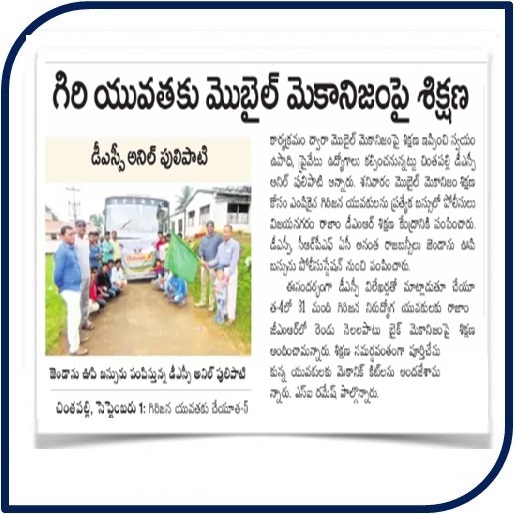 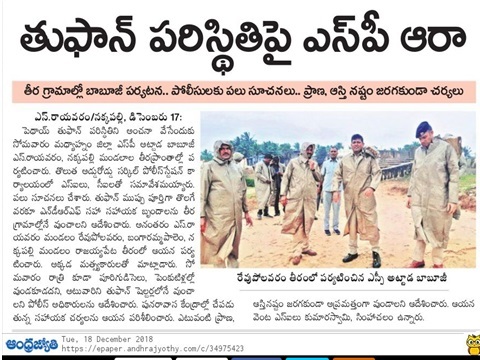 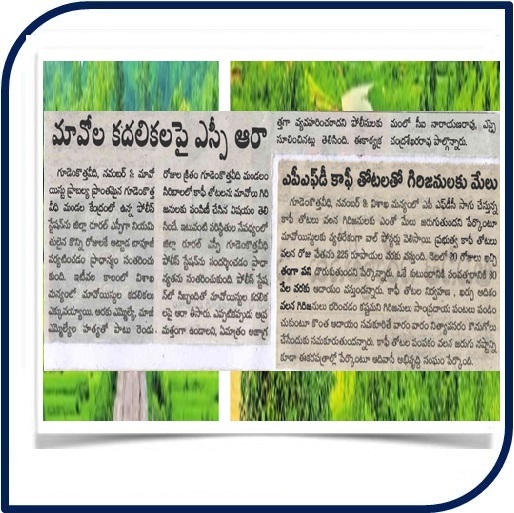 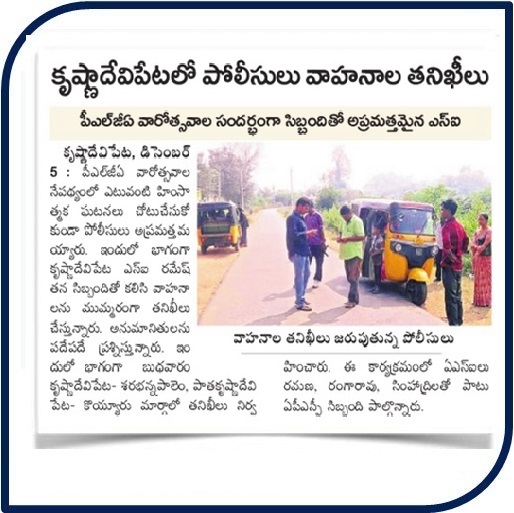 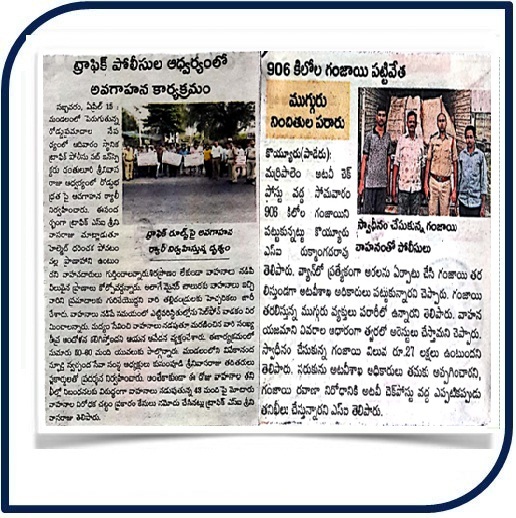 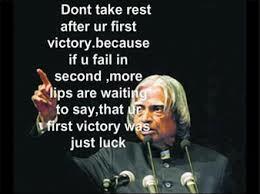 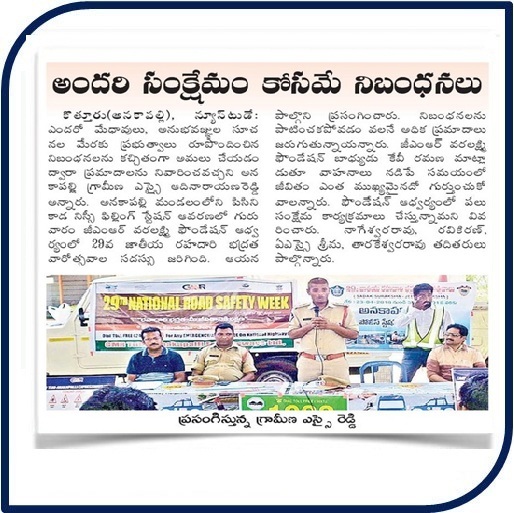 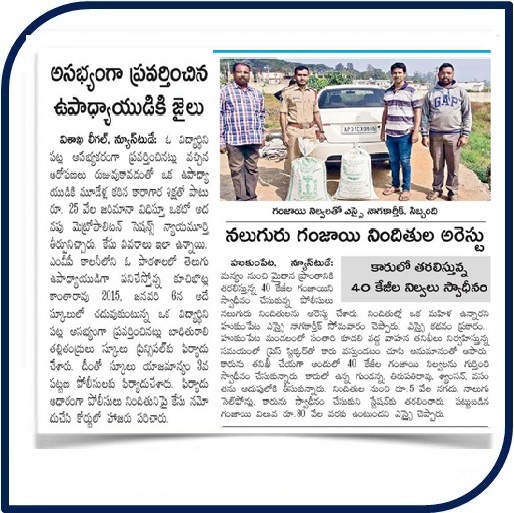 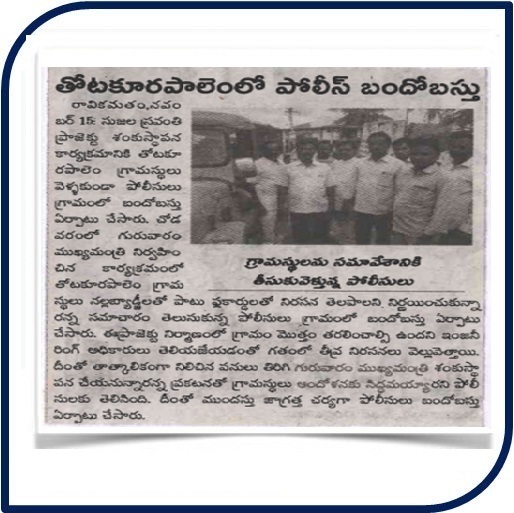 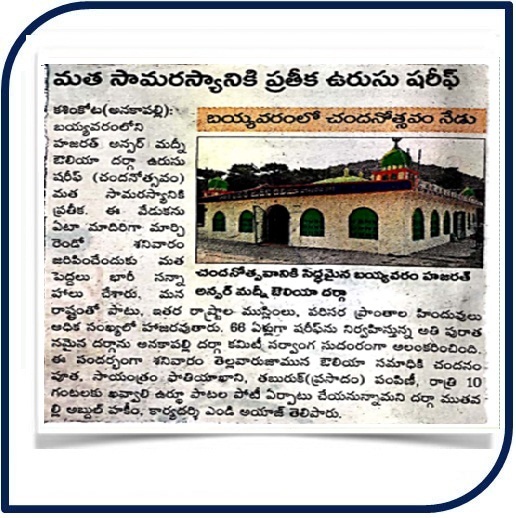 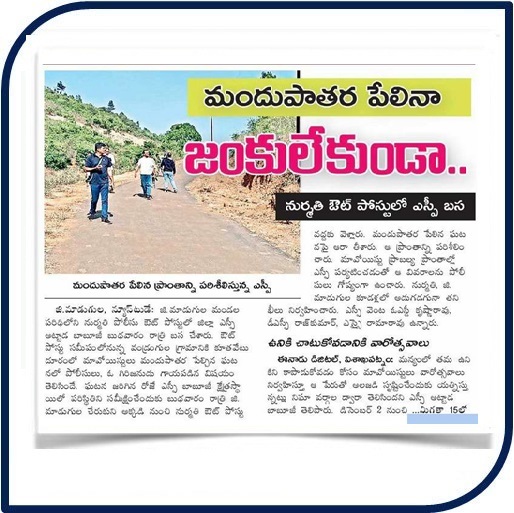 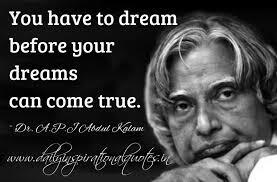 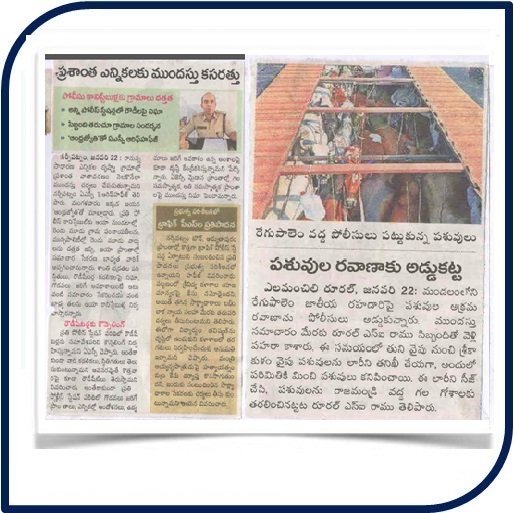 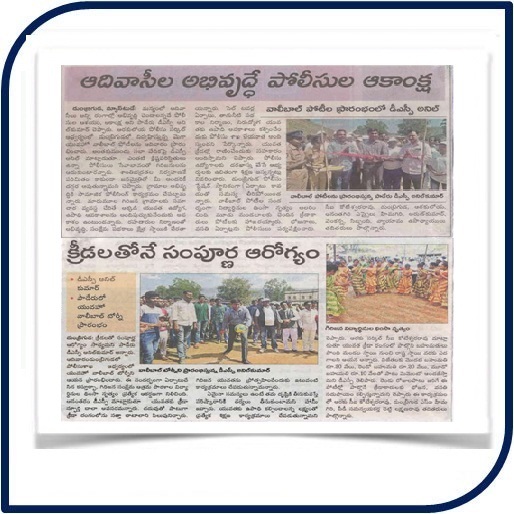 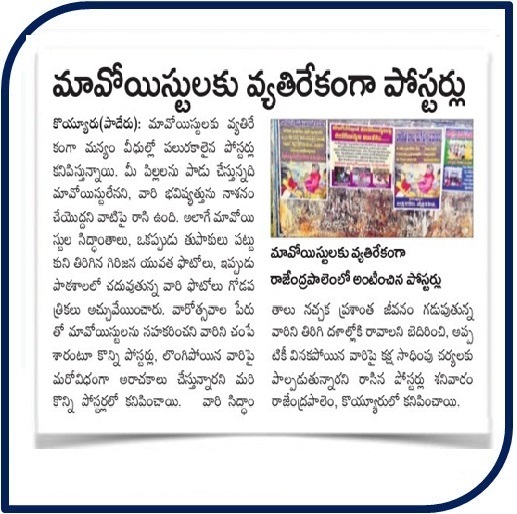 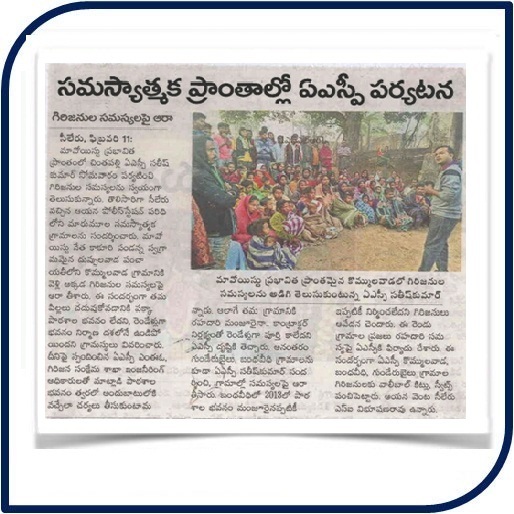 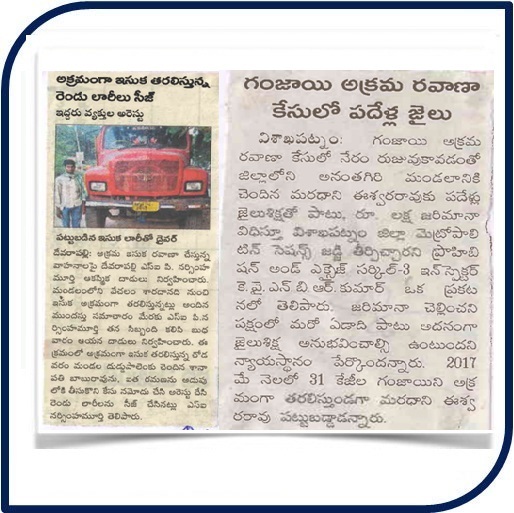 Anakapalli Town, Anakapalli Rural, Kasimkota, Yelamanchili Rural, Yelamanchili Town, S.Rayavaram, Nakkapalli and Payakaraopeta PSs are functioning adjecent to the National Highway plying from Visakhapatnam City to Tuni. 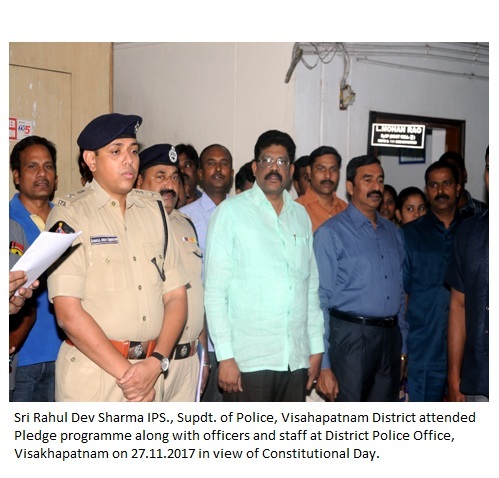 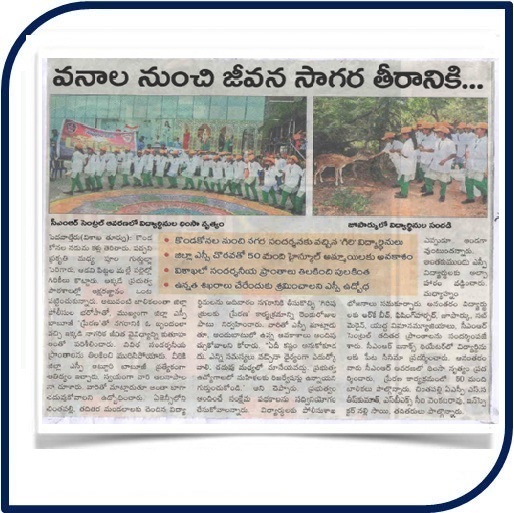 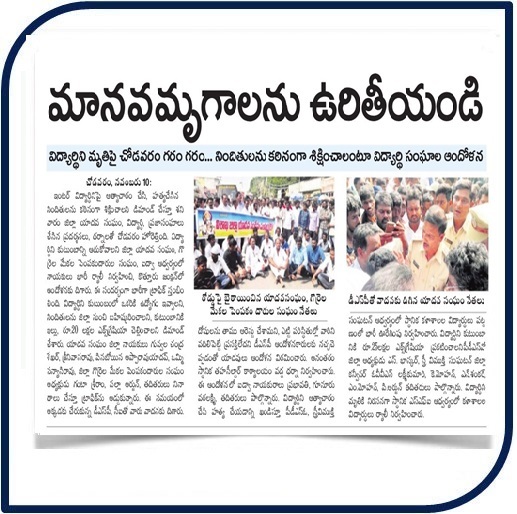 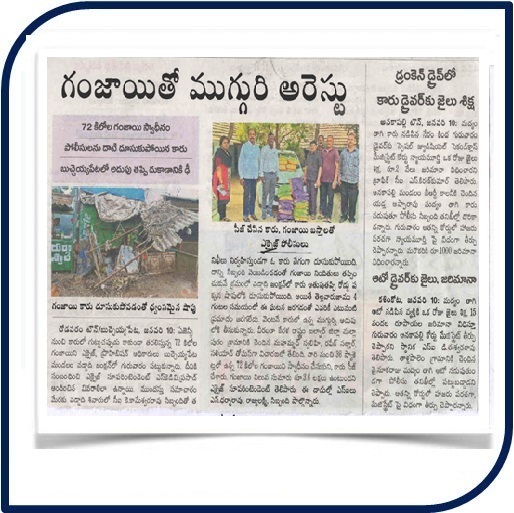 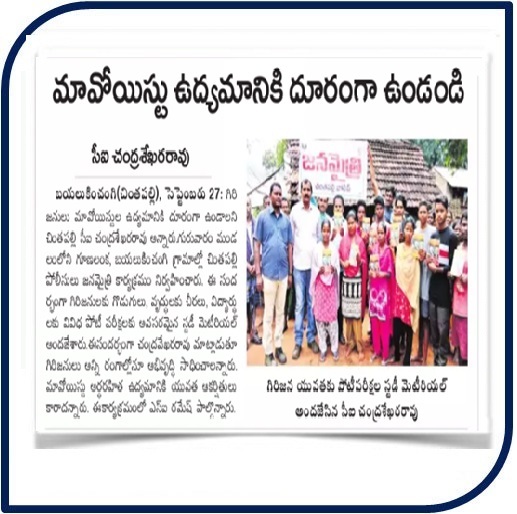 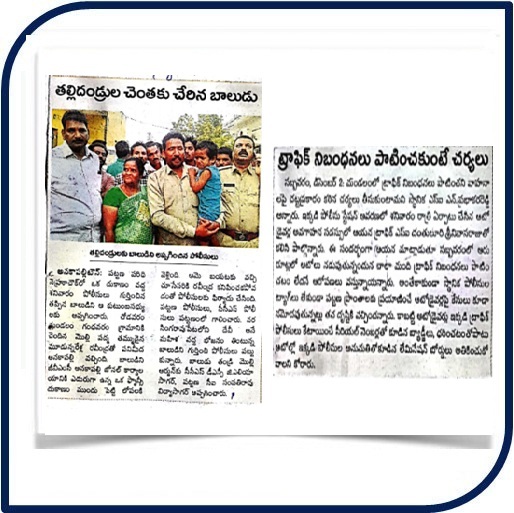 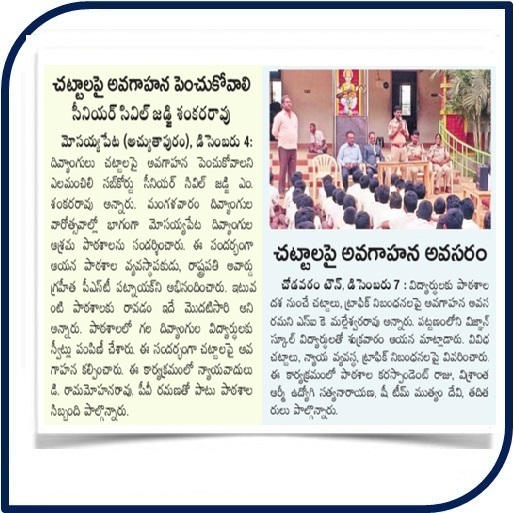 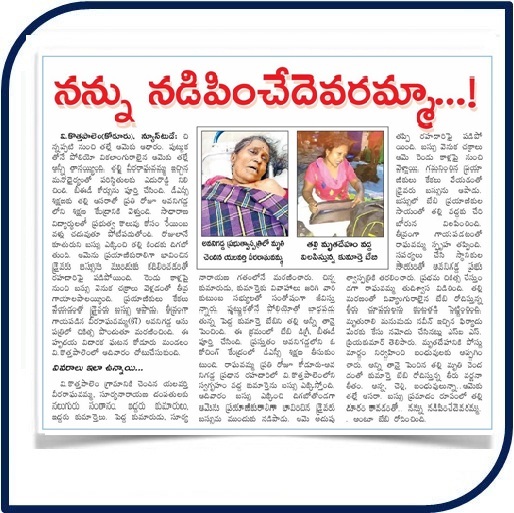 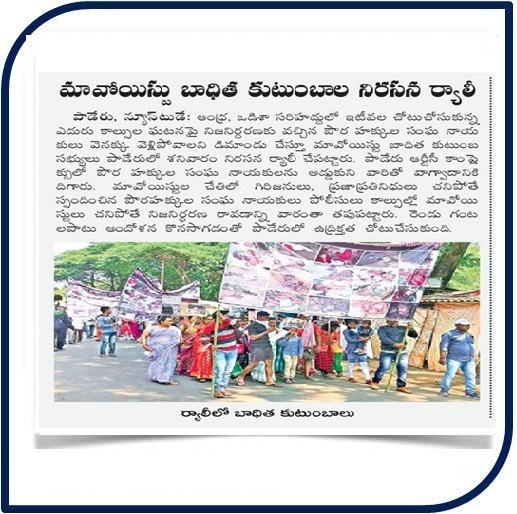 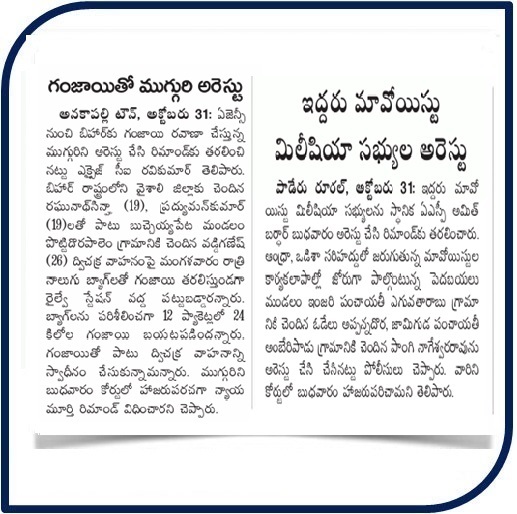 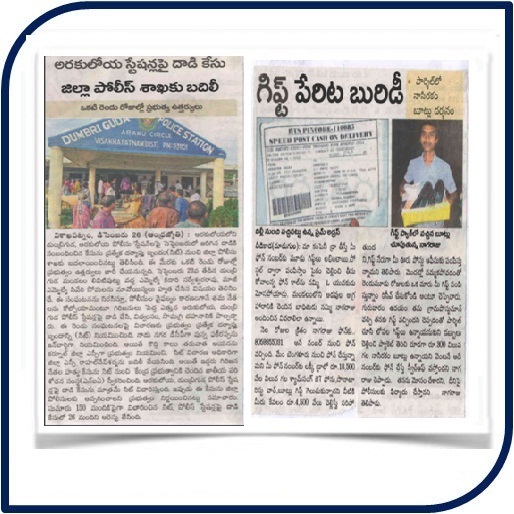 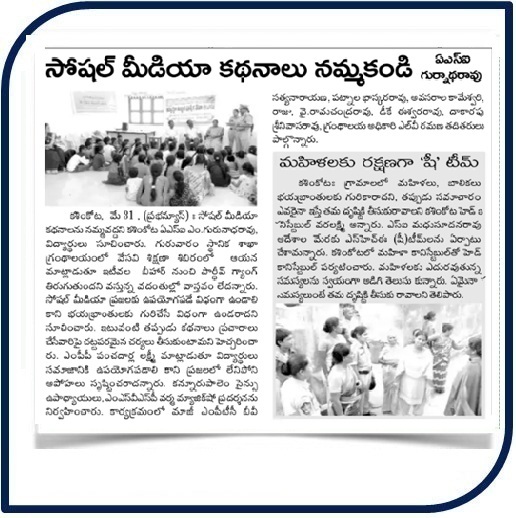 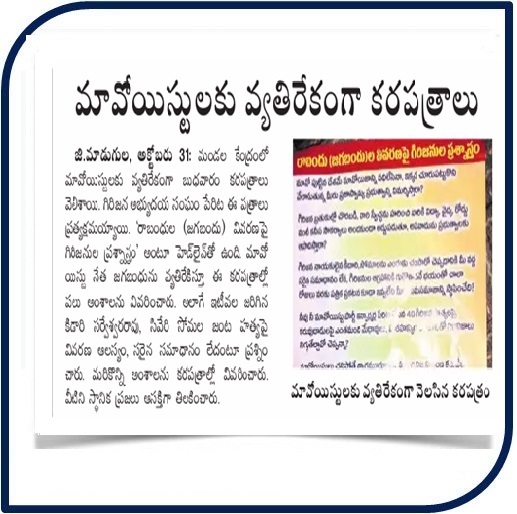 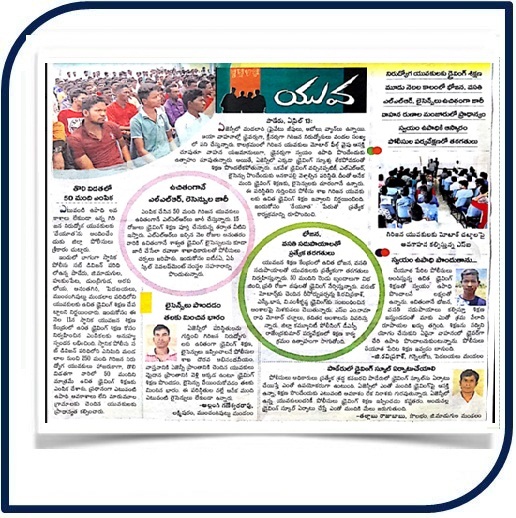 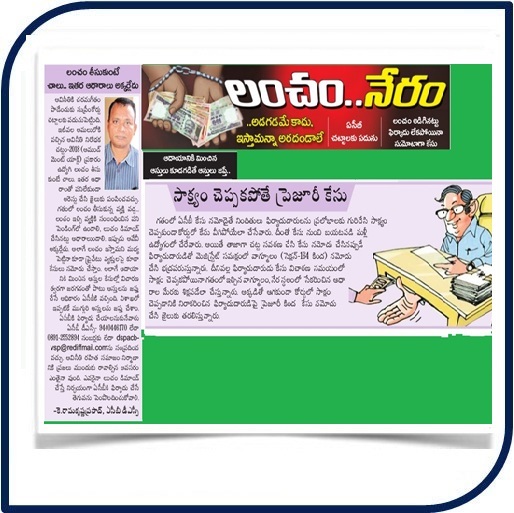 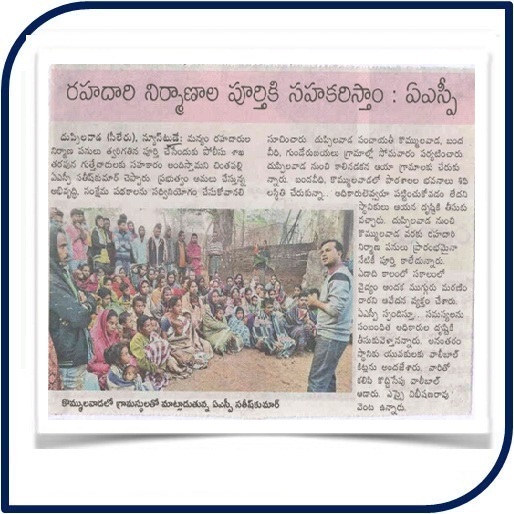 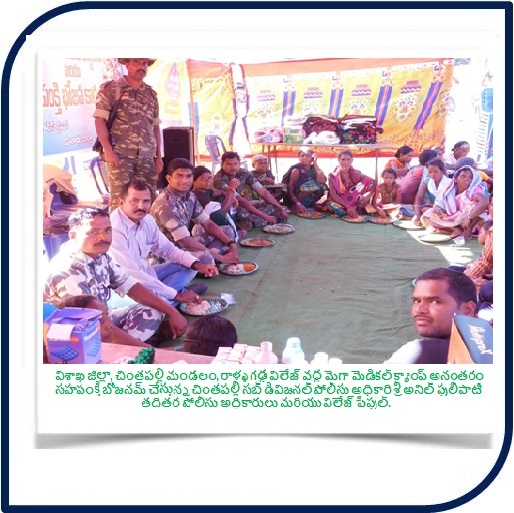 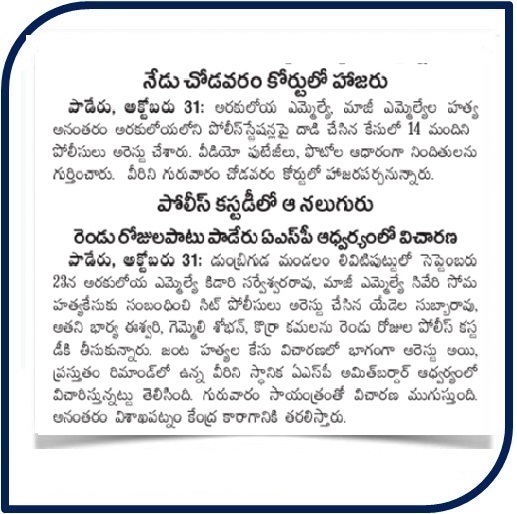 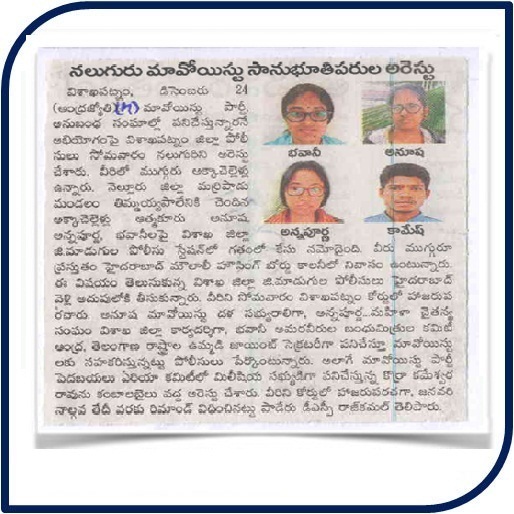 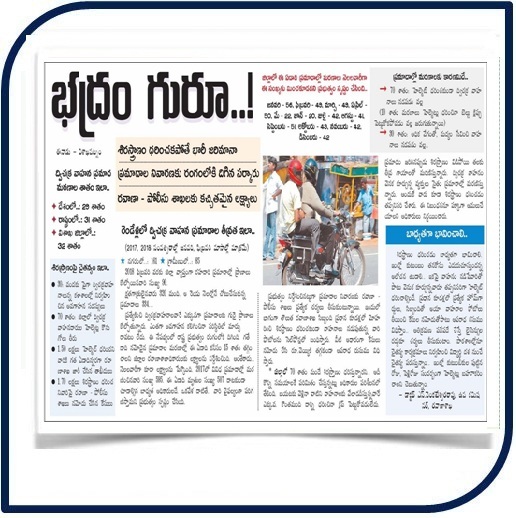 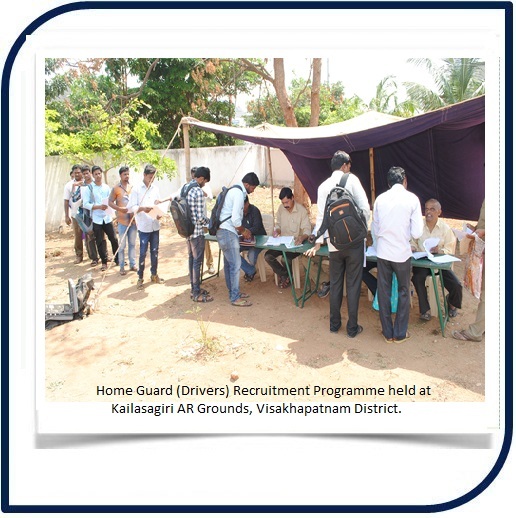 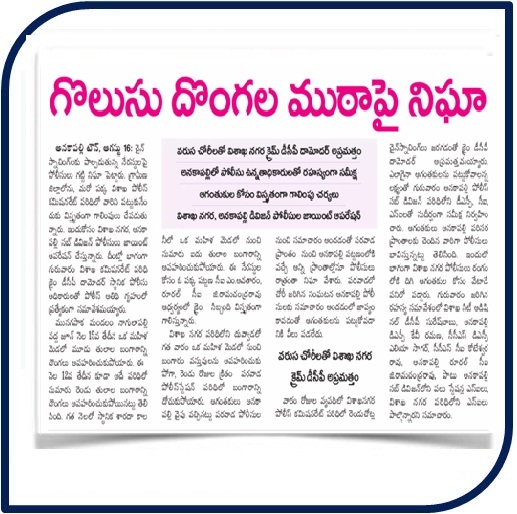 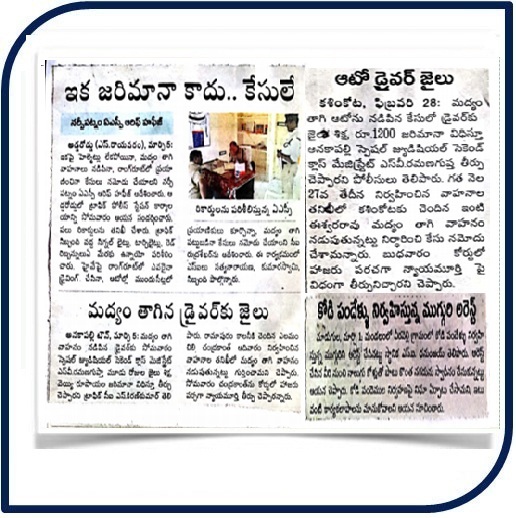 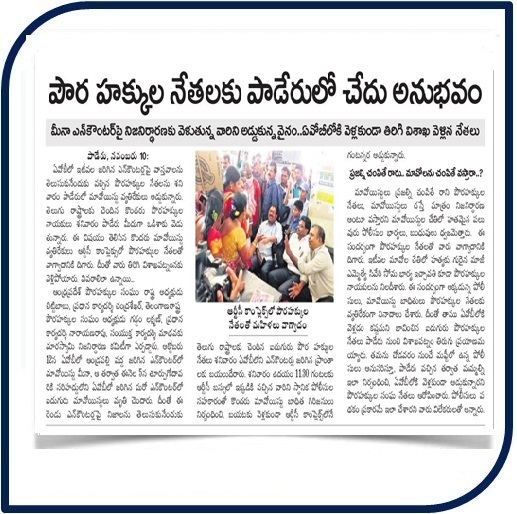 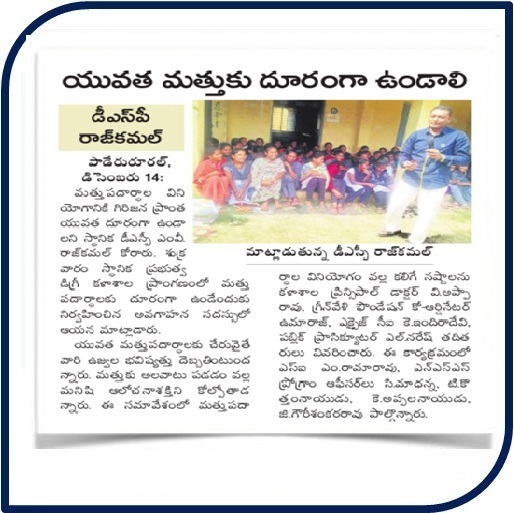 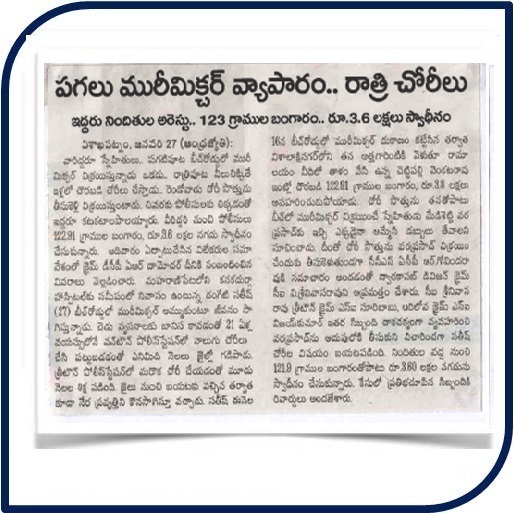 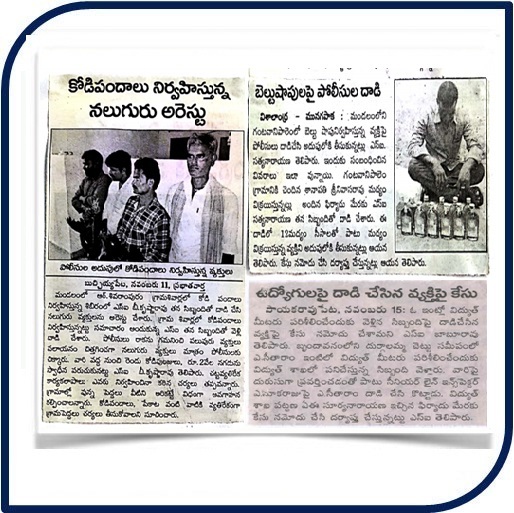 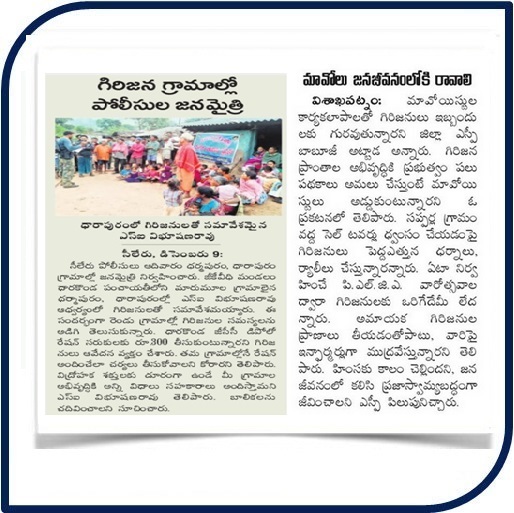 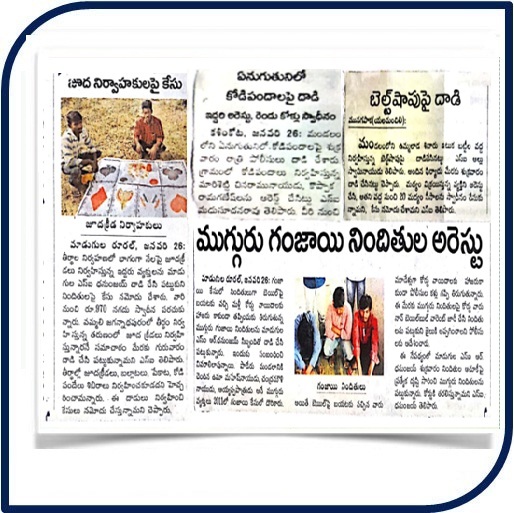 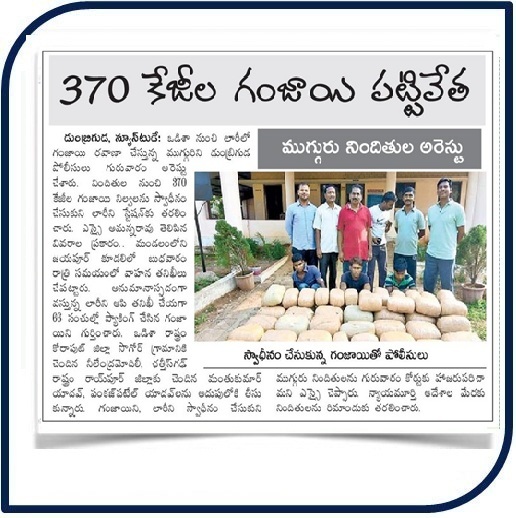 There are 43 Mandals existing in Visakhapatnam District including Visakhapatnam City, of which 37 Mandals with 902 Gram Panchayats existing in Visakhapatnam Rural District, in which there are 37 ZPTCs and 627 MPTCs.